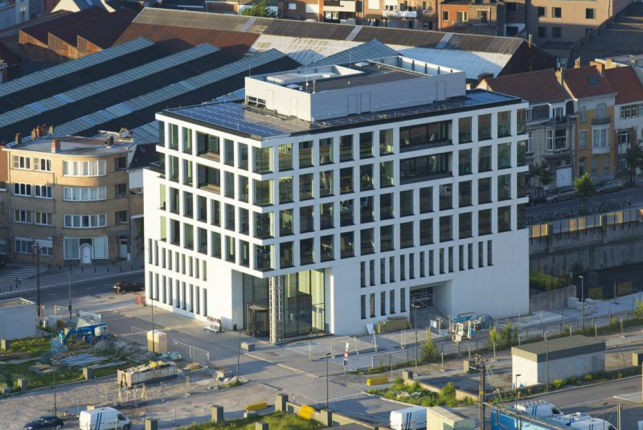 Brandnew energy efficient office space for rent from 240 m², 475 m² to 950 m² at the Rotselaar railway station near the E314 Hasselt-Leuven. 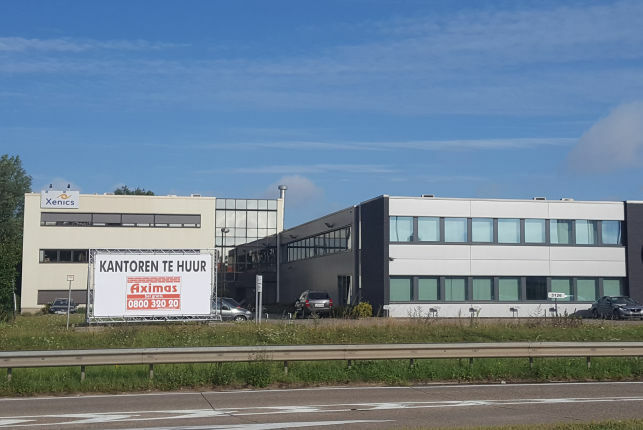 100 m² up-to 450 m² office space for rent in the Nieuwland industrial zone in Aarschot, located near the E314 Leuven-Hasselt. 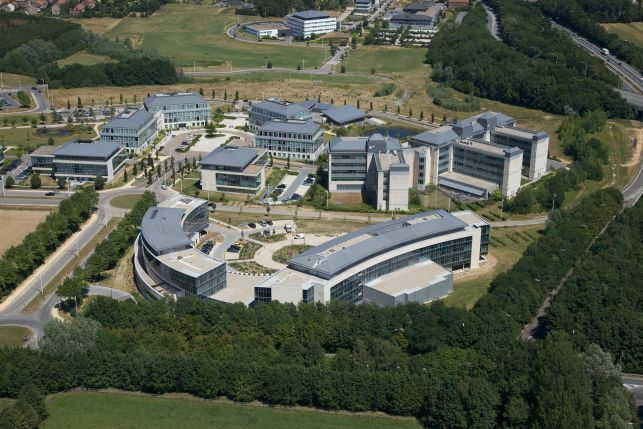 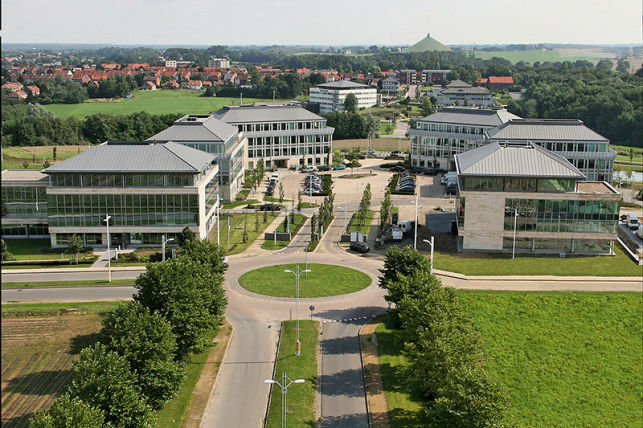 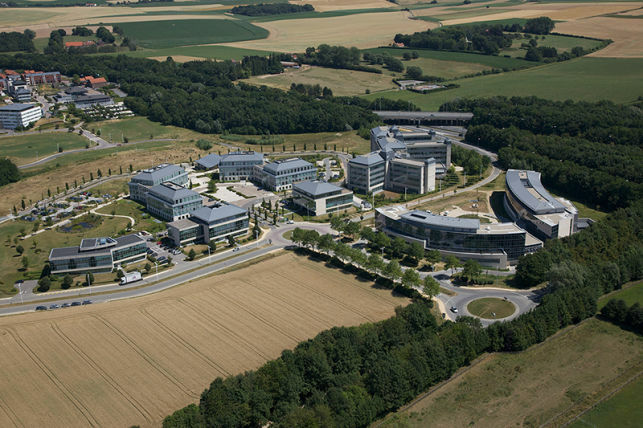 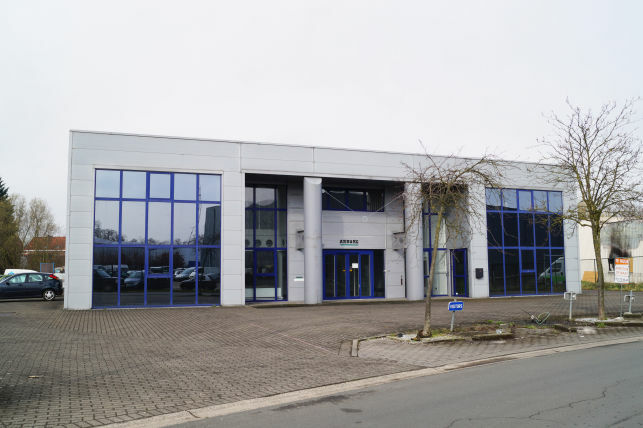 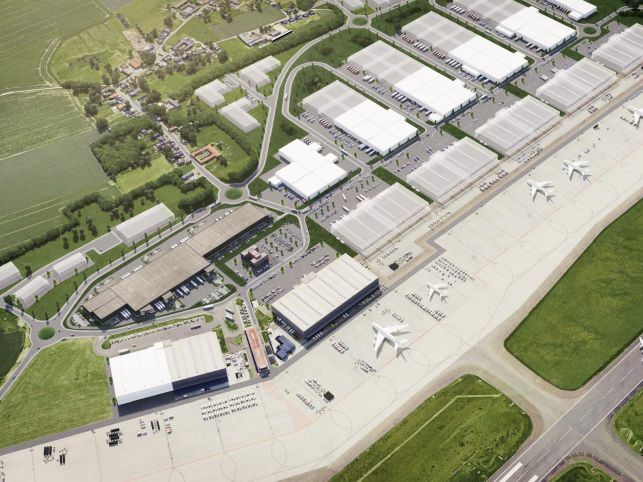 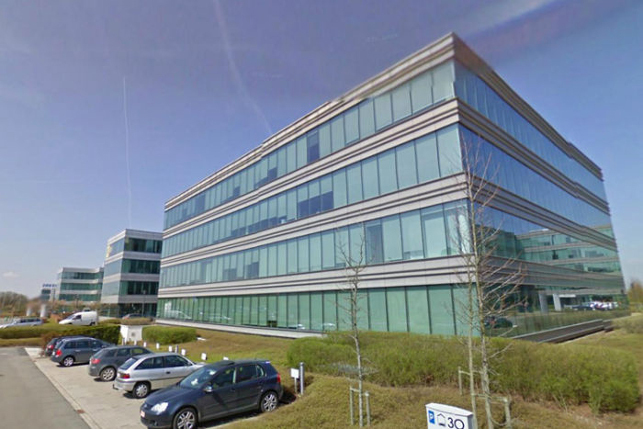 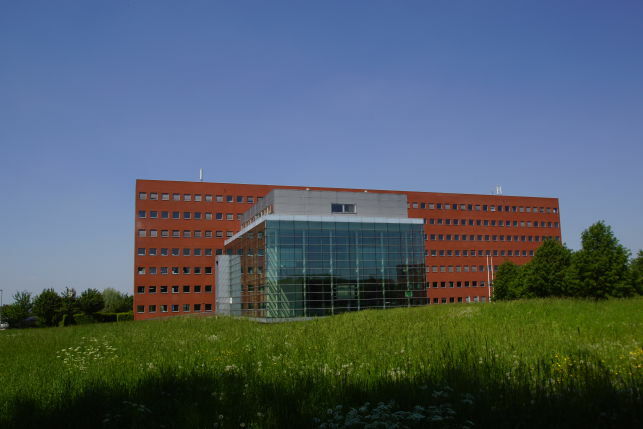 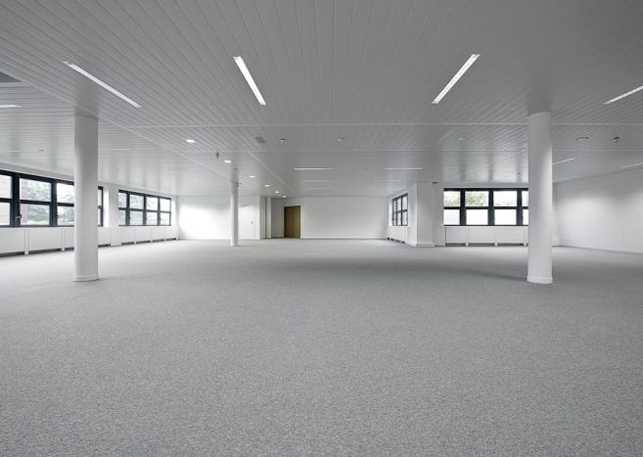 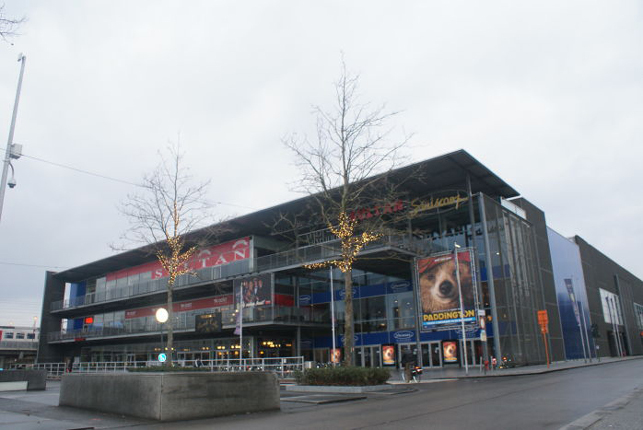 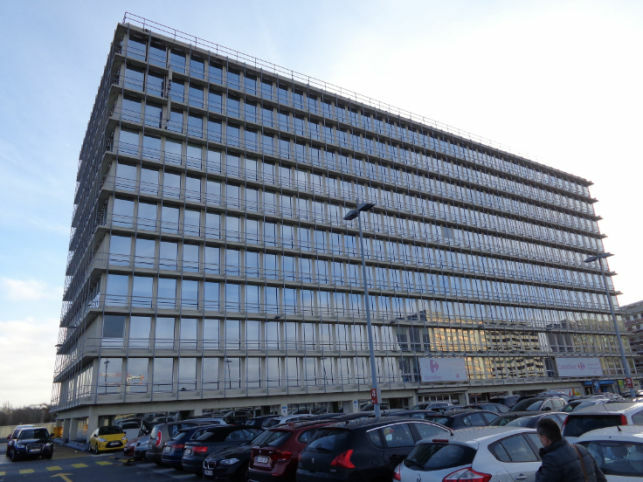 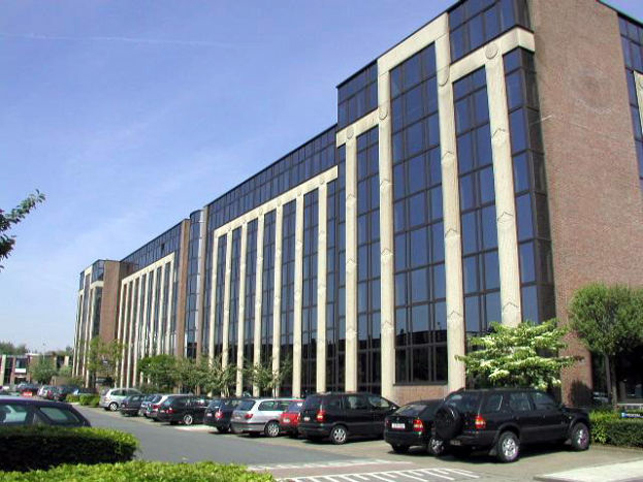 300 m² to 3750 m² offices to let in Waterloo, at the Brussels southern ring in Walloon Brabant. 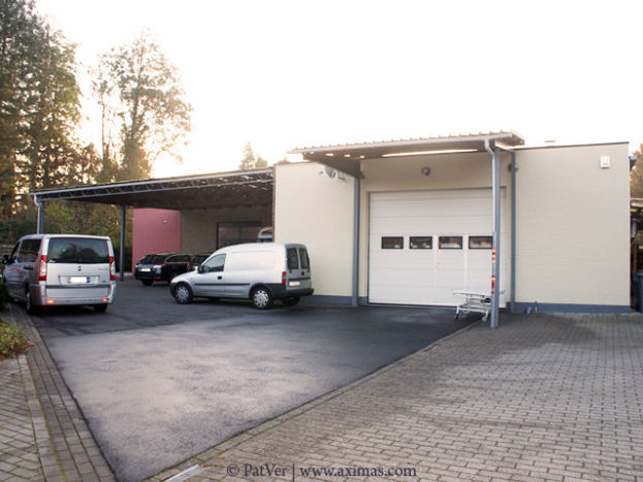 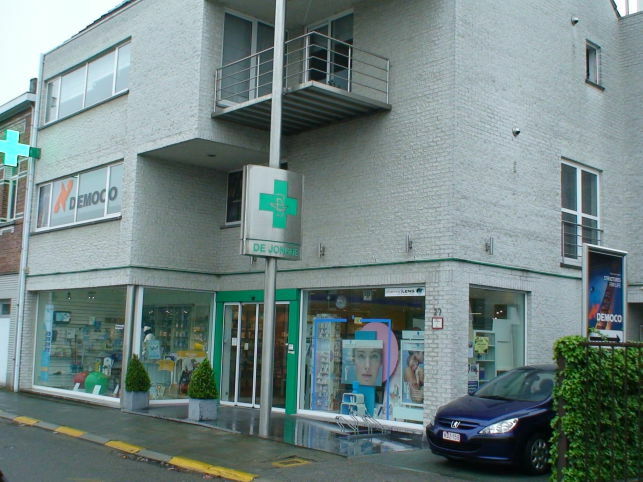 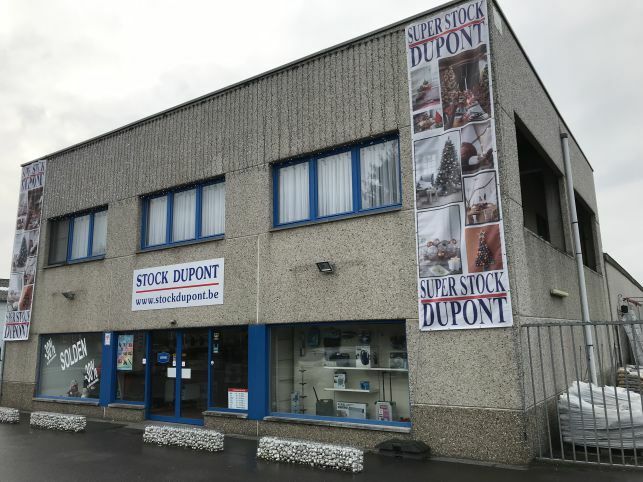 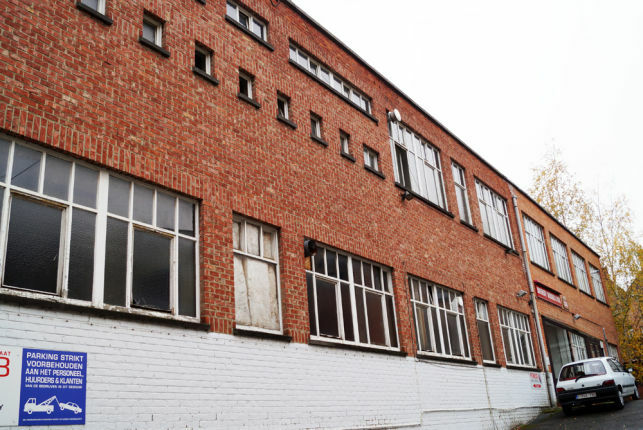 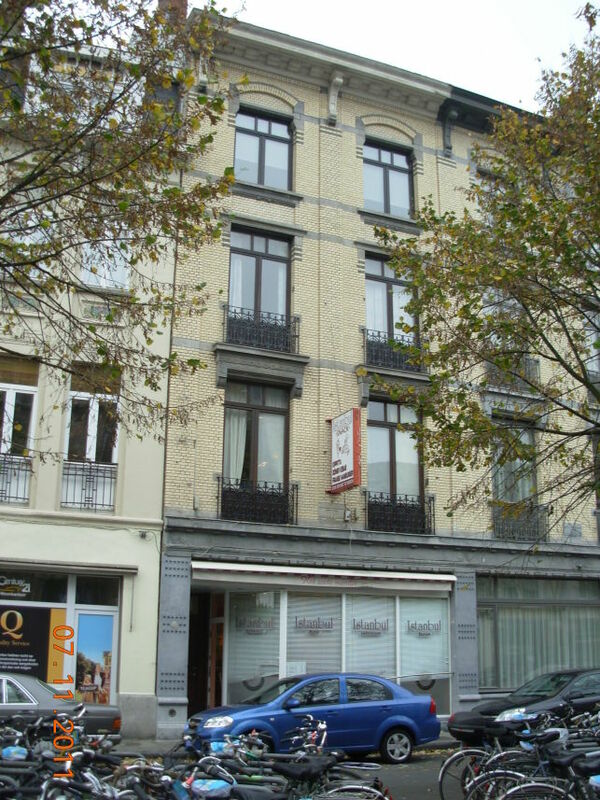 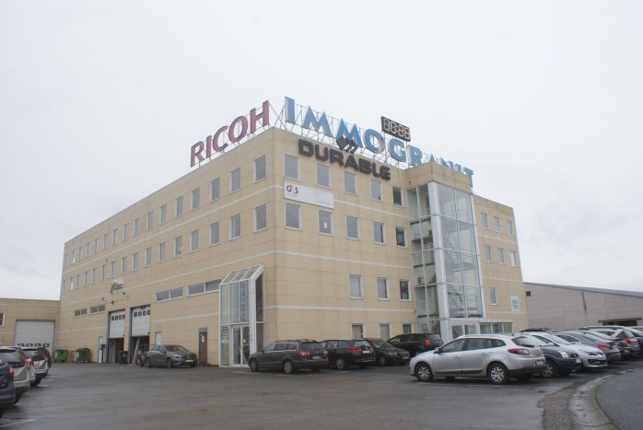 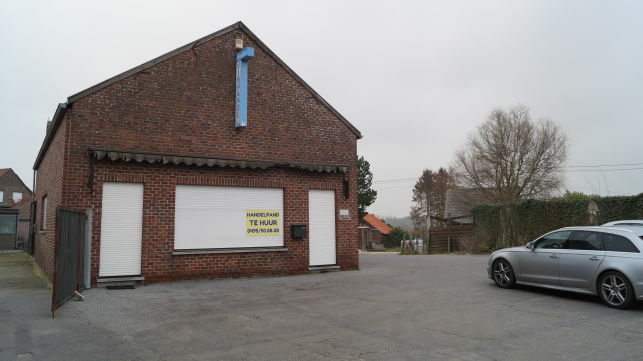 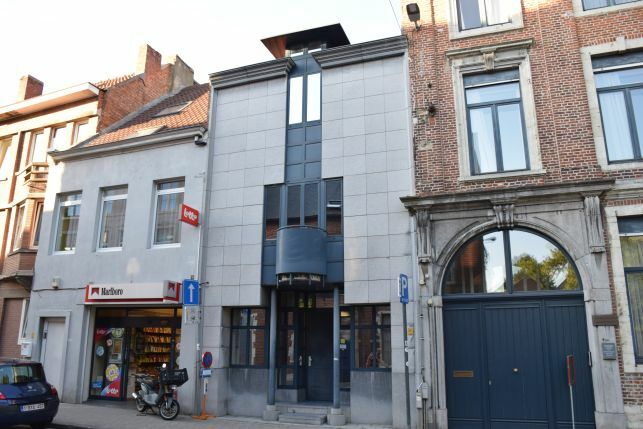 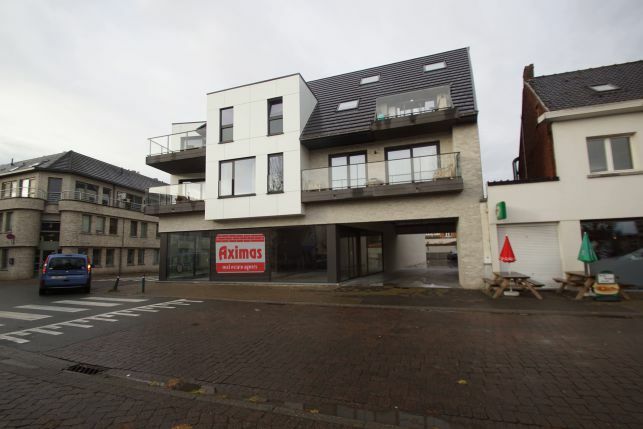 120 m² commerical space for rent in Leuven near Leuven. 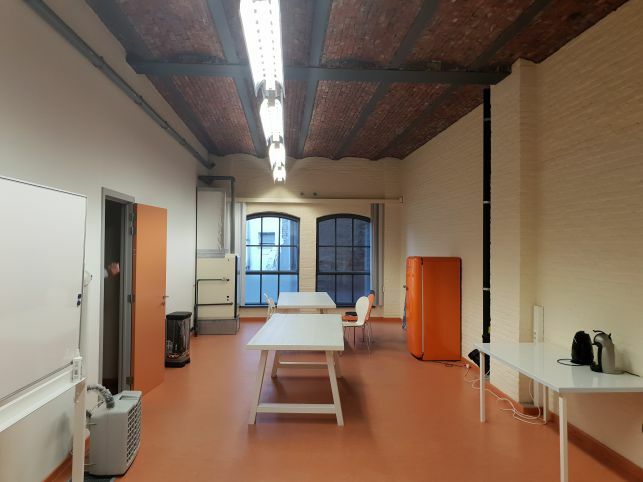 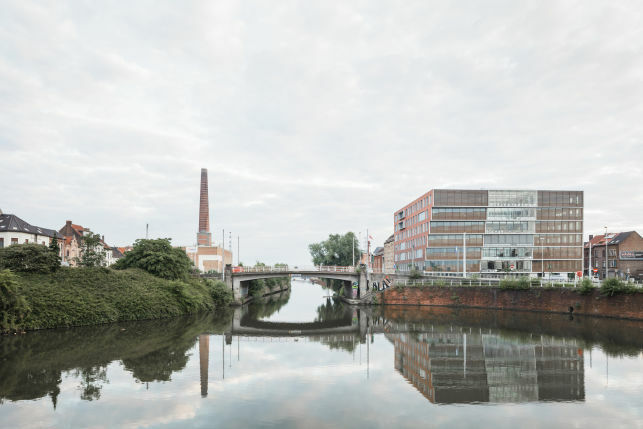 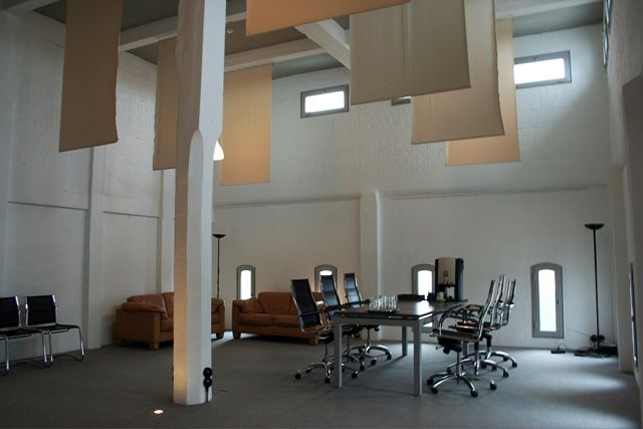 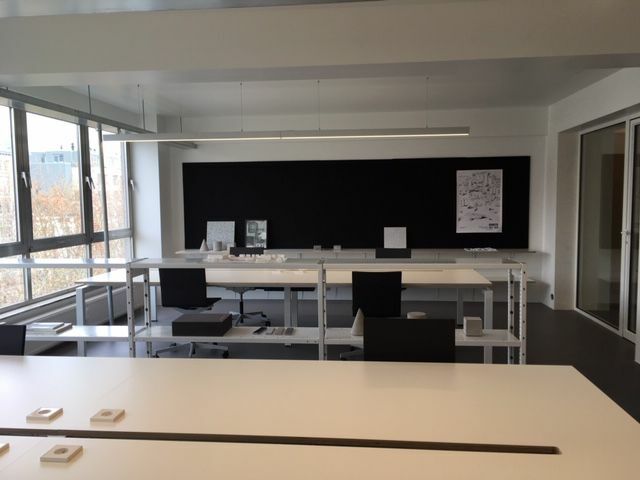 Multi-functional loft for office space, showroom & workshops for rent in Heverlee, Leuven. 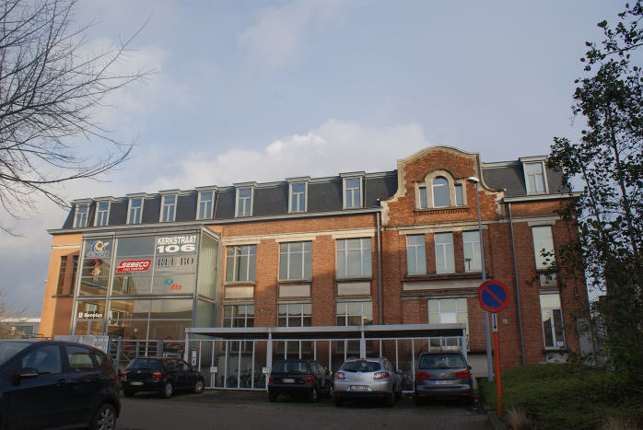 250 m² offices for rent in the Leuven city-centre close to the ring road and the E314 motorway with easy parking. 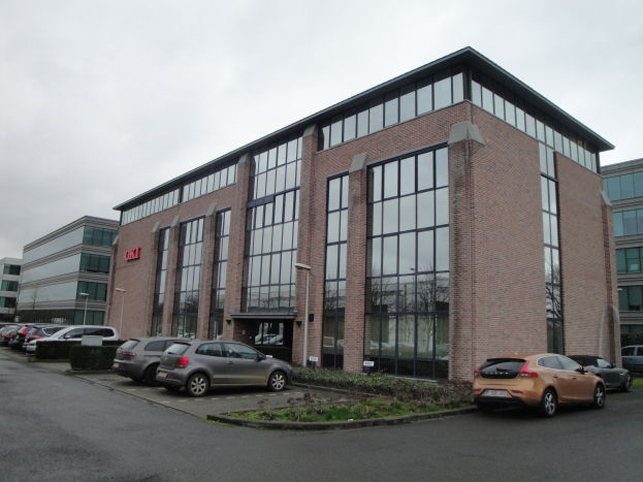 680 m² up-to 830 m² offices to let with exceptional commercial visibility in the Haasrode business park right at the exit of the E40 motorway Brussels-Liège. 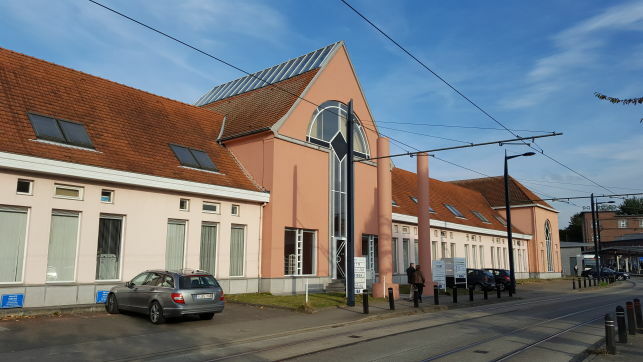 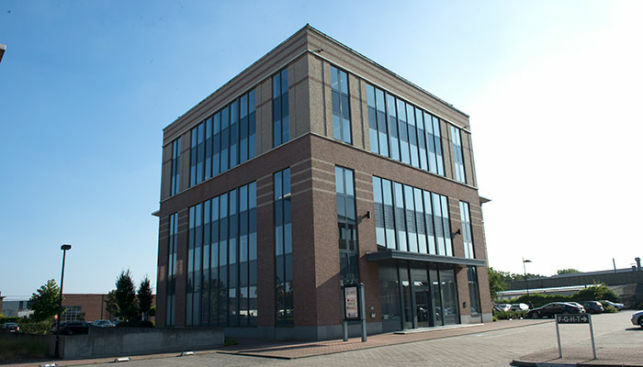 Office space for rent in Mechelen near the Nekkerspoel railway station. 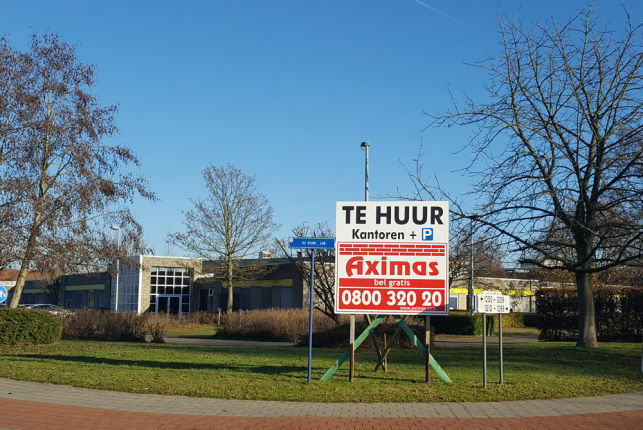 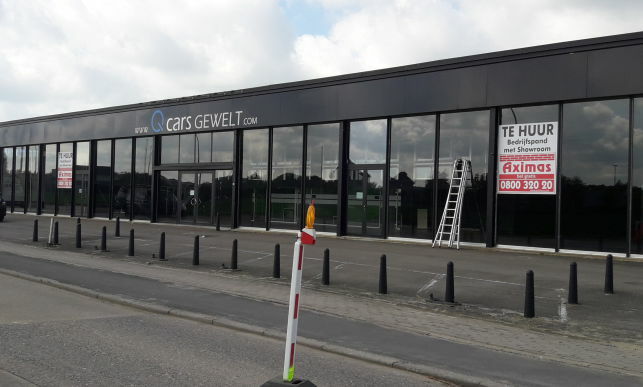 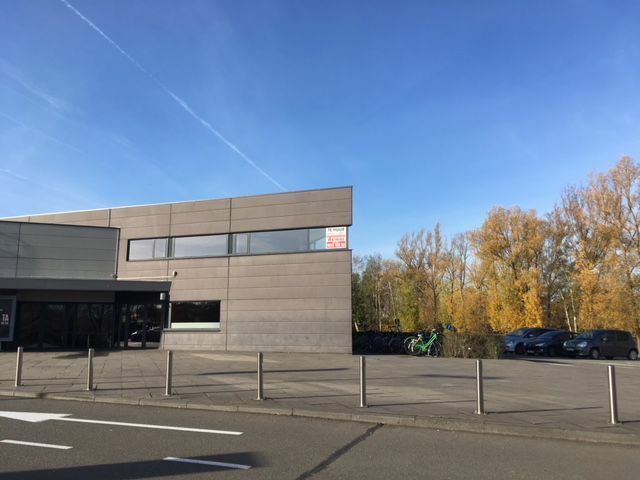 Industrial property with showroom & warehouse for rent at a very visible location in Rotselaar close to the E314 motorway and in proximity of Leuven. 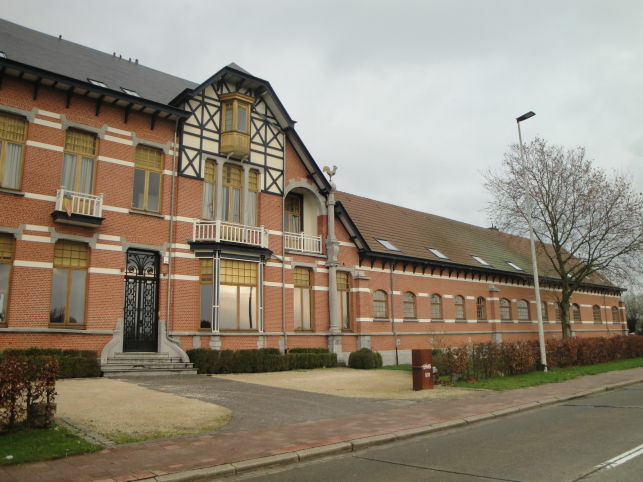 5171 m² office building for rent & for sale at only a few metres from the Leuven train station. 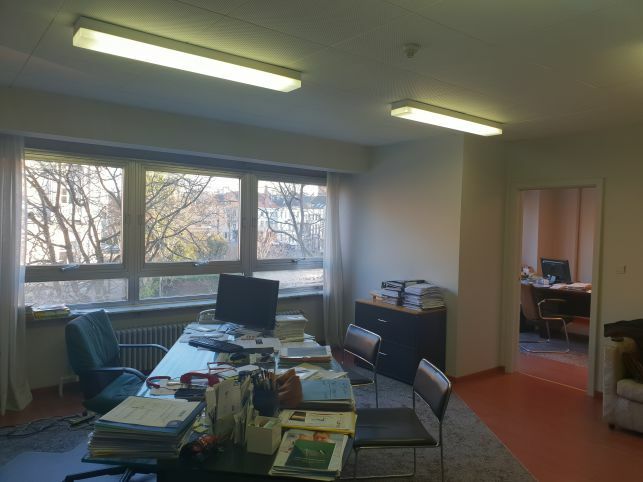 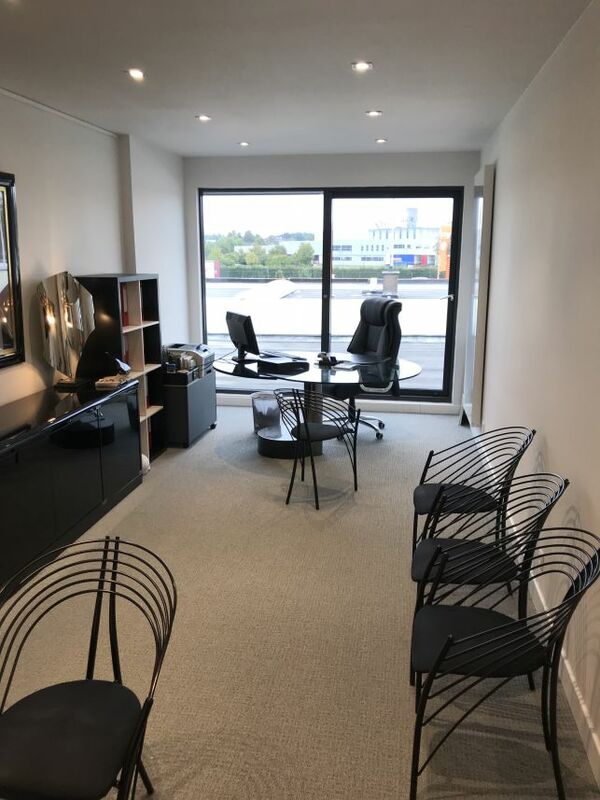 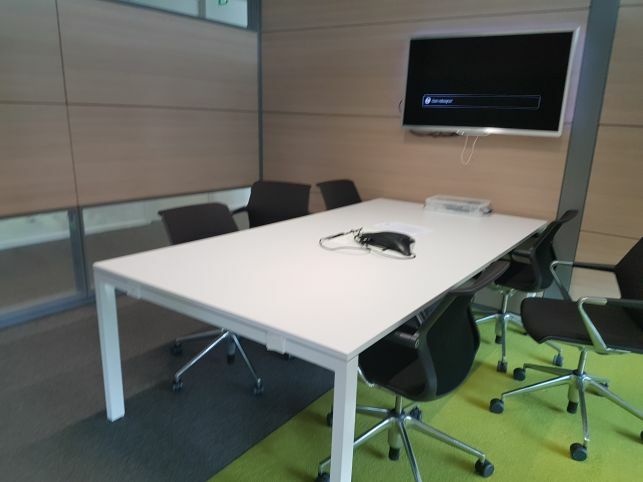 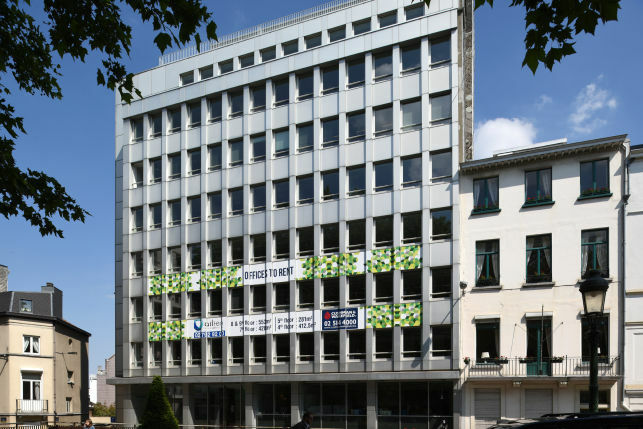 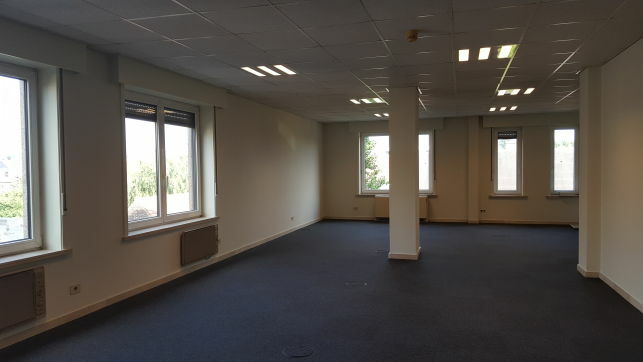 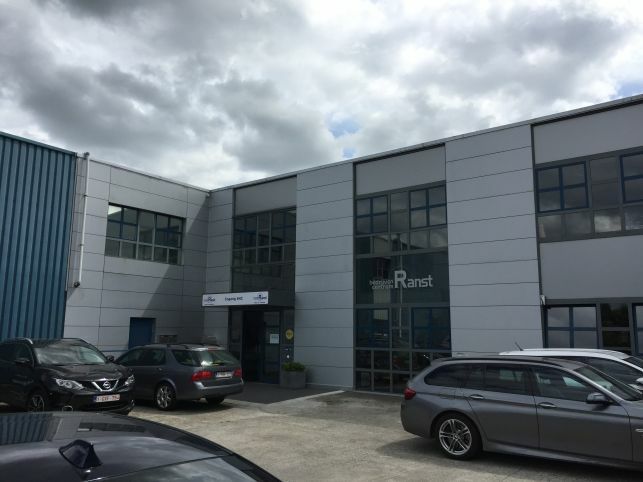 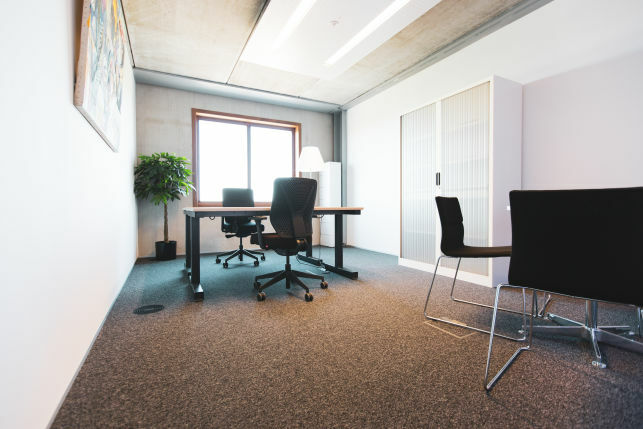 Fully-fitted office space to rent in the Vanderelst business centre near the Leuven railway station, only 15 minutes from Brussels international airport. 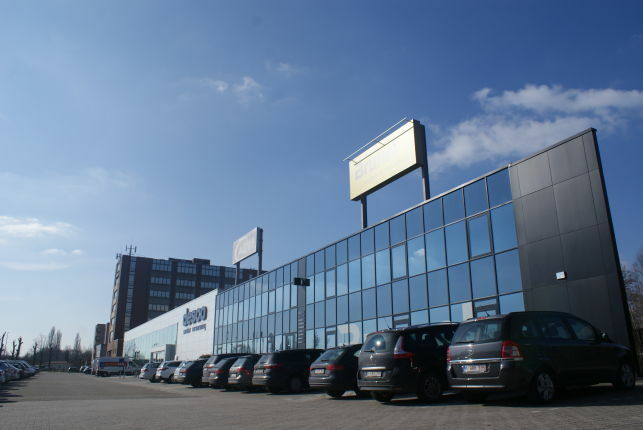 Offices, showroom & warehouse to let on Brusselsesteenweg in Herent, one of the principal commercial arteries in Leuven. 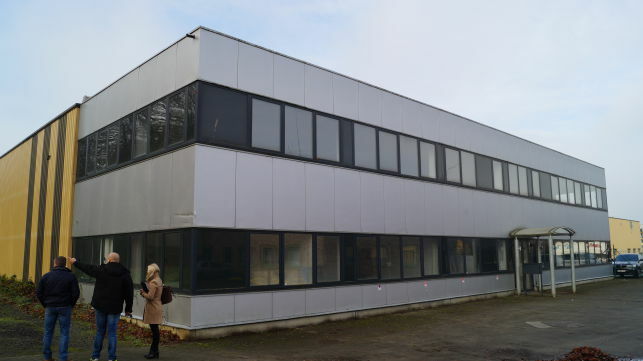 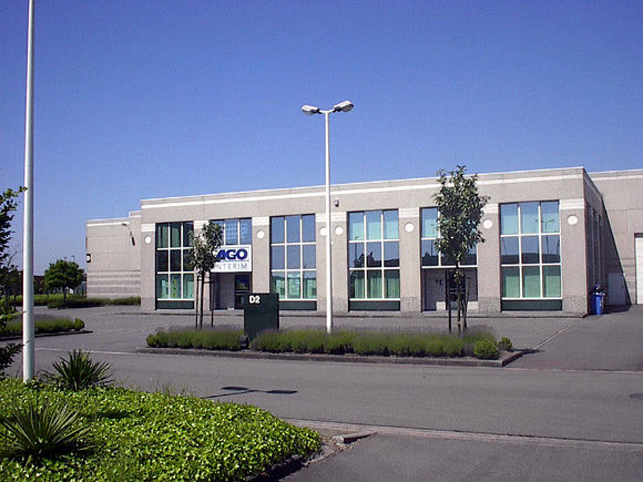 600 m², 1200 m² to 1800 m² office space for rent in Antwerp Edegem near the E19 motorway. 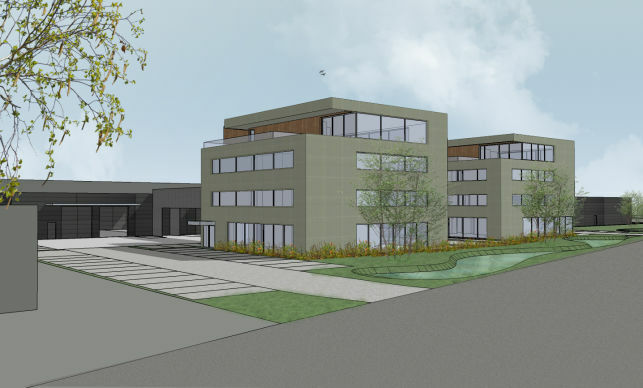 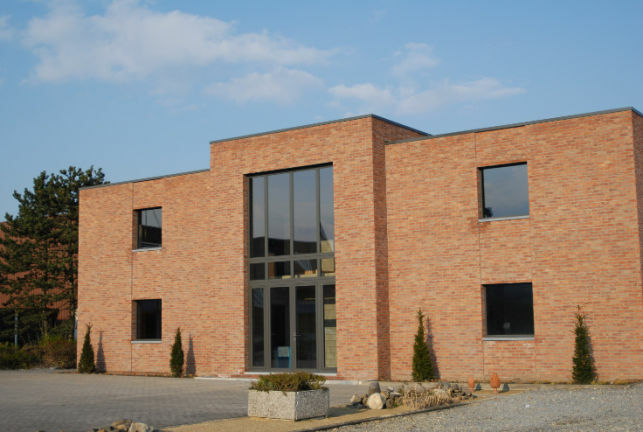 Fully-fitted offices to let in business centre in the Haasrode Research Park at the E40 motorway near Leuven. 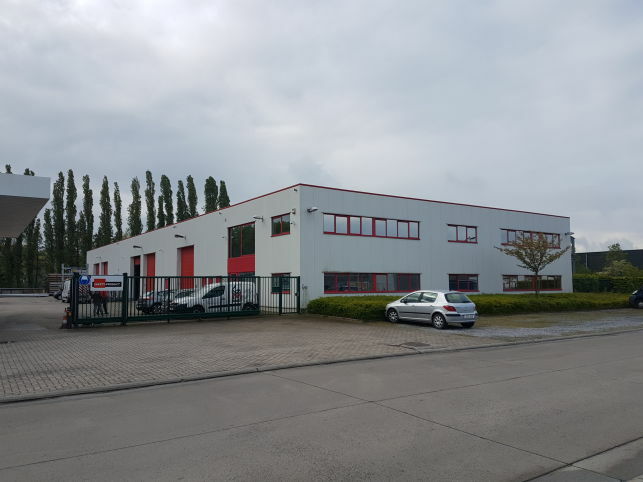 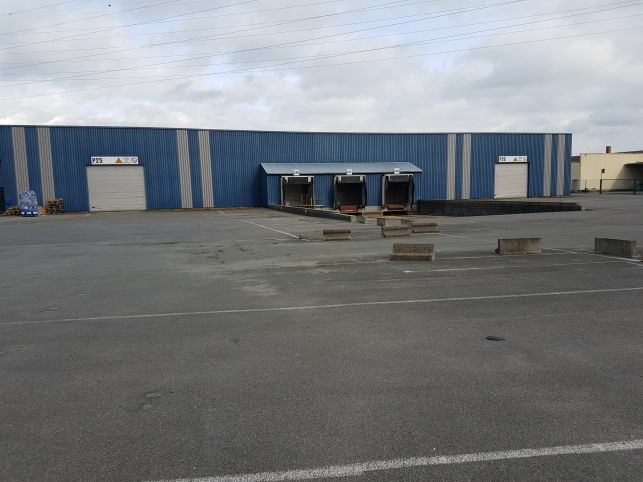 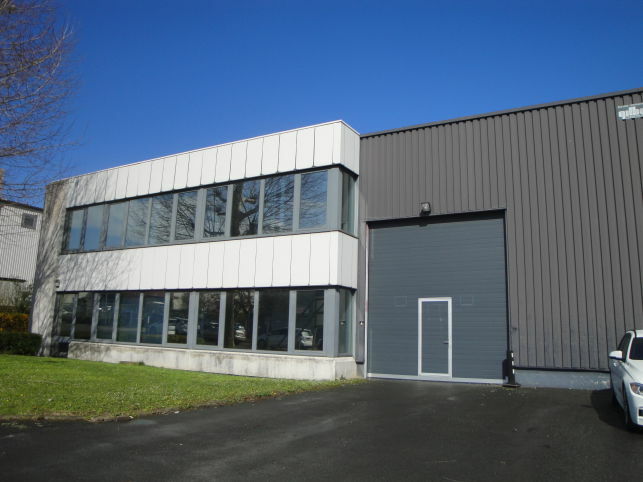 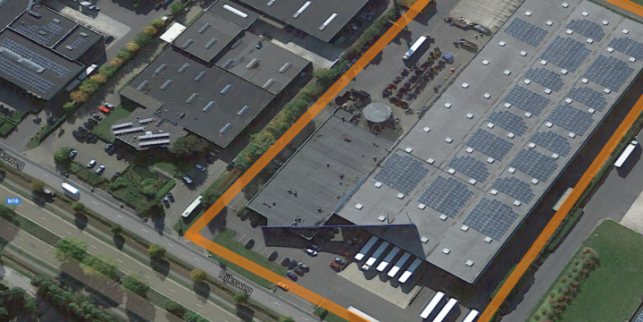 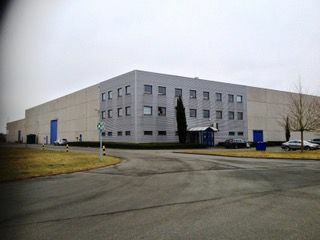 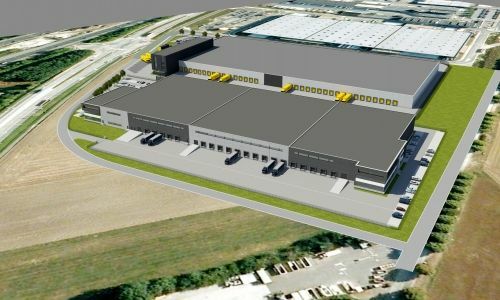 Storage units between 835m² and 3.115m² to let, near A12 in Willebroek with good connection to the Port of Antwerp & Brussels. 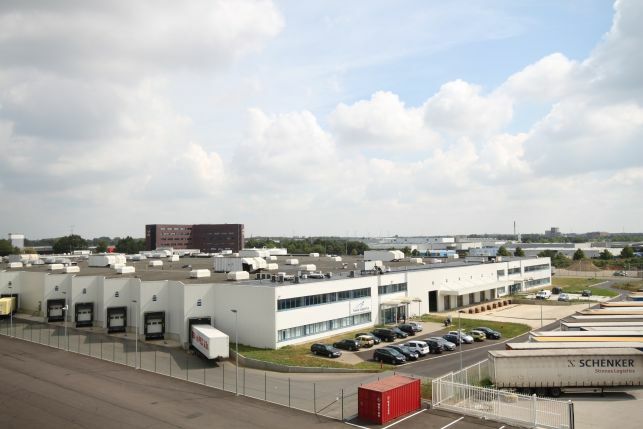 Industrial property in the Port of Antwerp with office space & warehouses for rent. 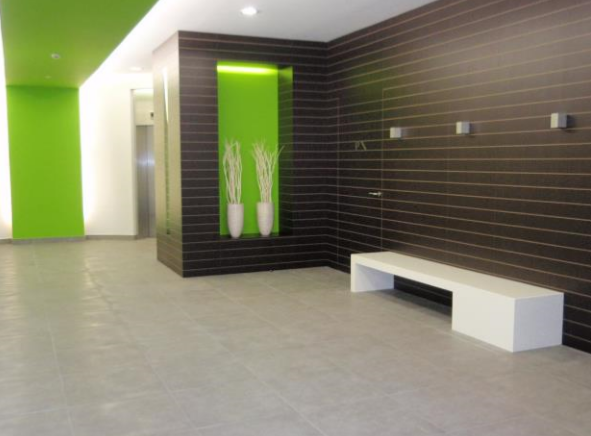 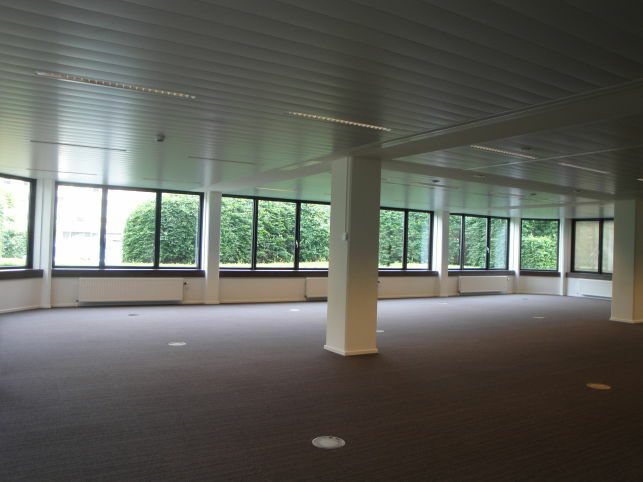 Modern office space for rent in a upgraded office building with underground parking near the Leuven railway station. 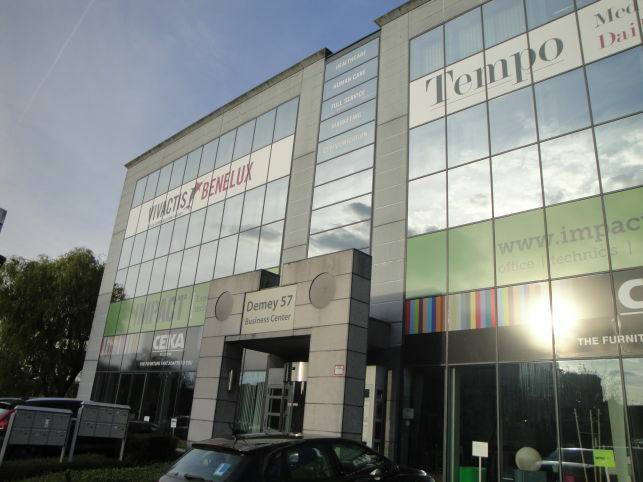 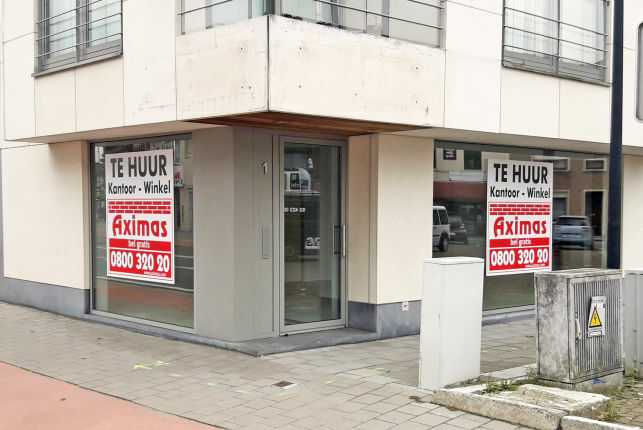 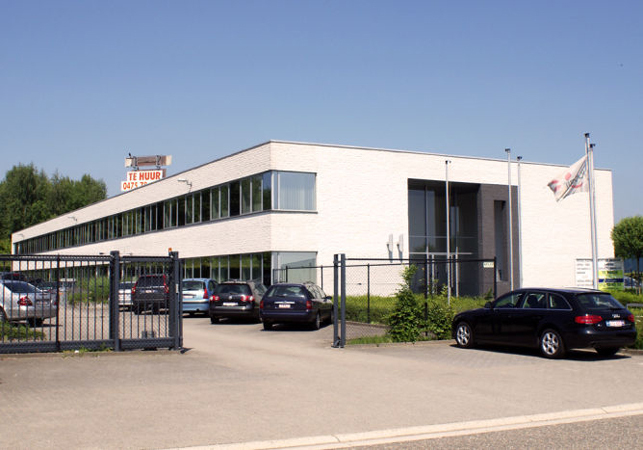 Offices to let in Edegem near the E19 motorway in Antwerp. 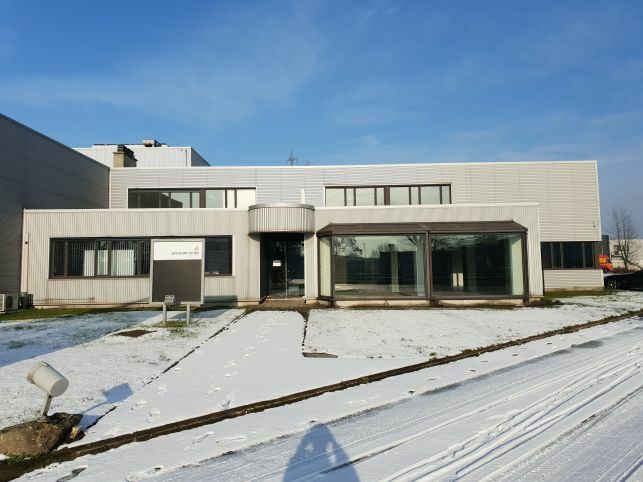 Warehouse & polyvalent intermediate floor for storage & laboratory for rent in a business centre in the Haasrode research park near Leuven. 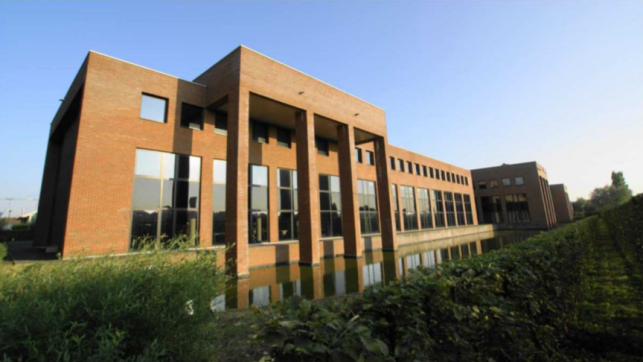 835 m² offices for rent in Diest near the E314 Leuven-Hasselt, near Aarschot, Herentals, Hasselt & Tessenderlo. 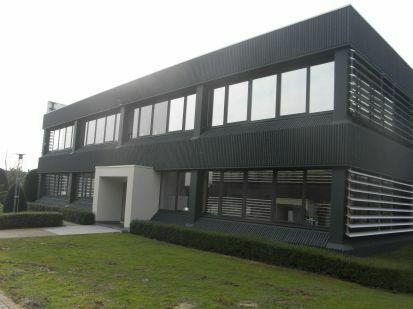 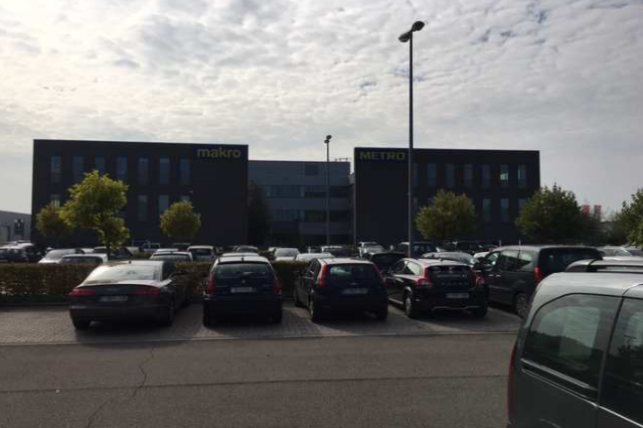 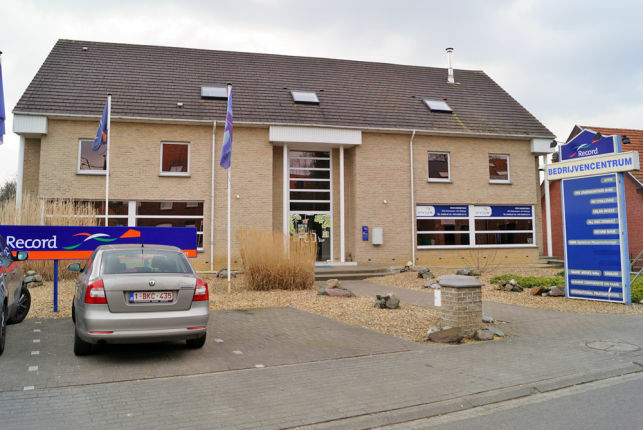 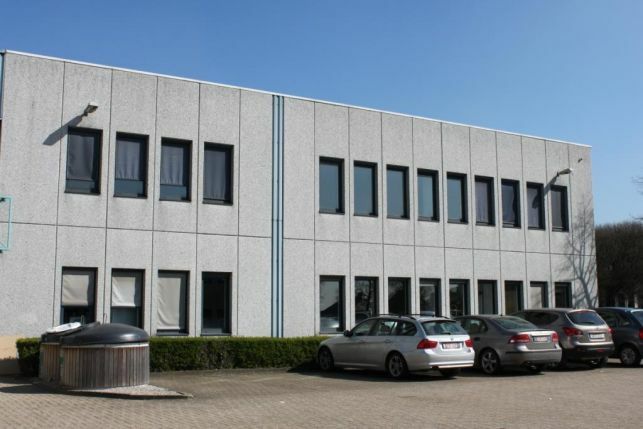 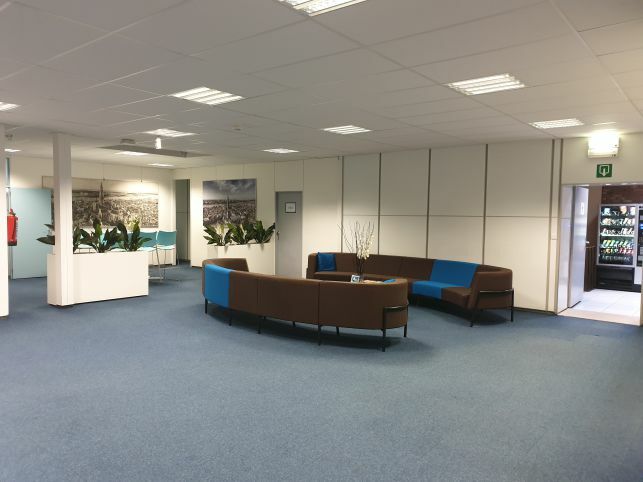 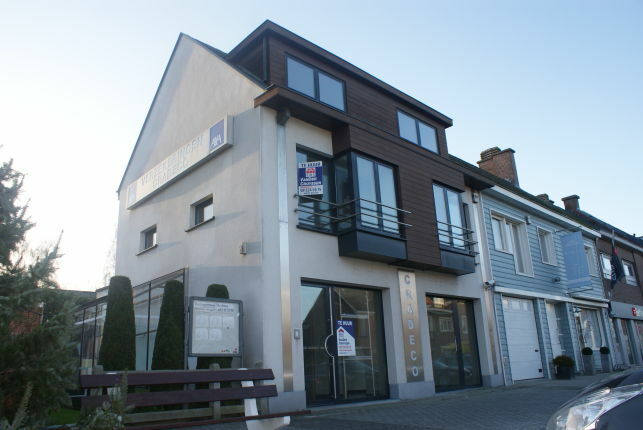 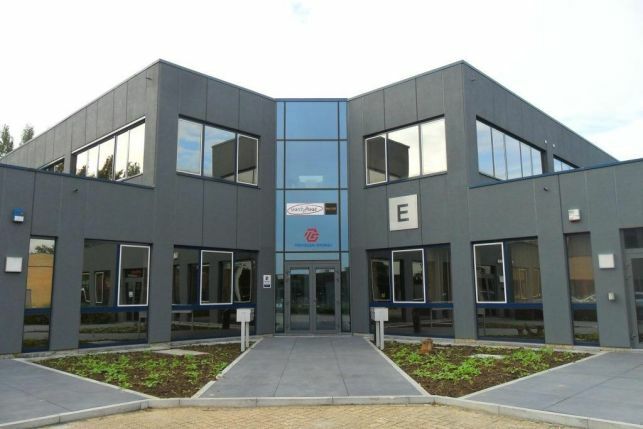 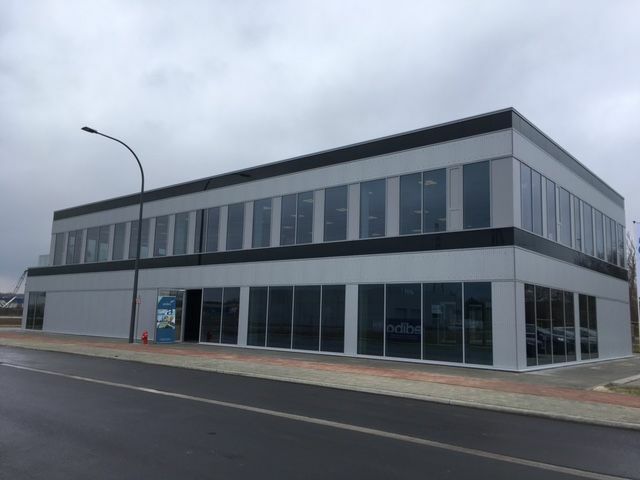 Fully-fitted offices to let in Harelbeke near Kortrijjk. 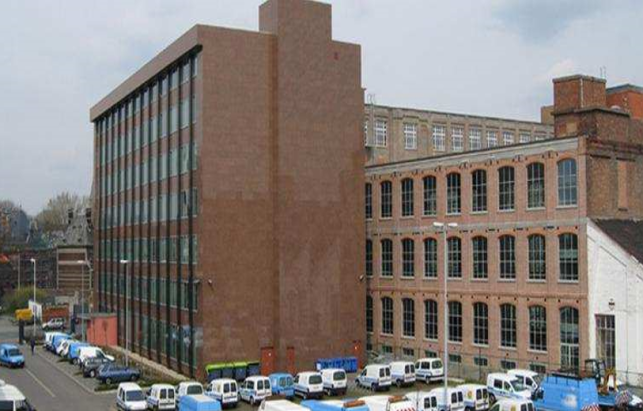 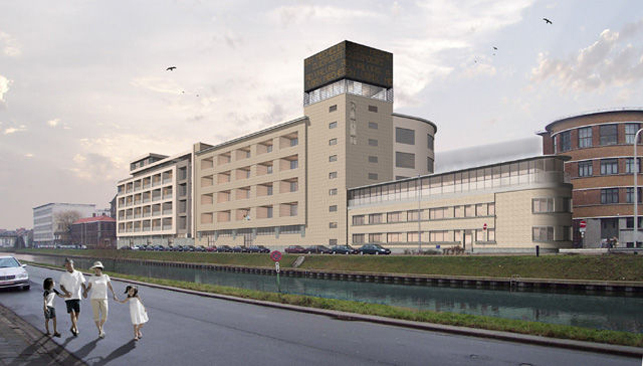 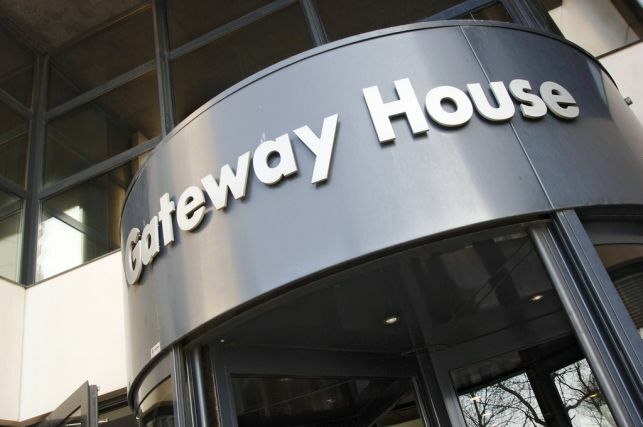 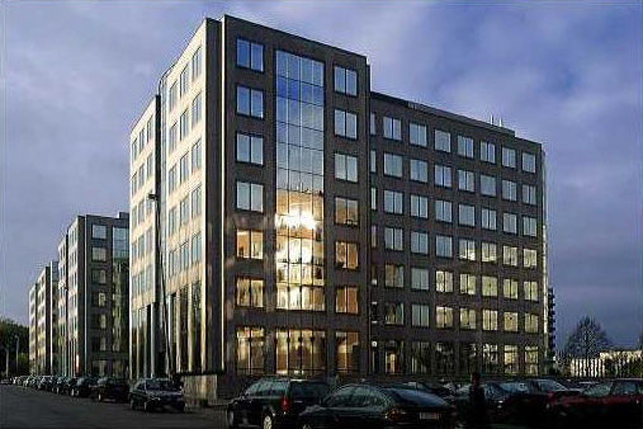 Budget office space rental in the Port of Antwerp at all-in rate. 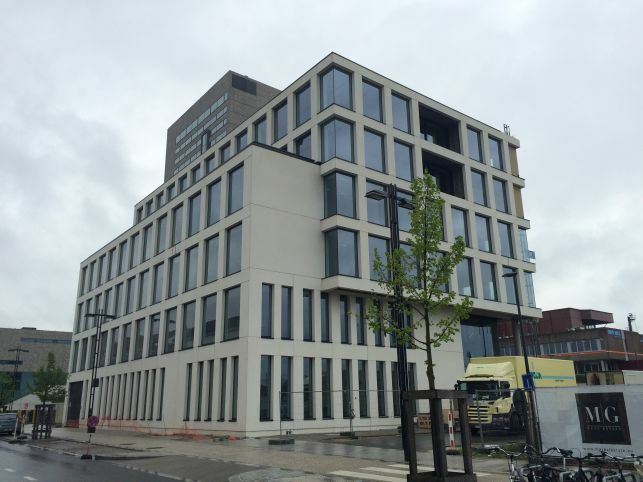 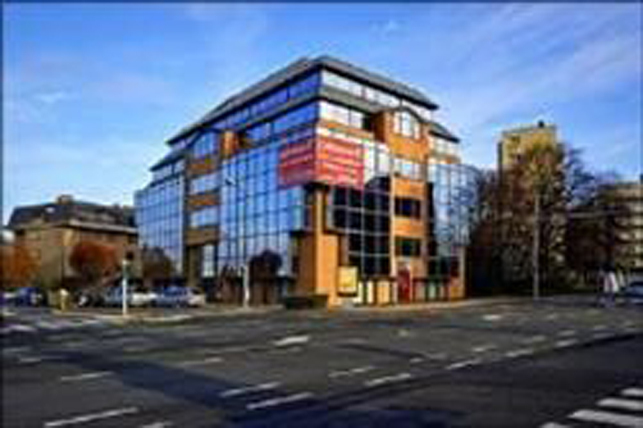 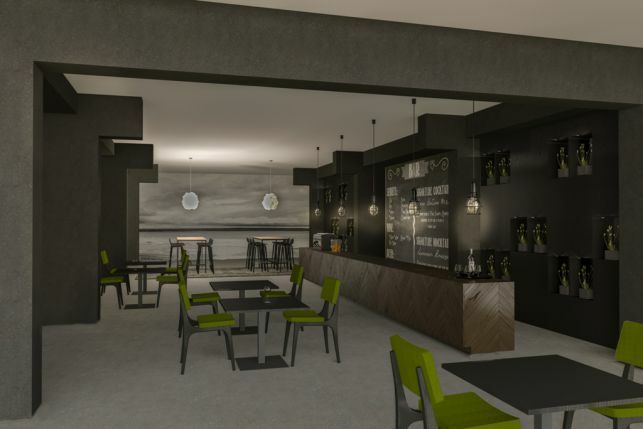 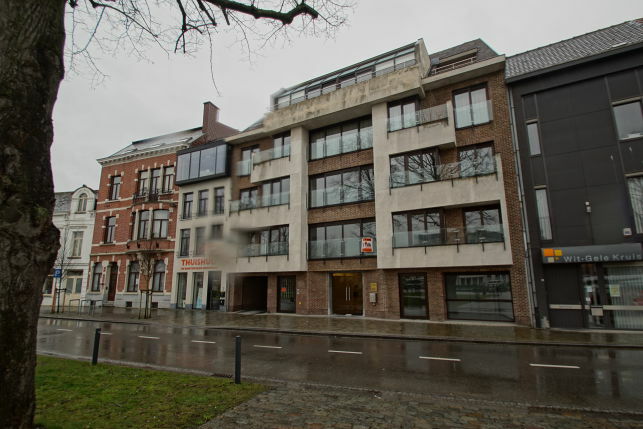 Budget offices to let in full-service business center in Hasselt. 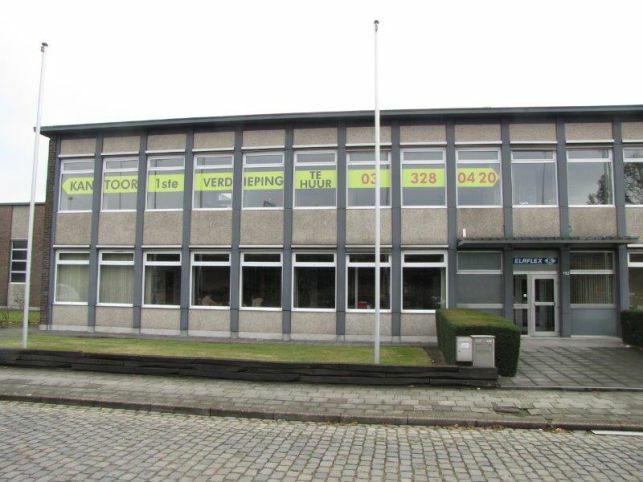 Industrial property with prime office space & warehouses for rent at to the Aarschot railway station. 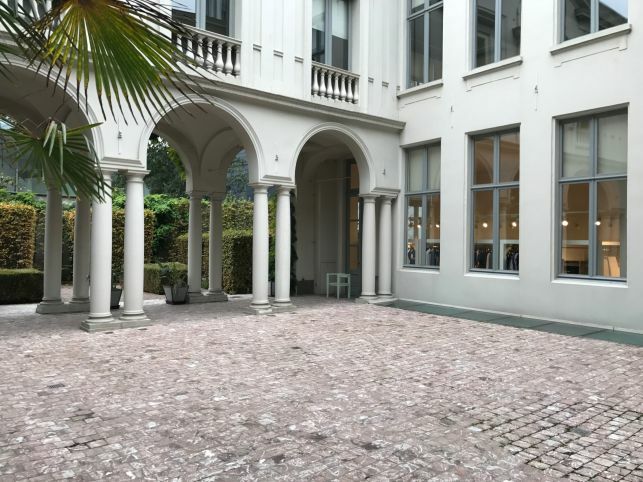 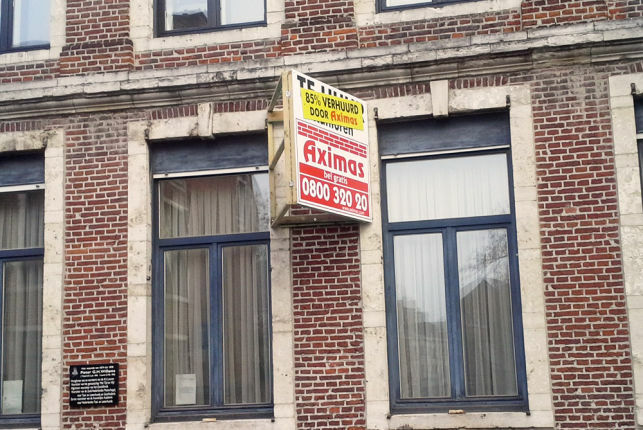 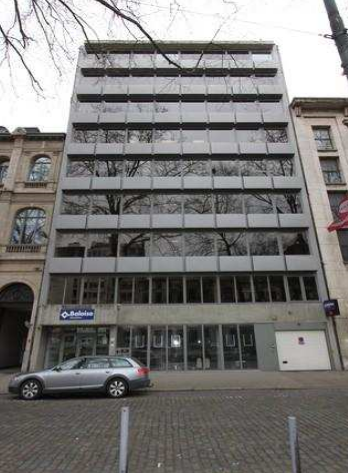 Flexible office space to let in Business center located in center of Antwerp. 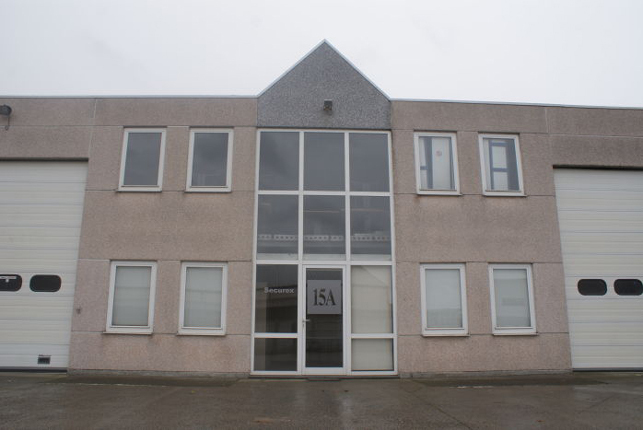 100 m² to 500 m² office space for rent near the Port of Antwerp. 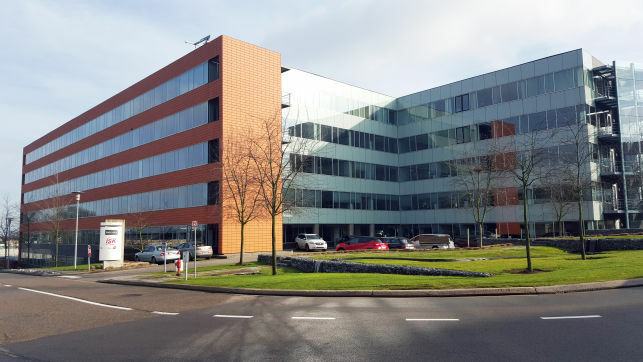 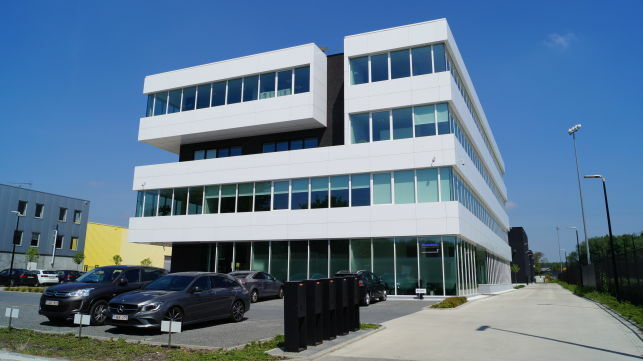 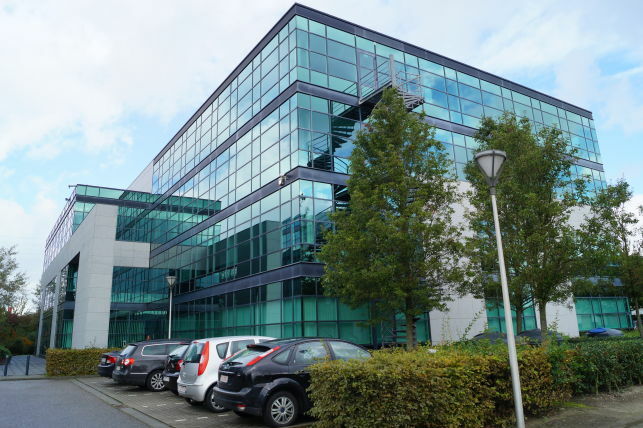 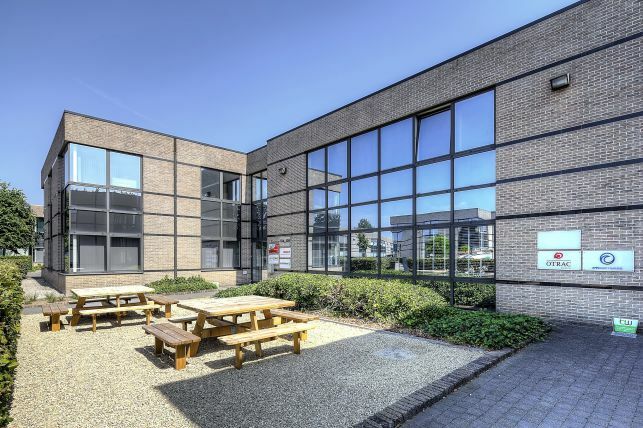 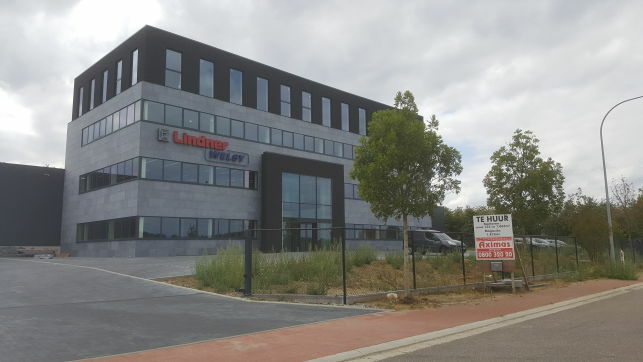 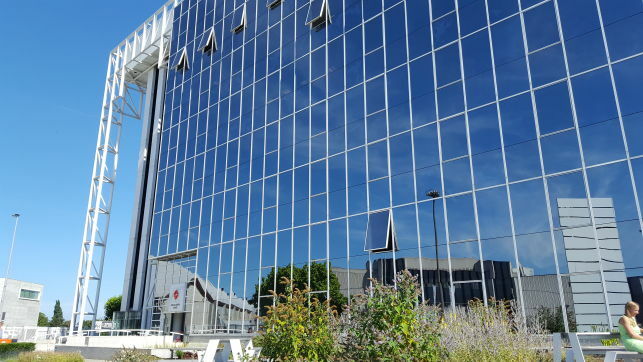 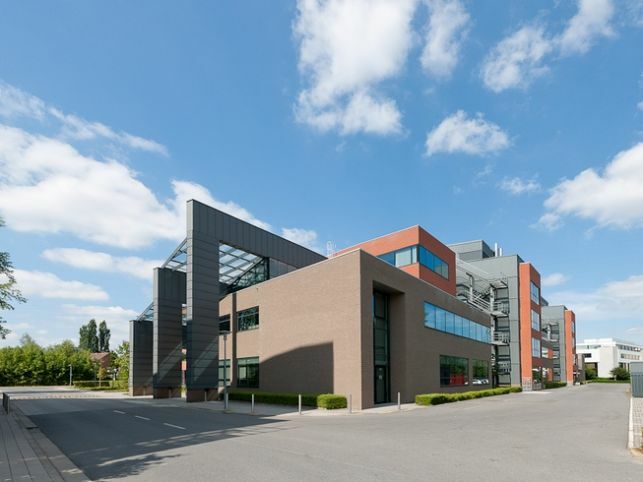 Fully-fitted office space for rent in the Business & Media Park in Vilvoorde near Brussels international airport in Zaventem. 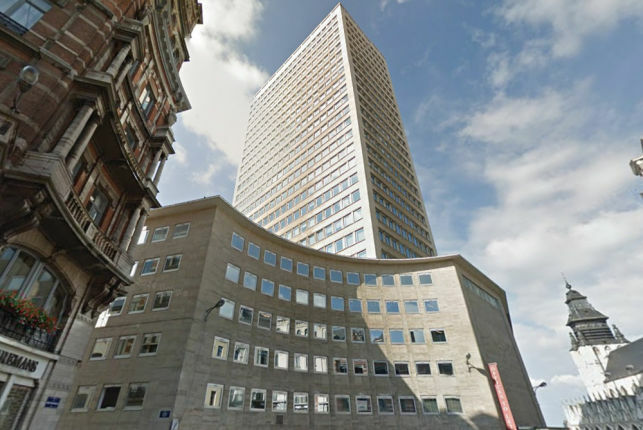 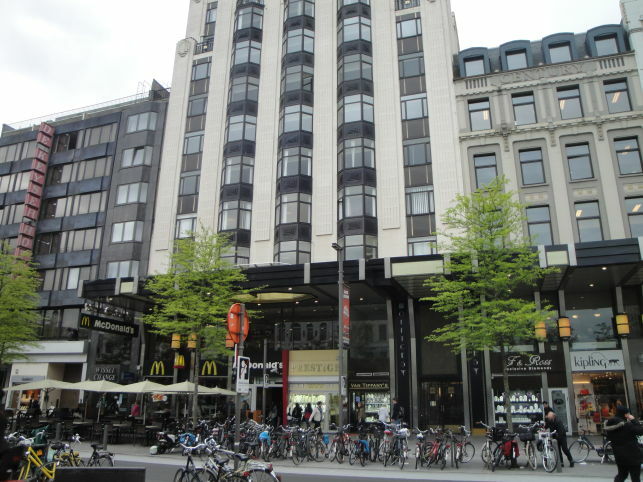 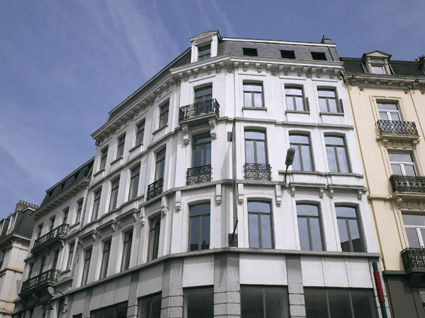 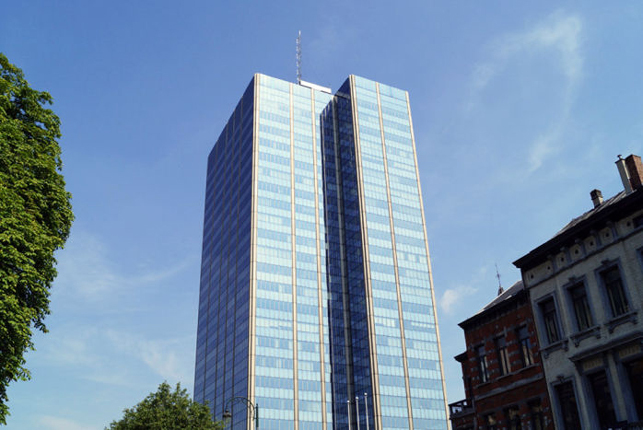 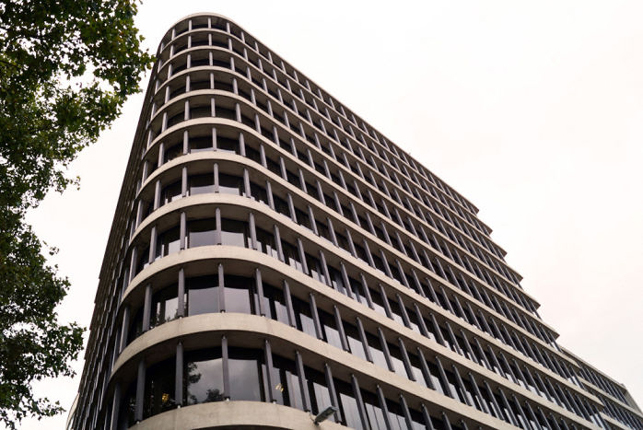 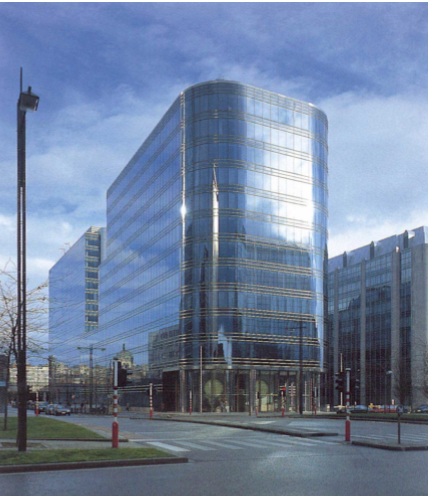 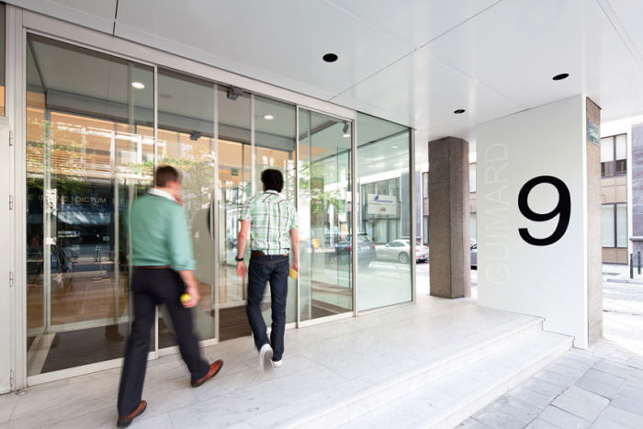 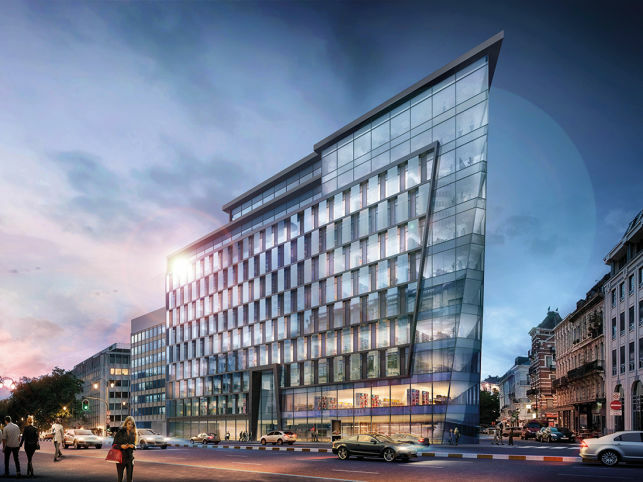 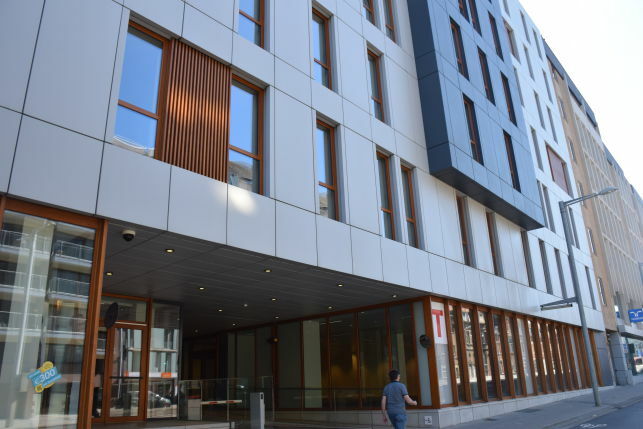 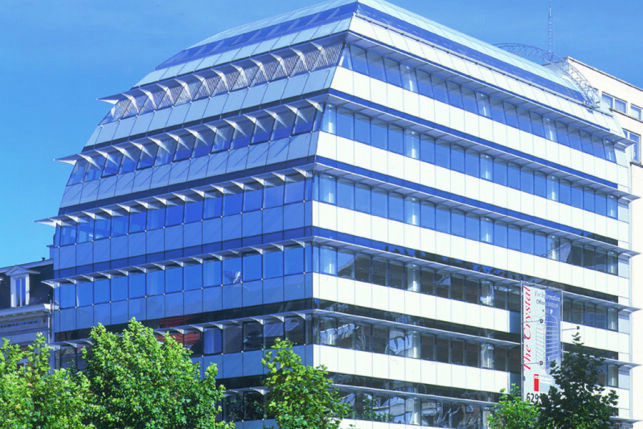 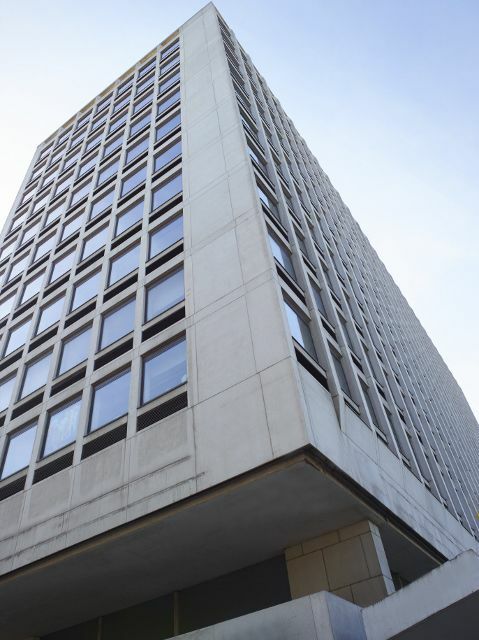 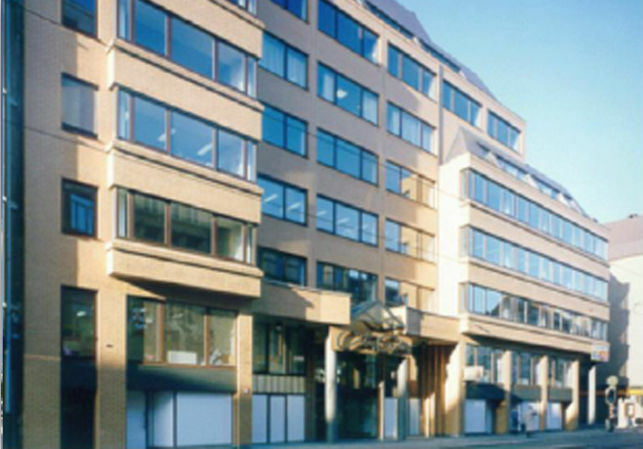 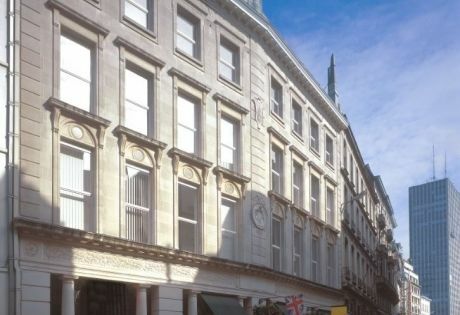 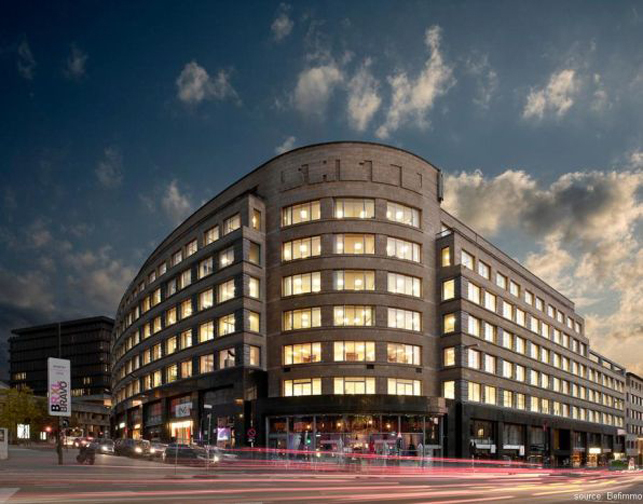 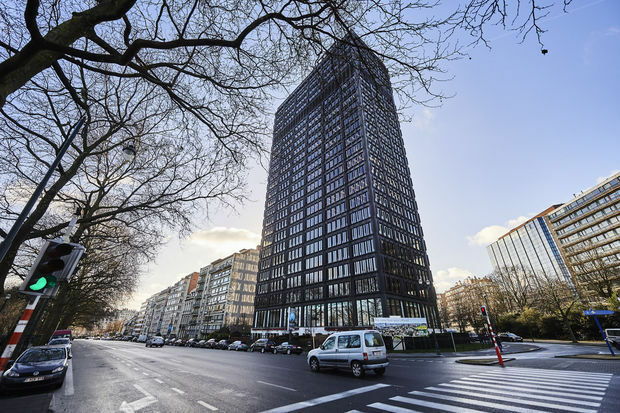 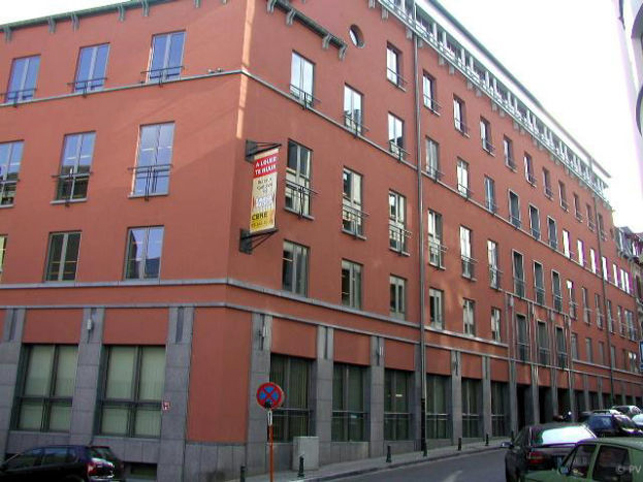 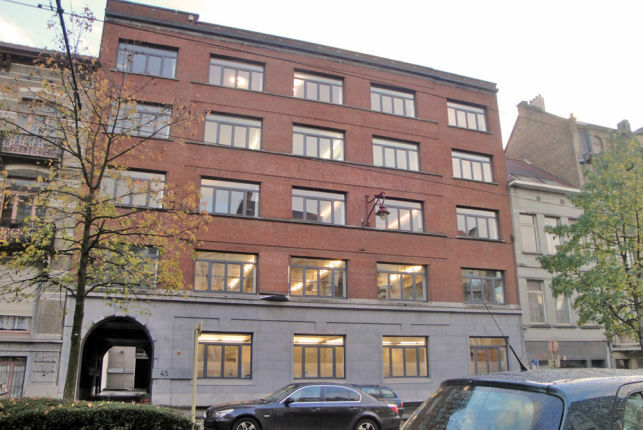 335 m² up-to 1000 m² office space rental in the Antwerp city-center. 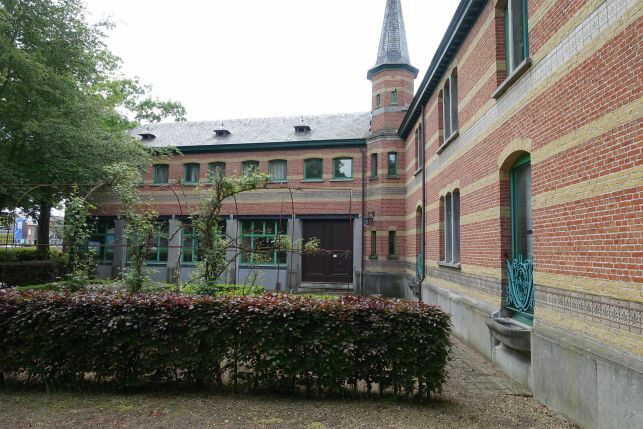 Cheap office space for rent in the UBIcenter on the former Philipssite near the Leuven railway station & the Haasrode business park. 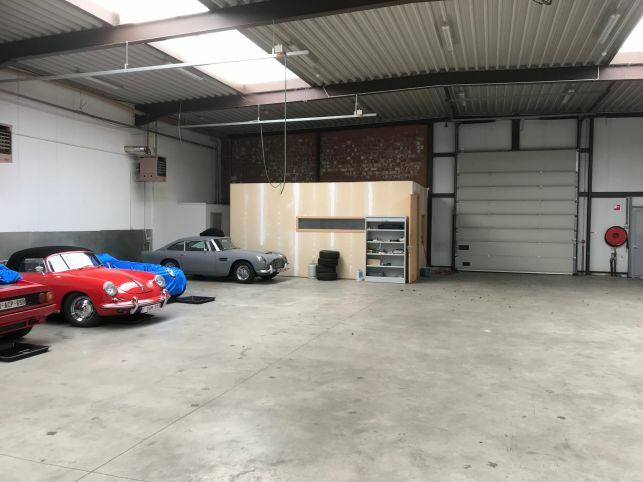 Short term lease possible! 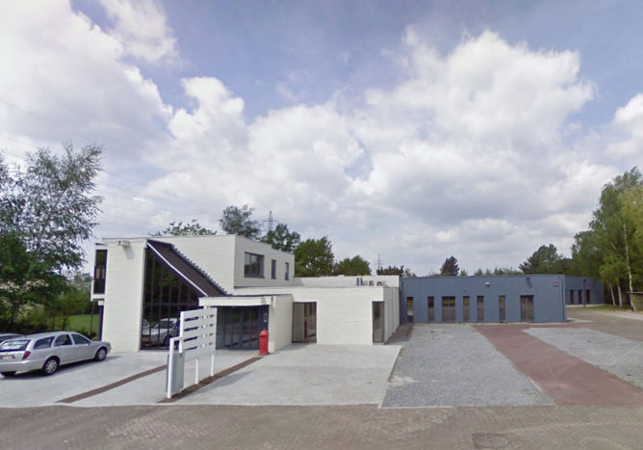 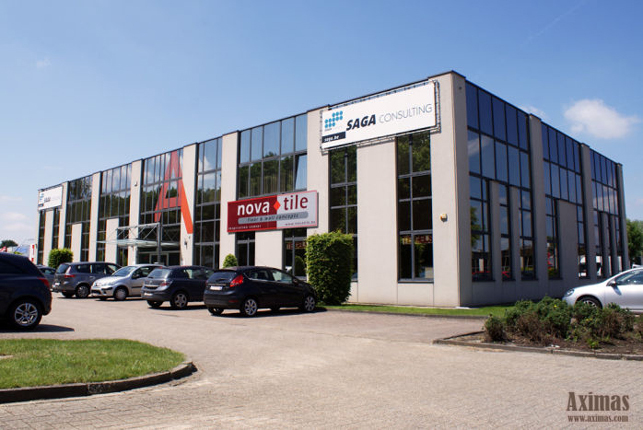 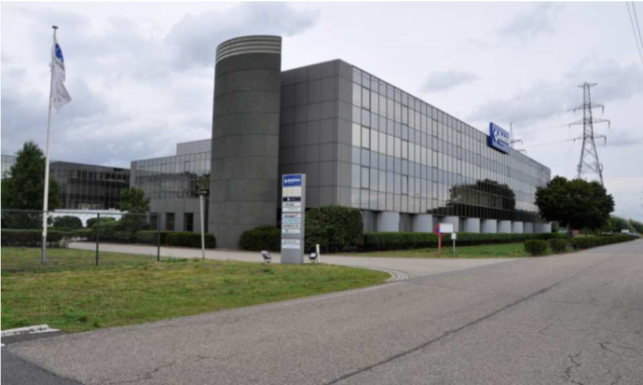 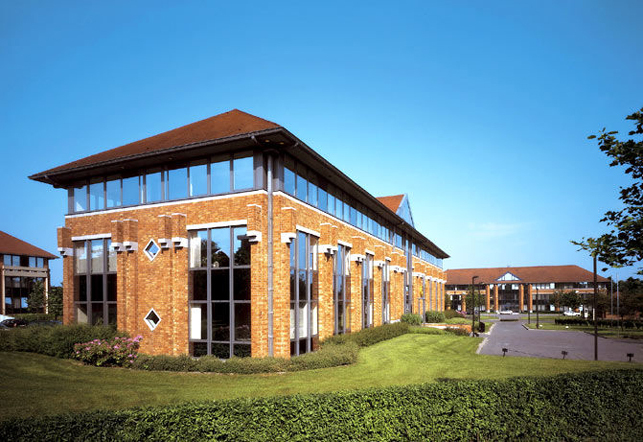 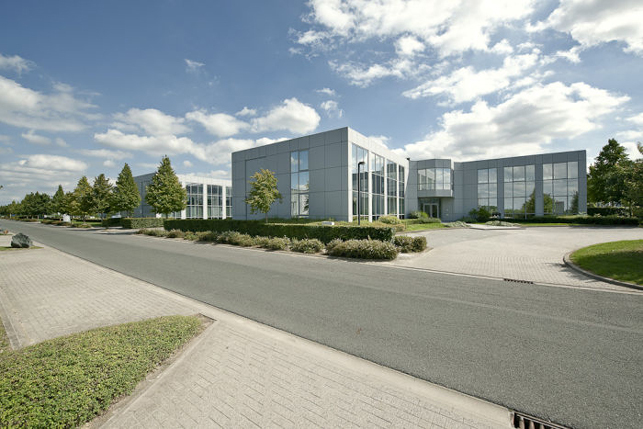 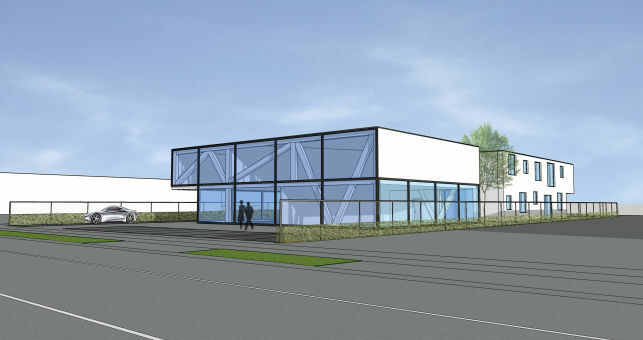 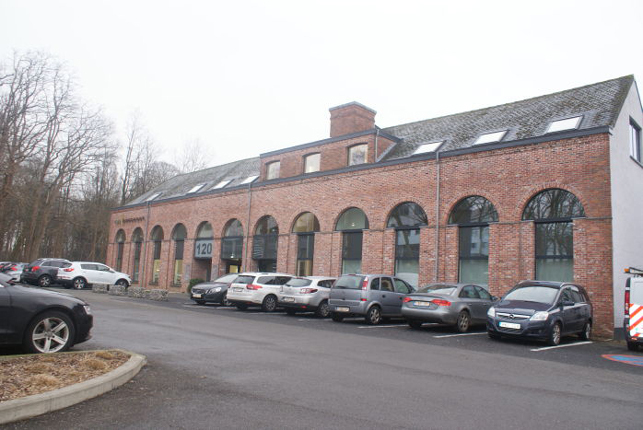 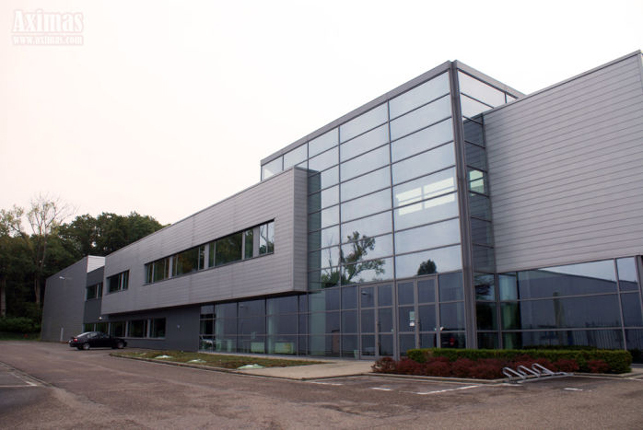 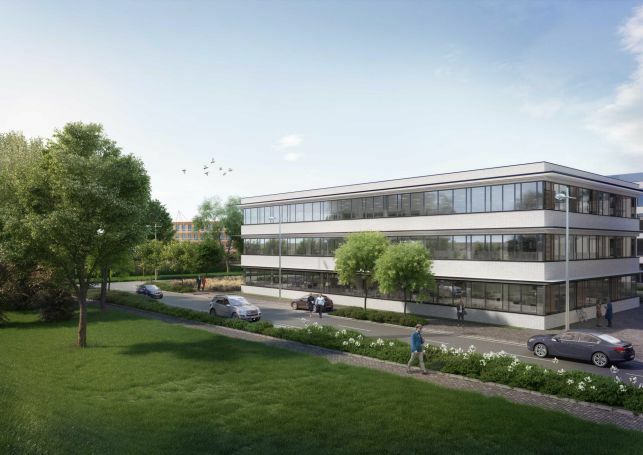 240 to 530 m² flexible office space to lease in the Haasrode business park near Leuven. 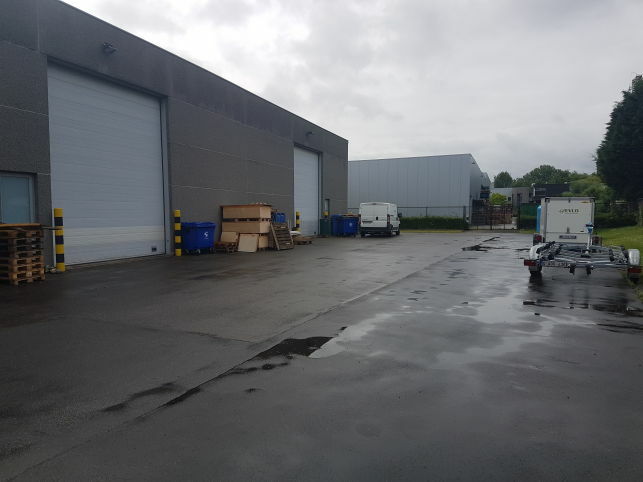 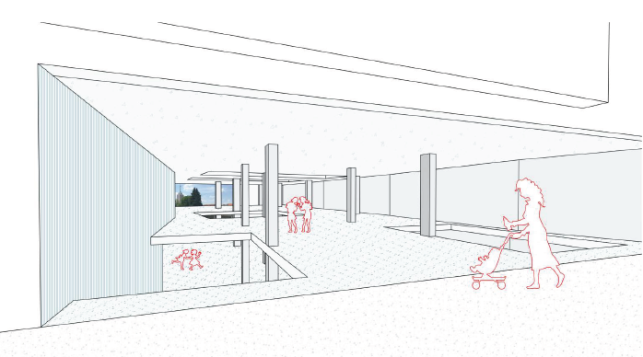 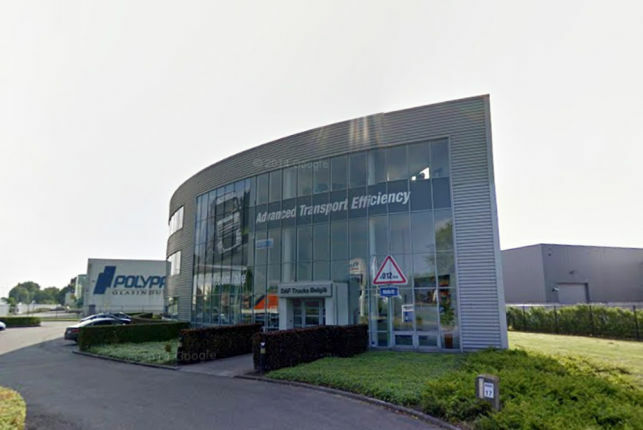 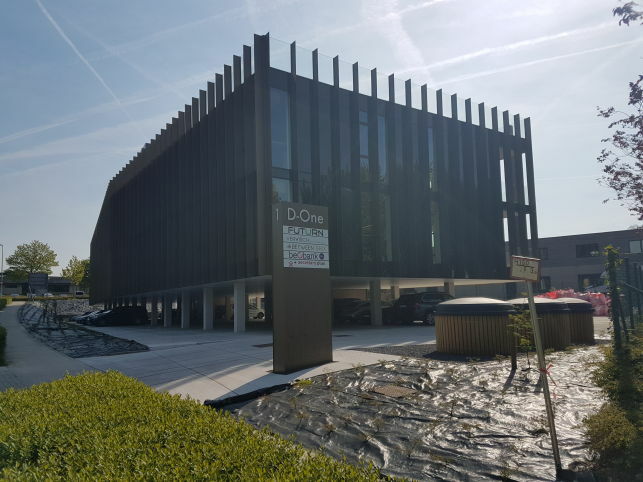 Office space with polyvalent storage to lease in Holsbeek near Leuven, possibility to combine with a small warehouse unit, laboratories or showroom. 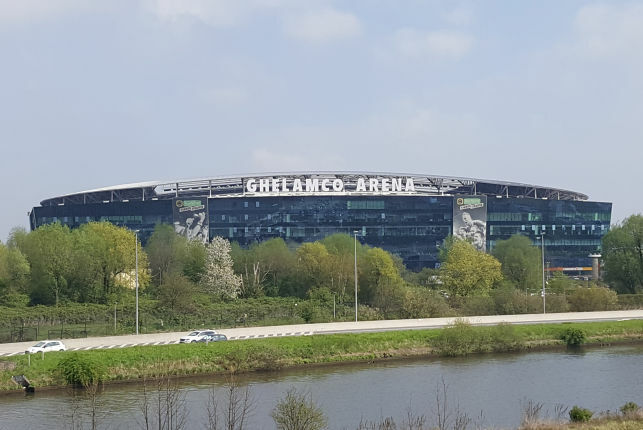 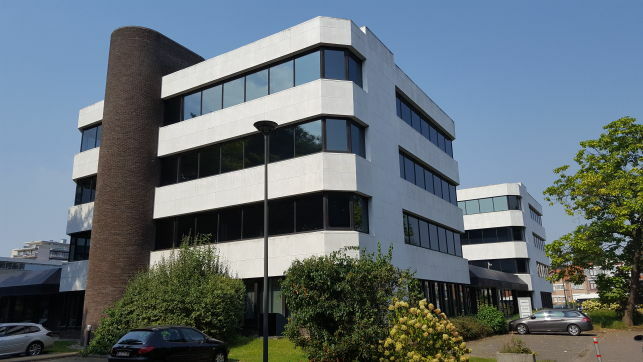 30 m² up-to 750 m² office space for rent in Mechelen-North, alongside the E19 Brussels-Antwerp motorway, 10 min from the Brussels international airport. 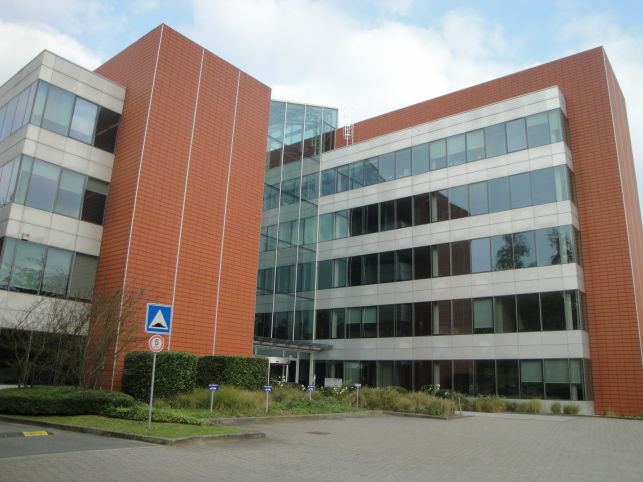 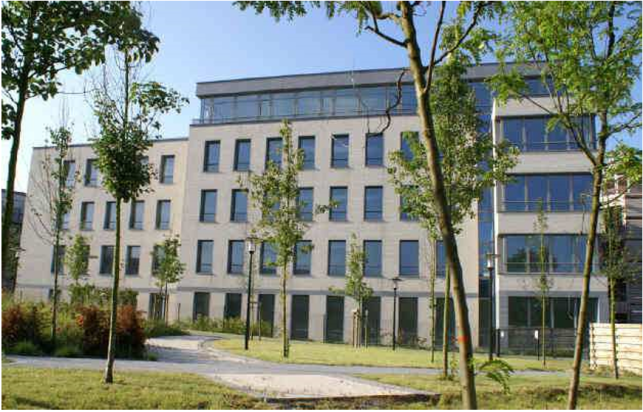 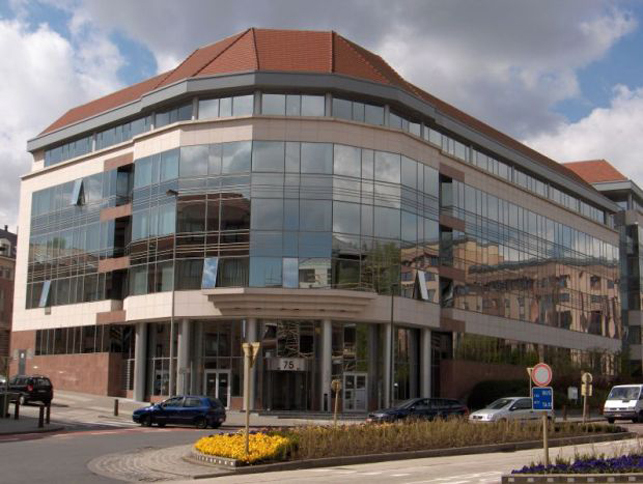 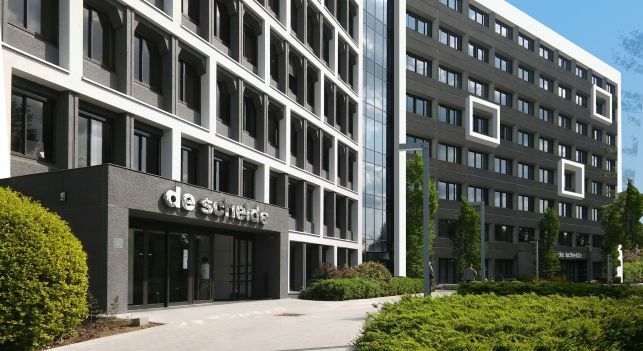 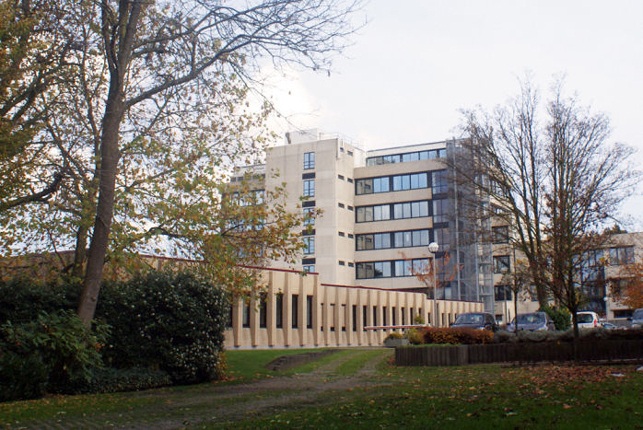 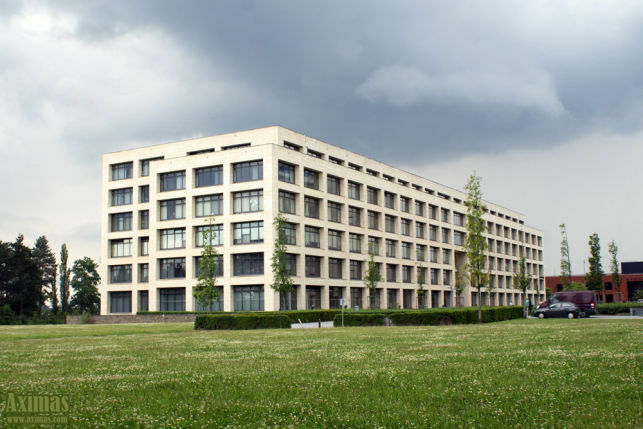 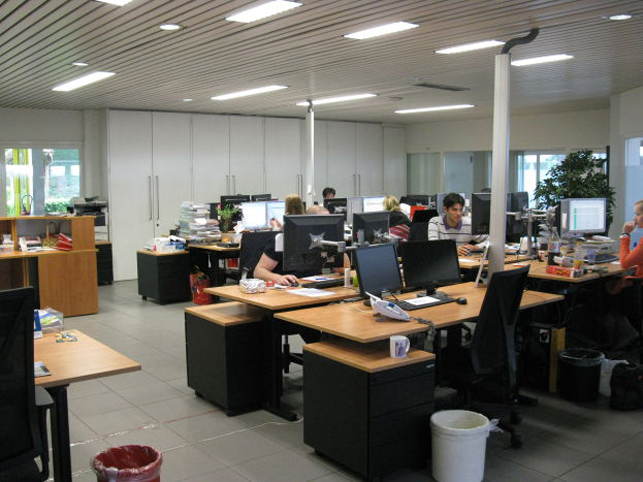 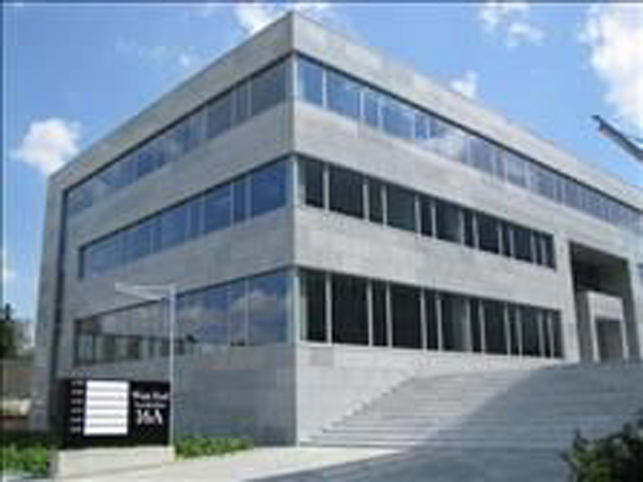 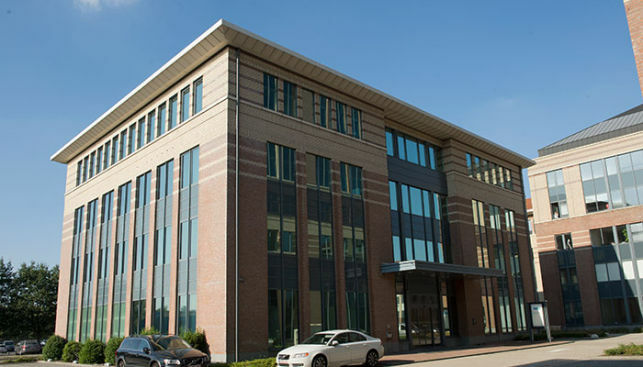 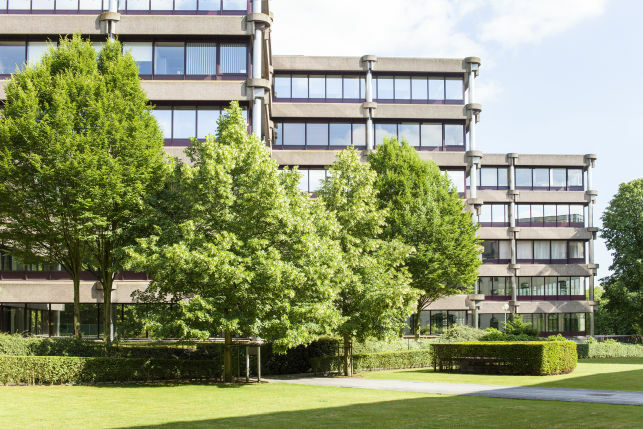 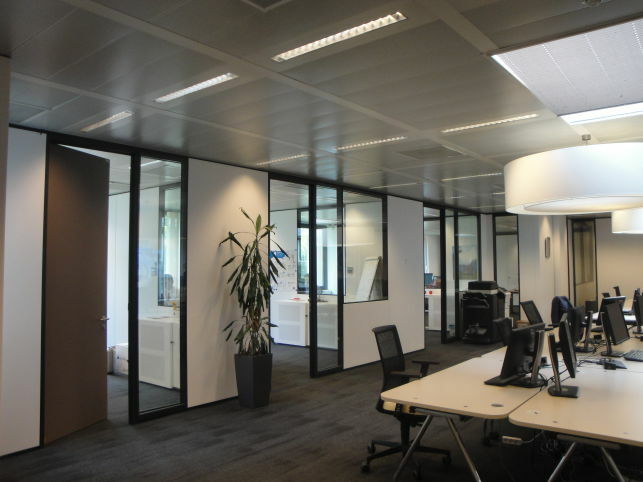 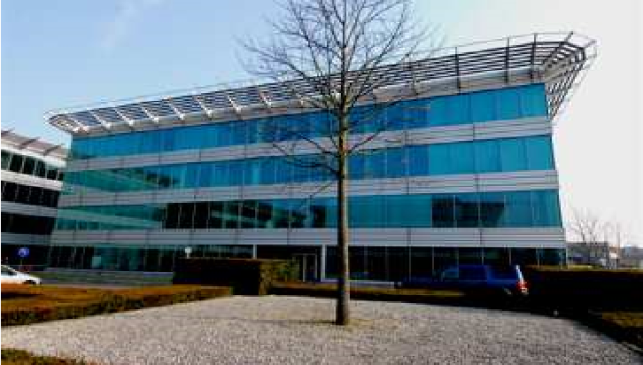 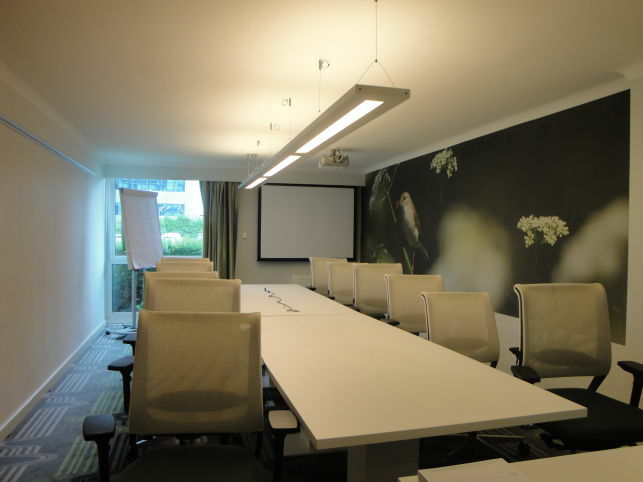 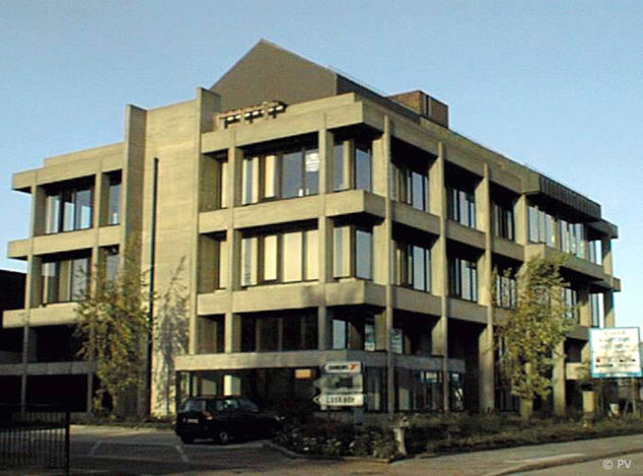 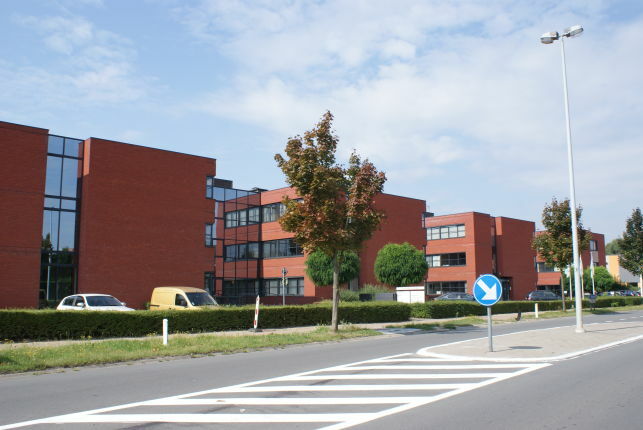 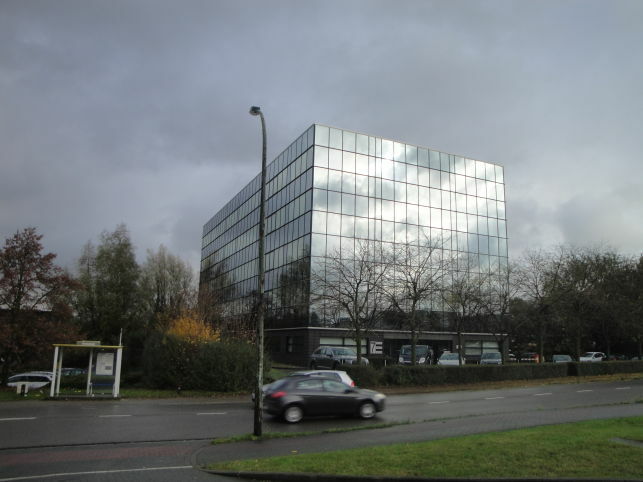 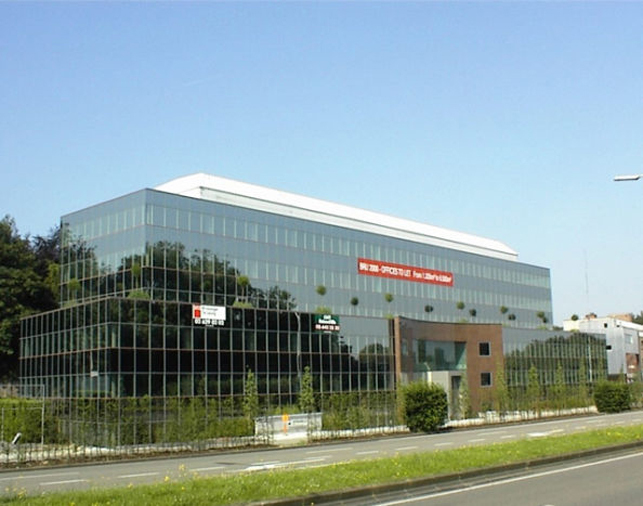 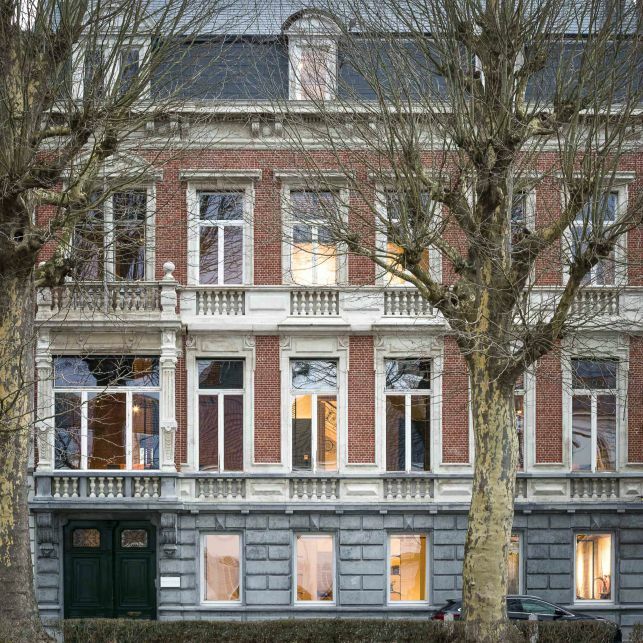 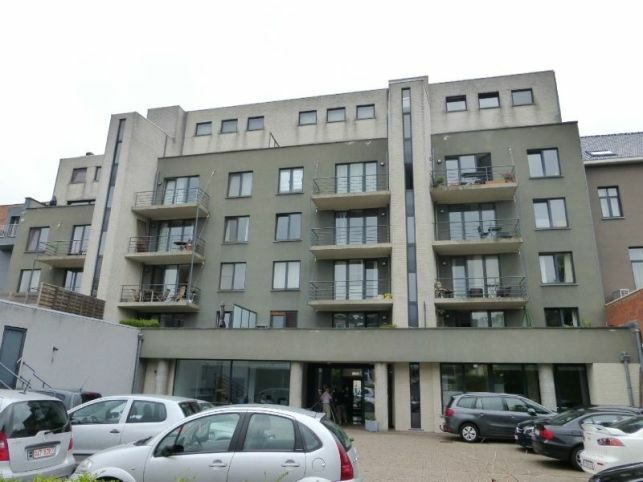 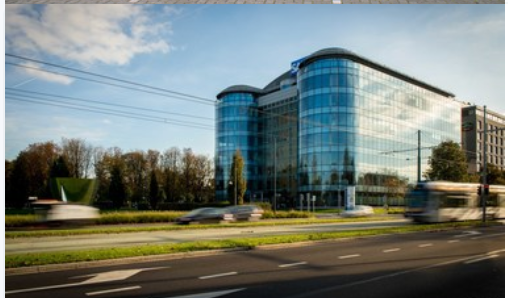 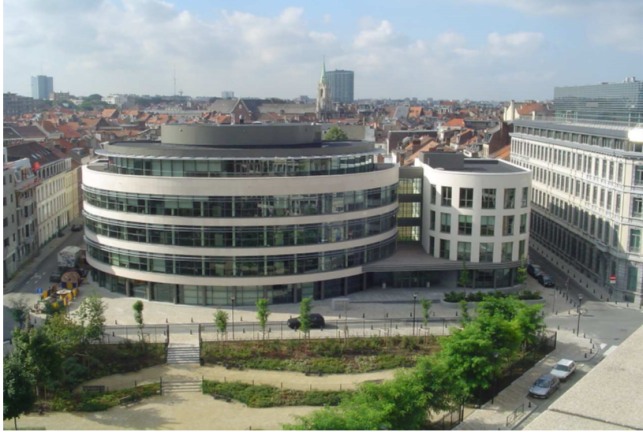 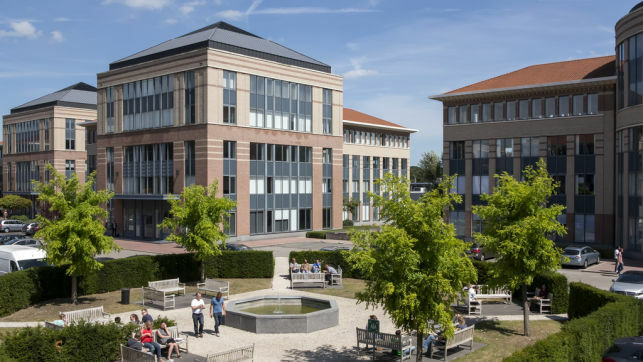 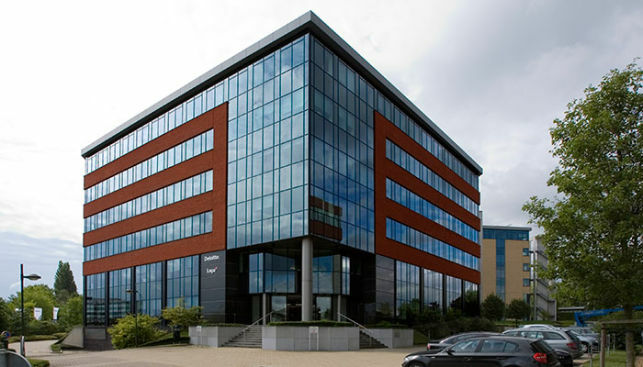 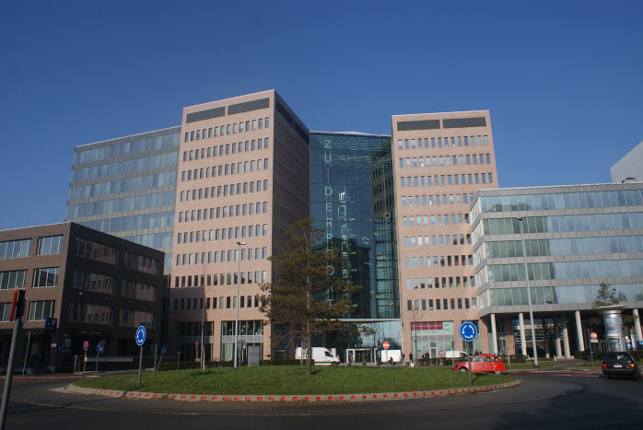 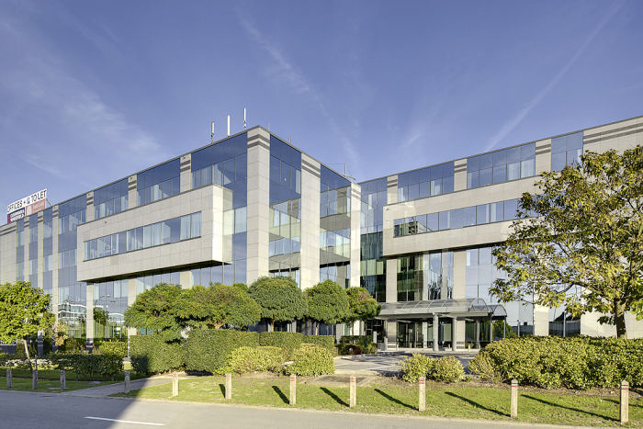 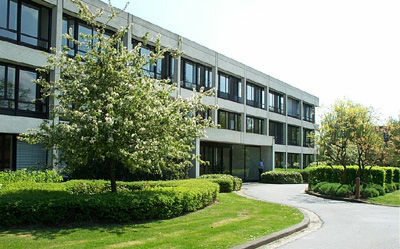 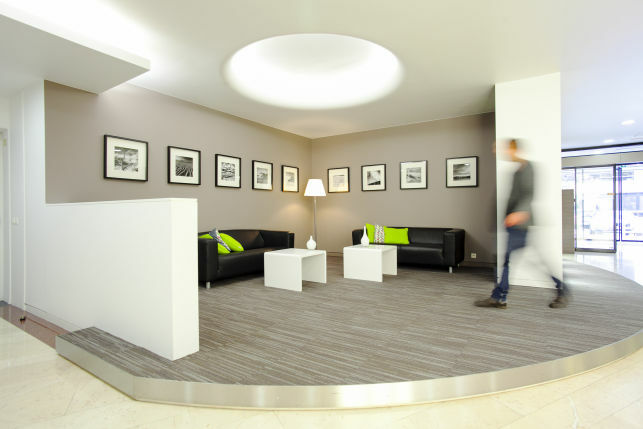 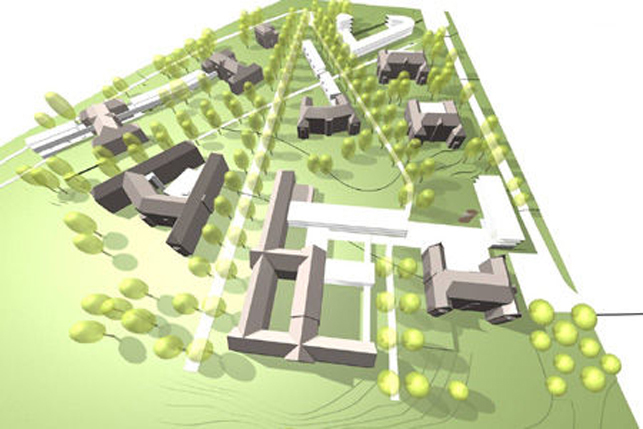 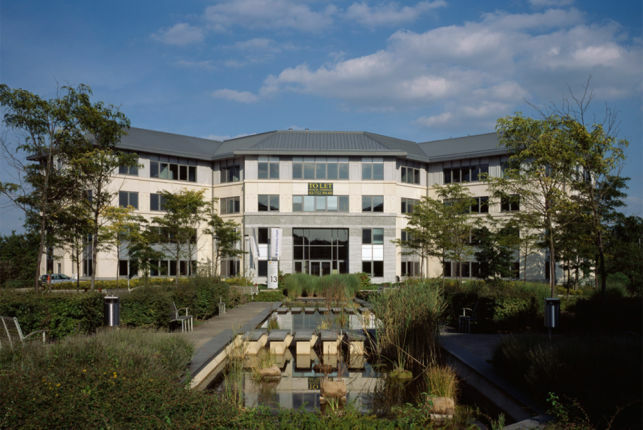 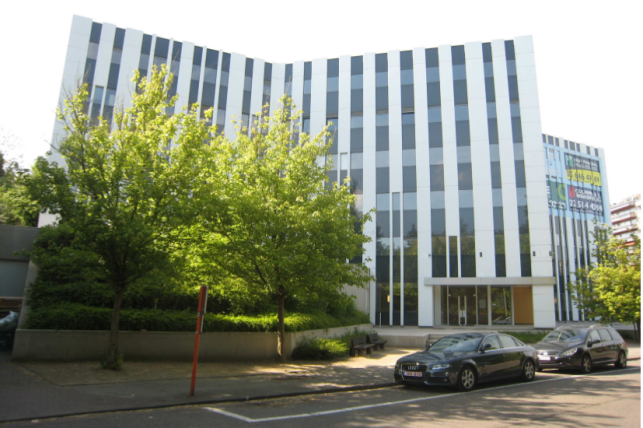 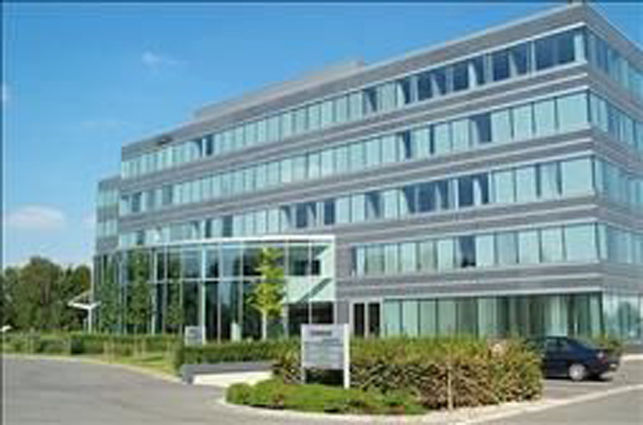 Offices for rent in Green Square Buildings in Diegem near the Brussels international airport. 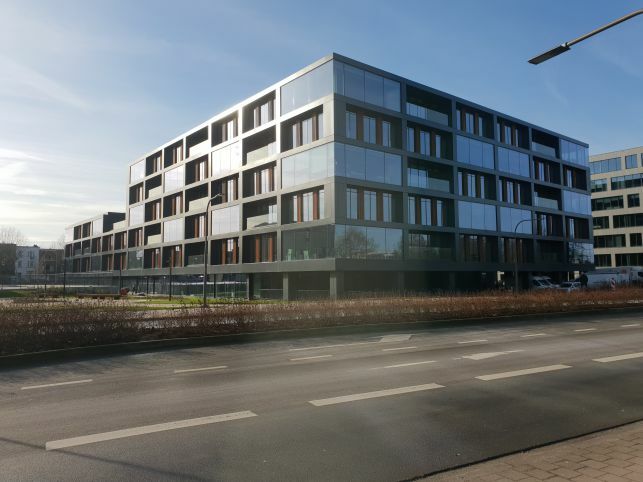 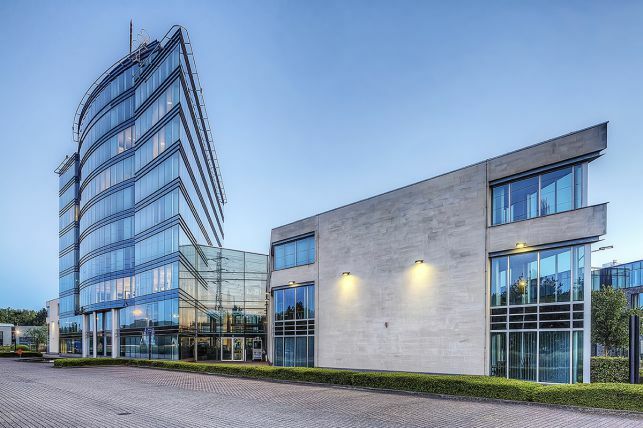 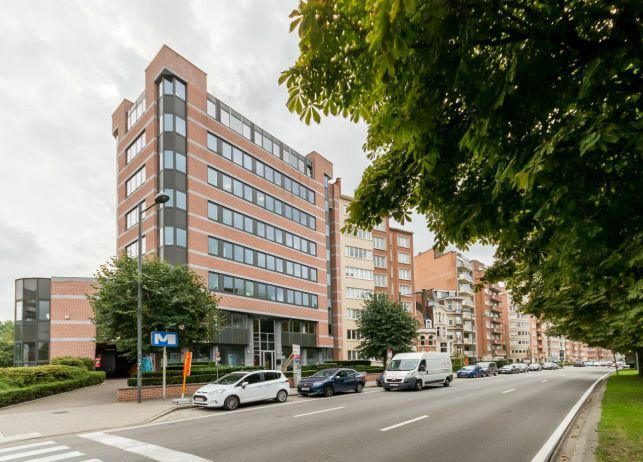 Prime office space for rent in a modern office building near the Brussels ring motorway, the Diegem railway station, NATO and the Brussels international airport. 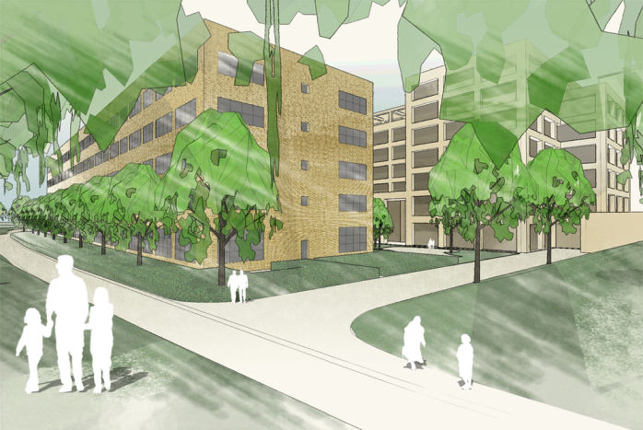 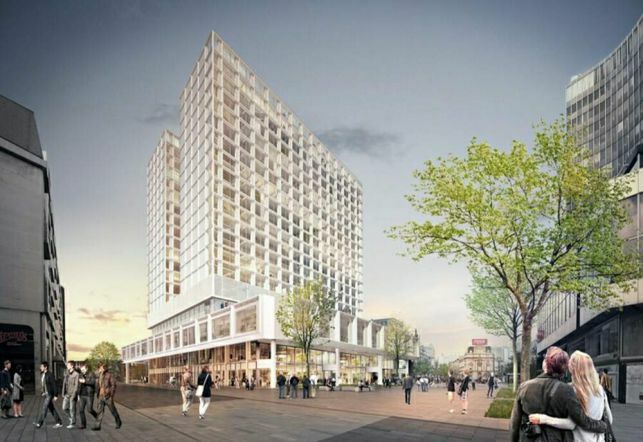 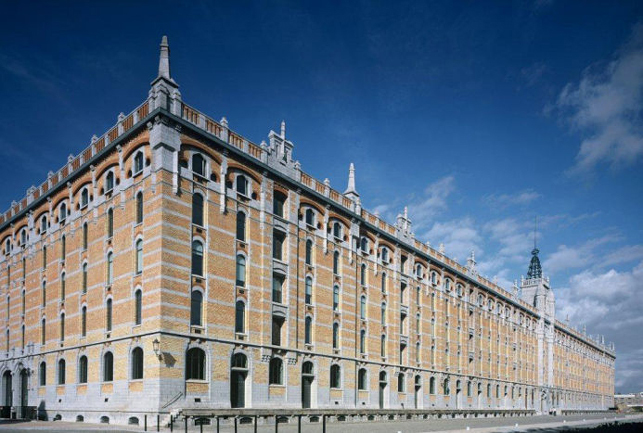 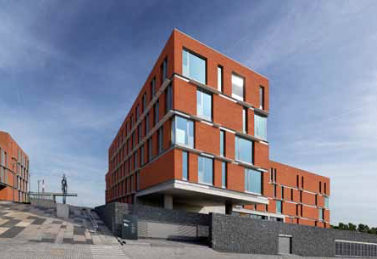 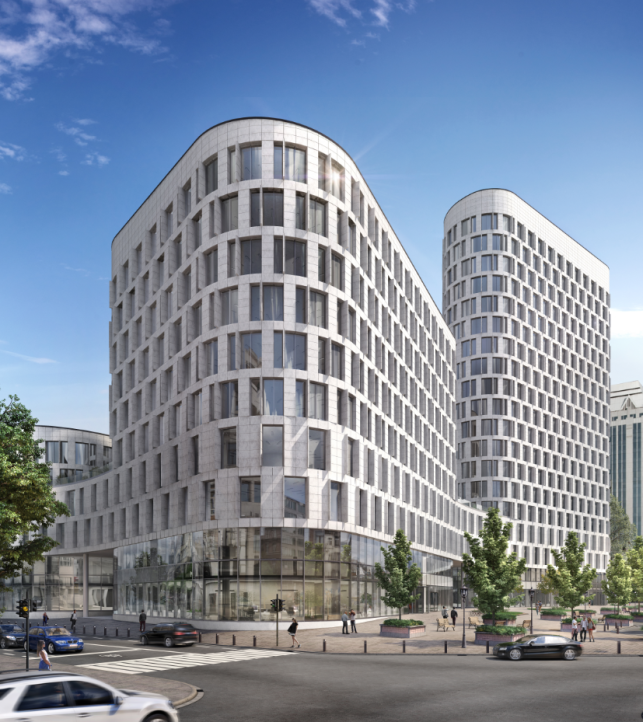 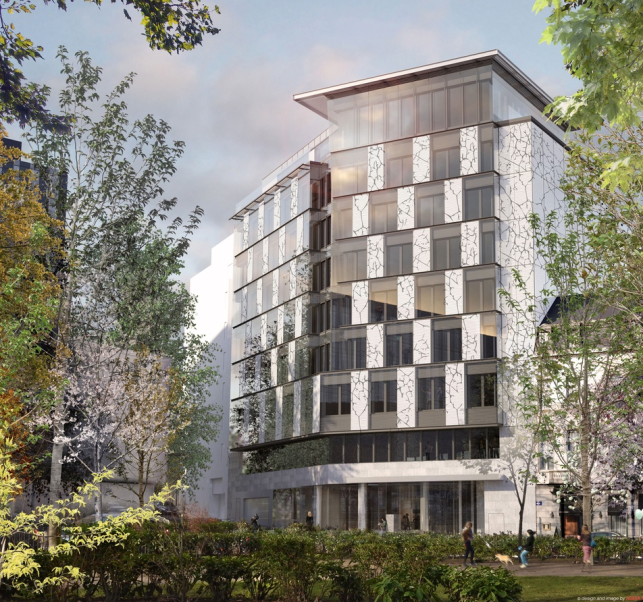 Attractive urban development at the Leuven railway station consisting with attractive buildings with offices to lease. 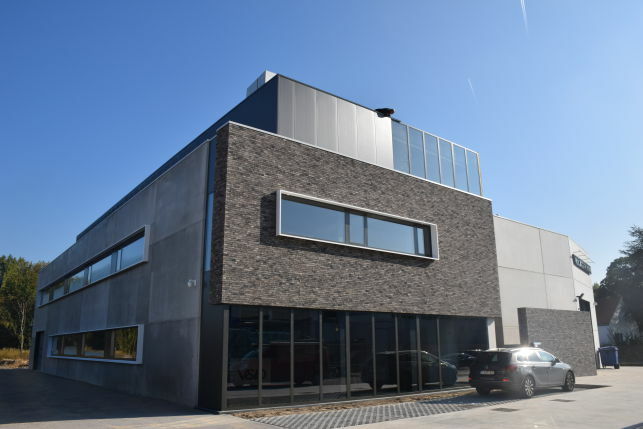 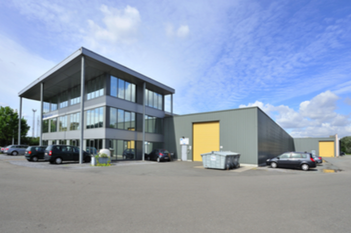 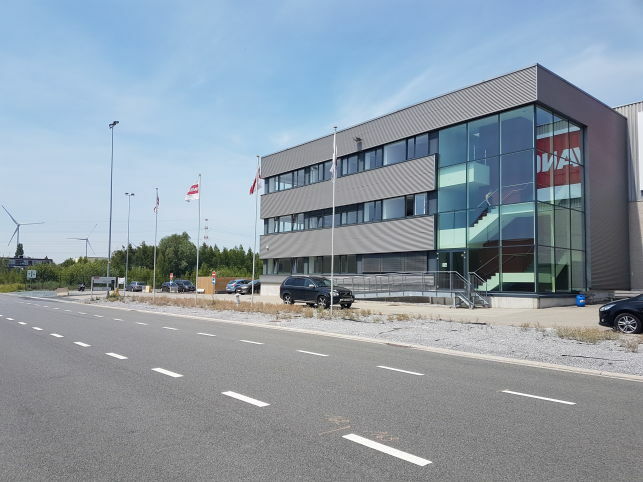 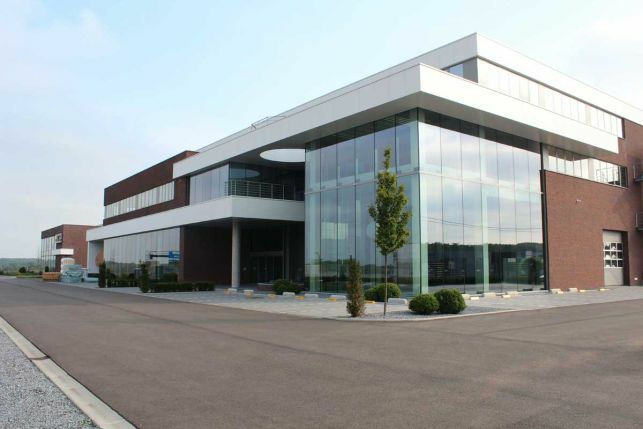 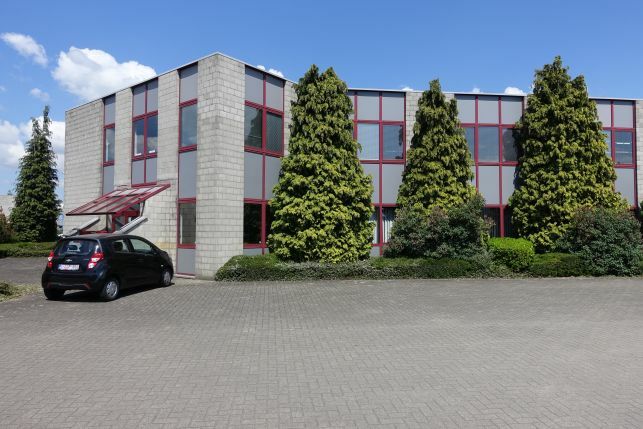 Office space to lease in a industrial complex located in Wilrijk with fast connection to the Port of Antwerp. 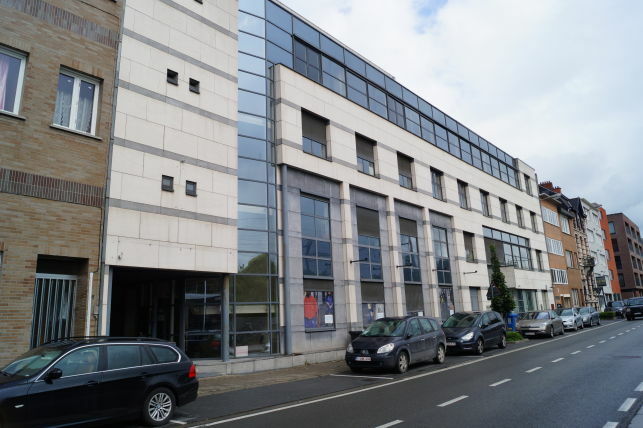 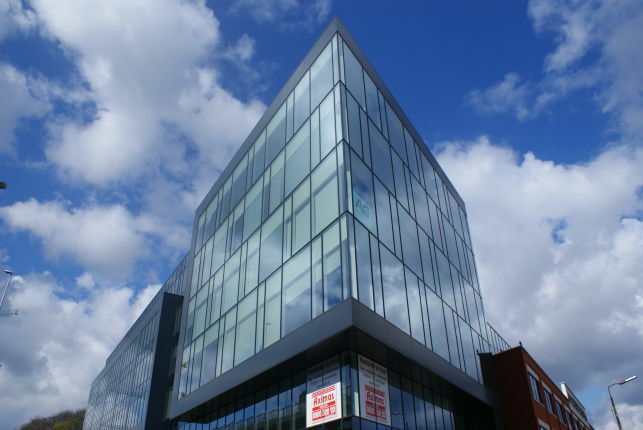 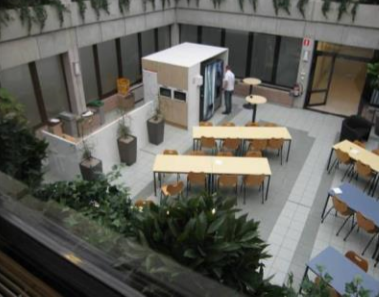 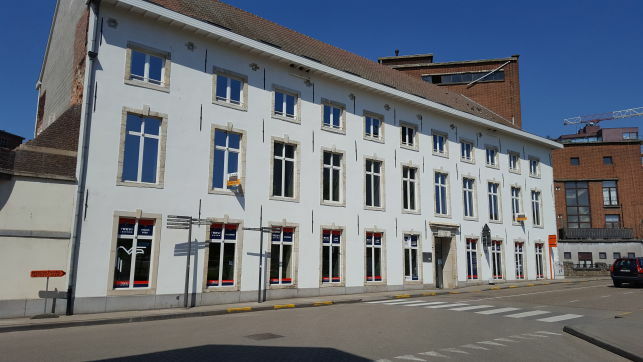 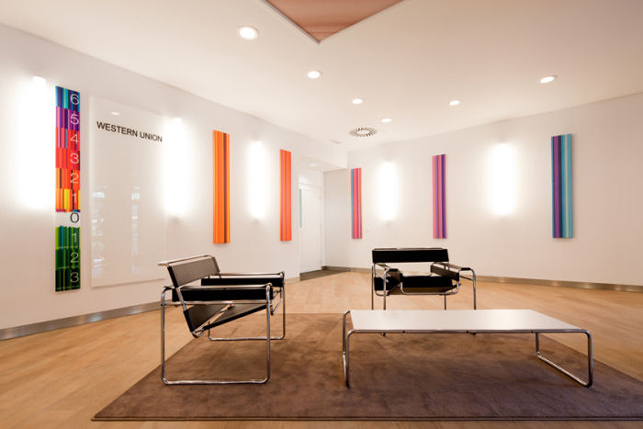 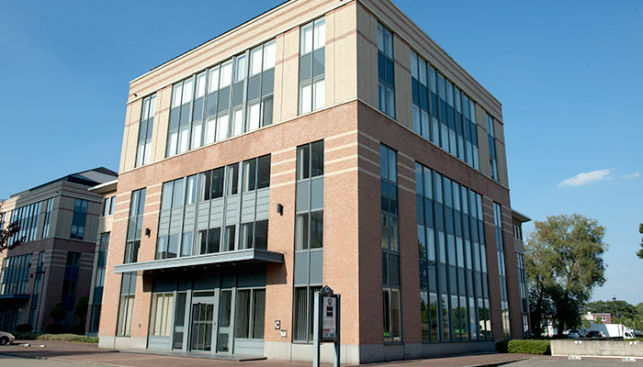 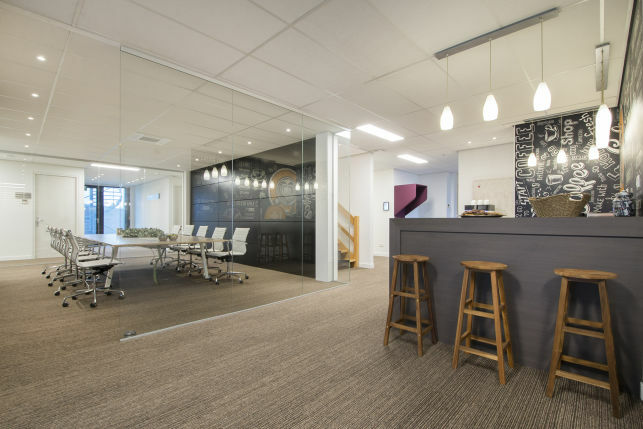 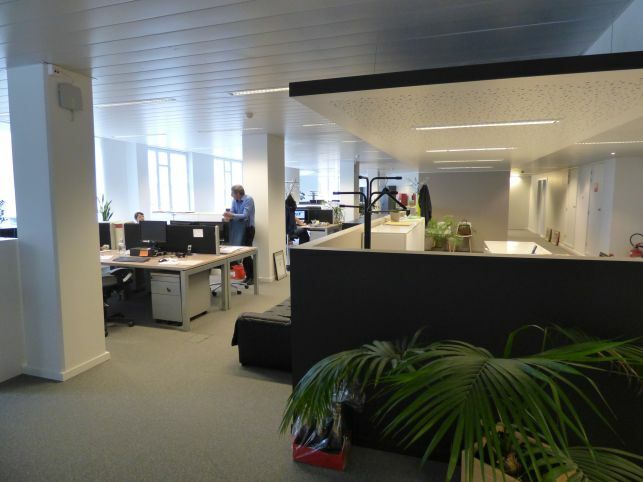 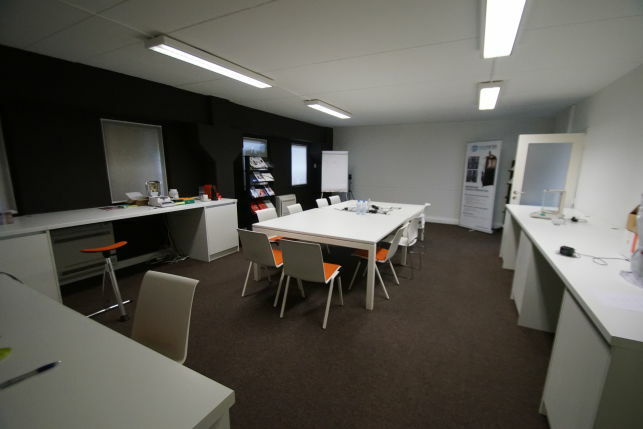 Fully-fitted office space for rent in business centre in Kortrijk. 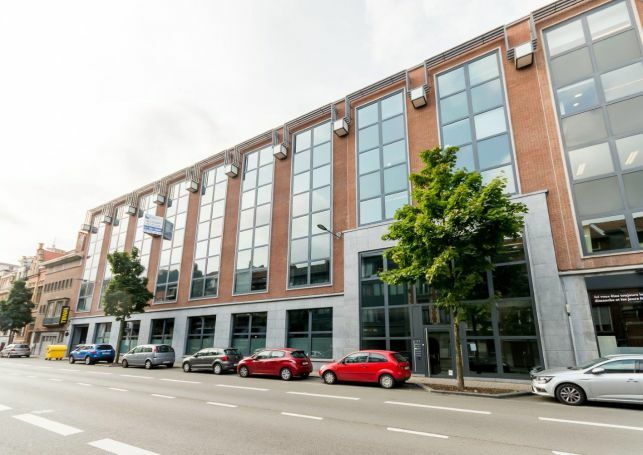 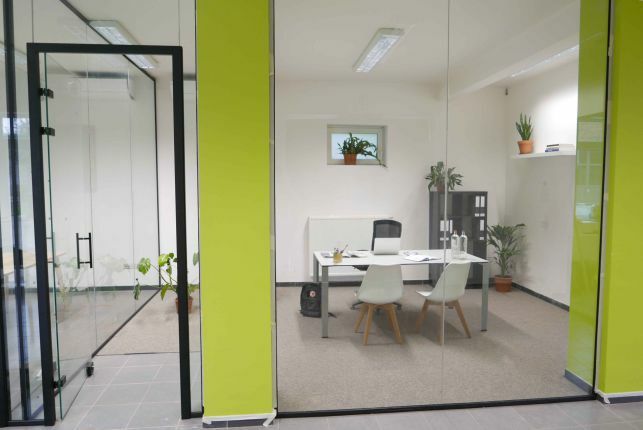 Office space for rent from 20 m² to 350 m² in Ubicenter near the Leuven railway station with shared facilities, meeting room & reception lounge. 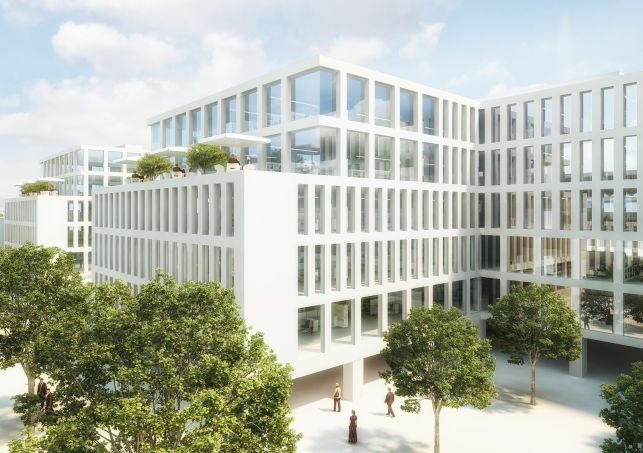 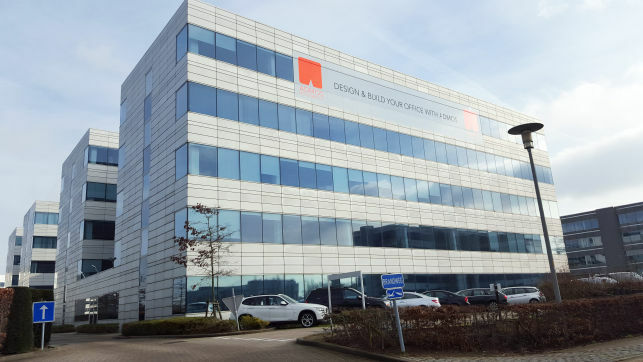 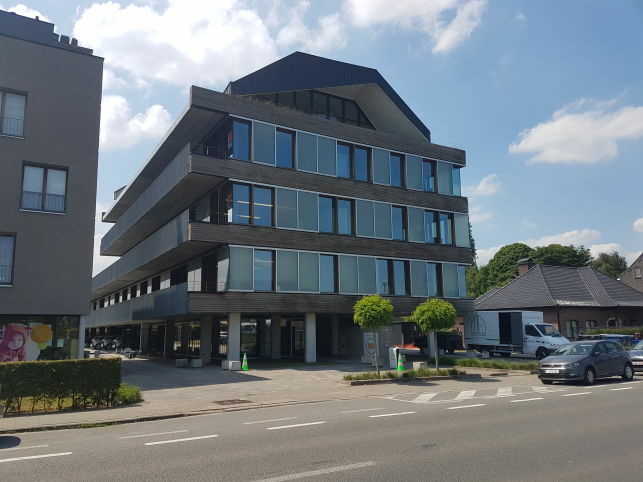 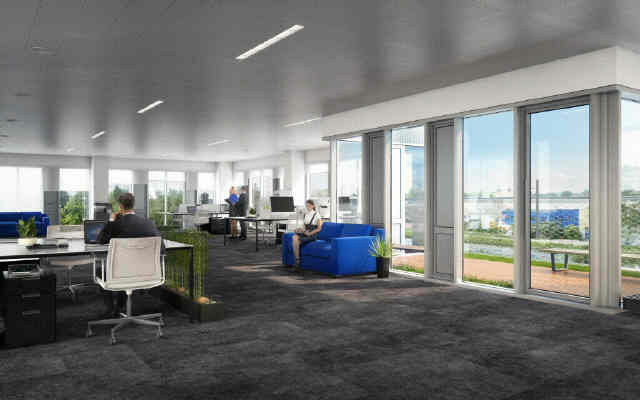 Fully-fitted offices to lease in the Meetdistrict business centre on a strategic location alongside the Antwerp ring road, close to the Berchem railway station. 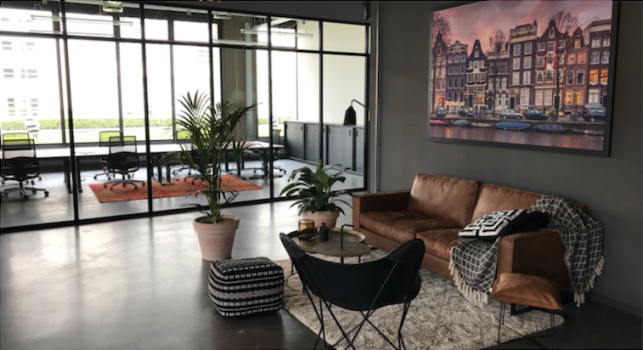 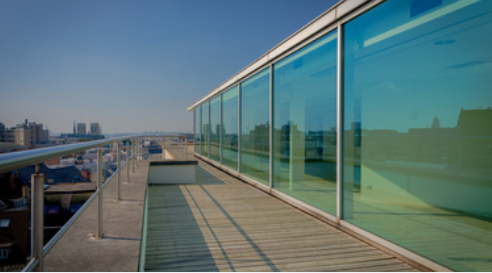 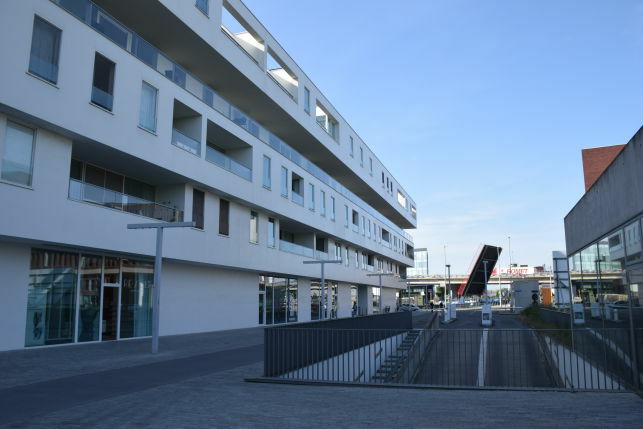 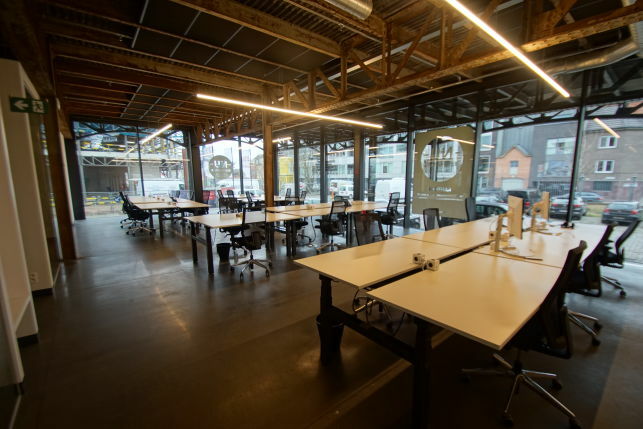 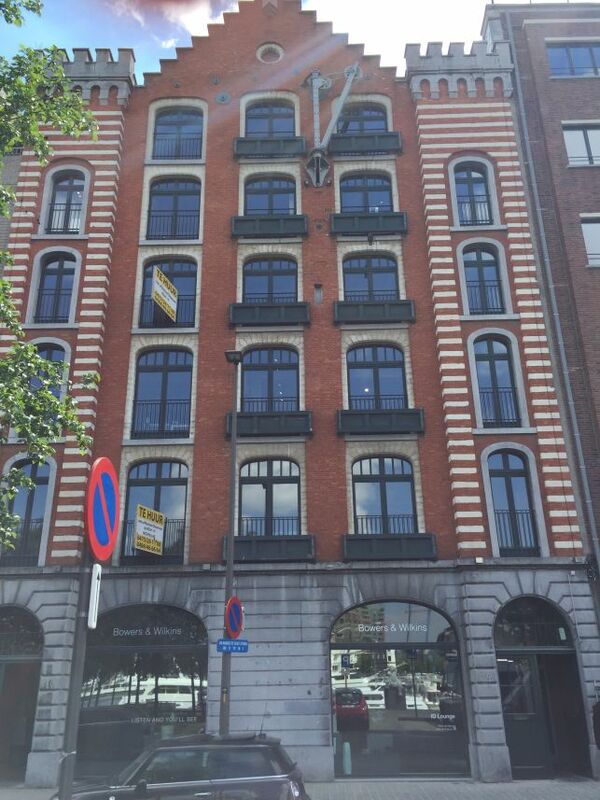 400 m² to 1460 m² beautifully renovated loft offices to lease near the MAS museum with a view over the Antwerp marina. 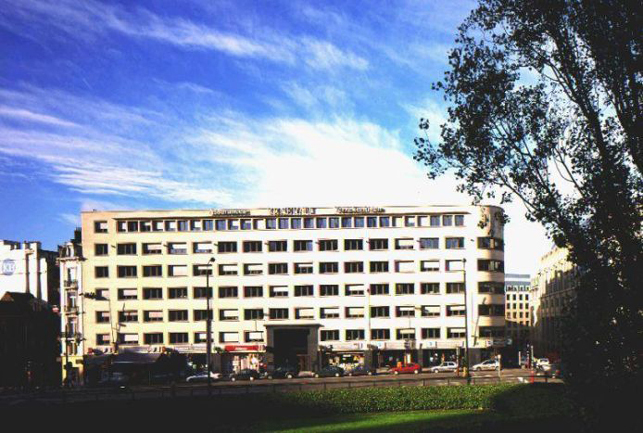 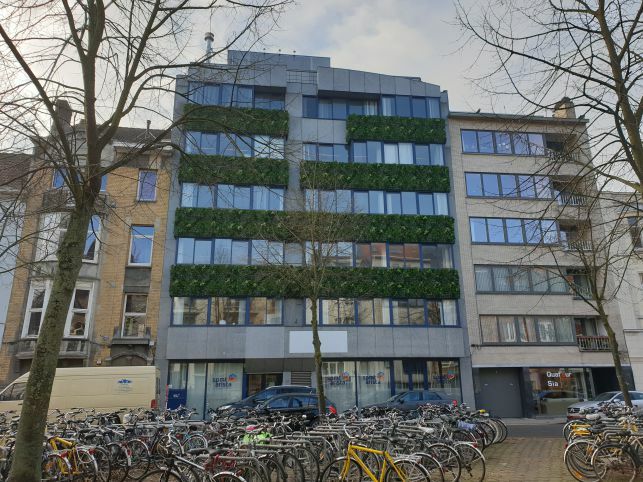 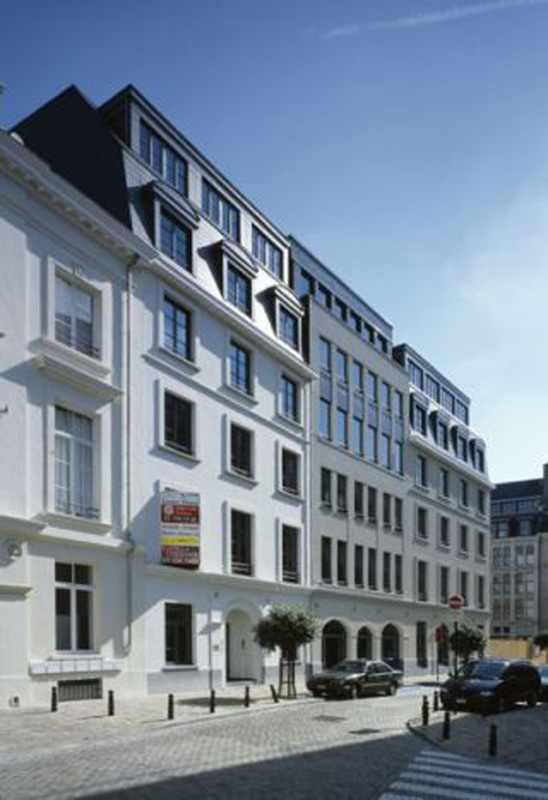 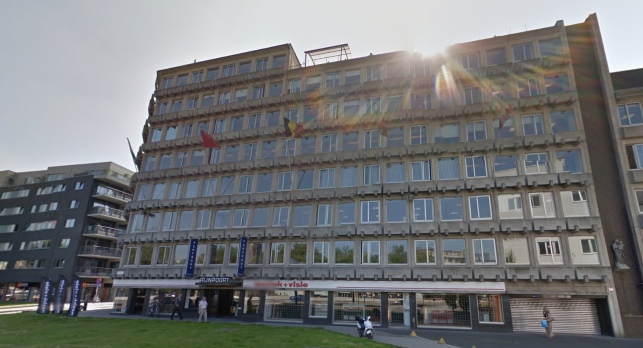 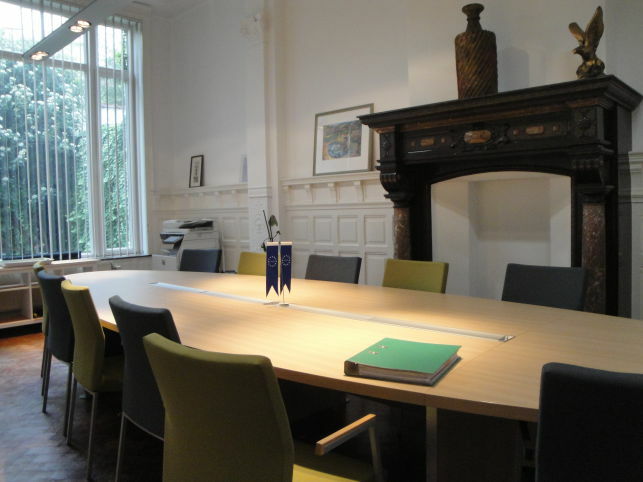 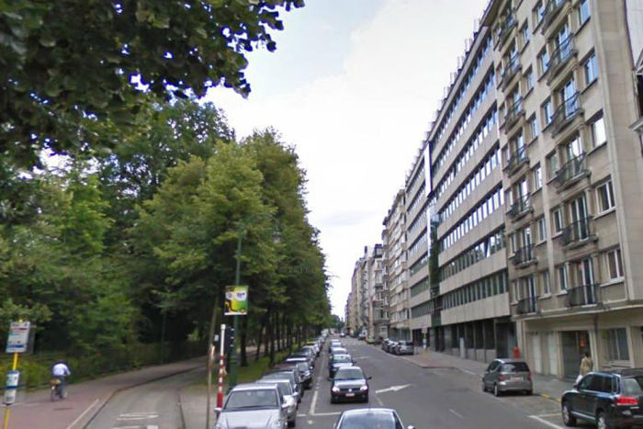 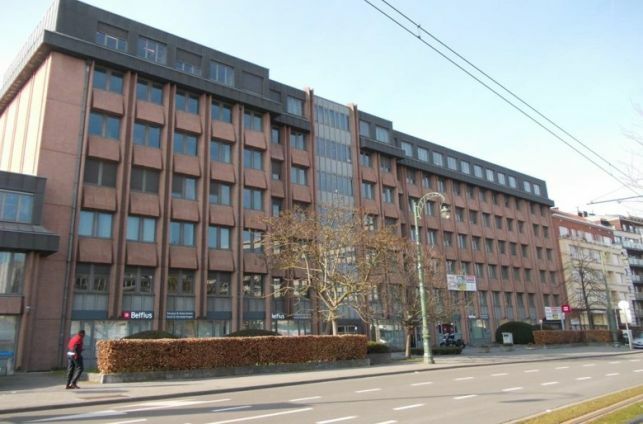 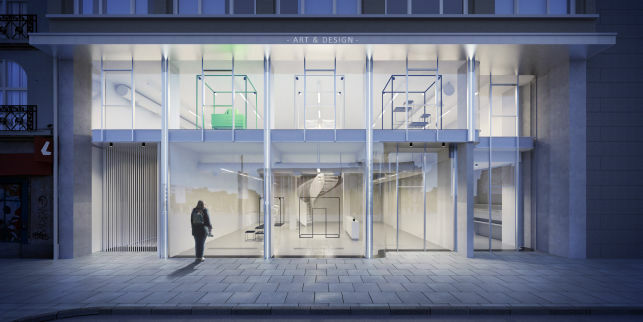 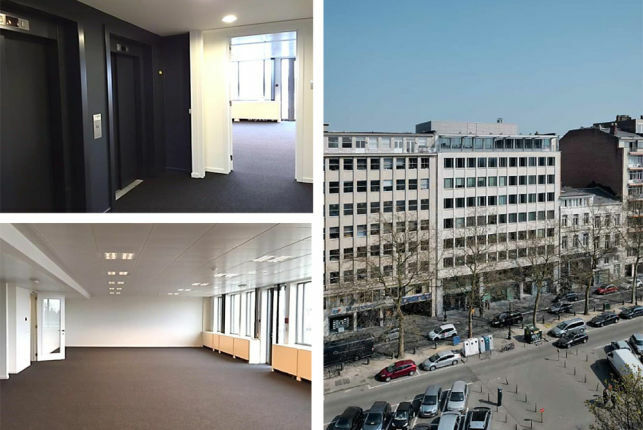 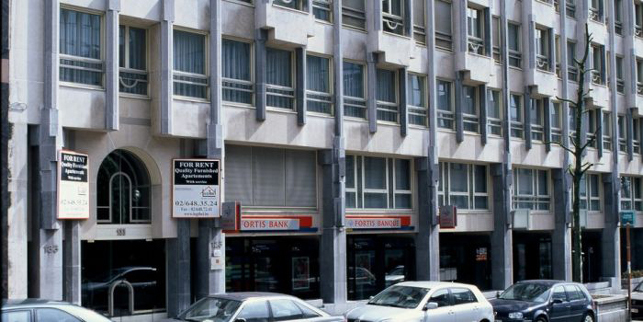 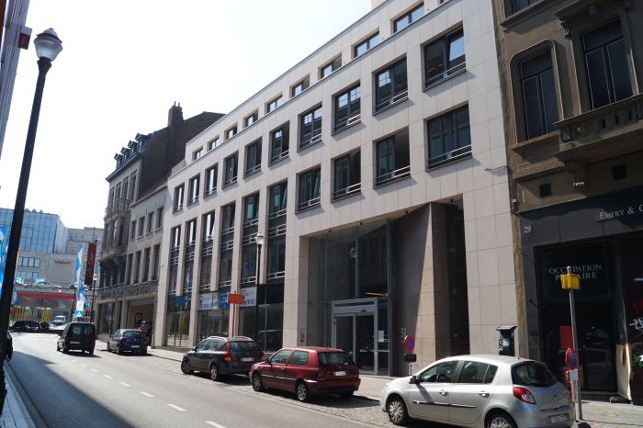 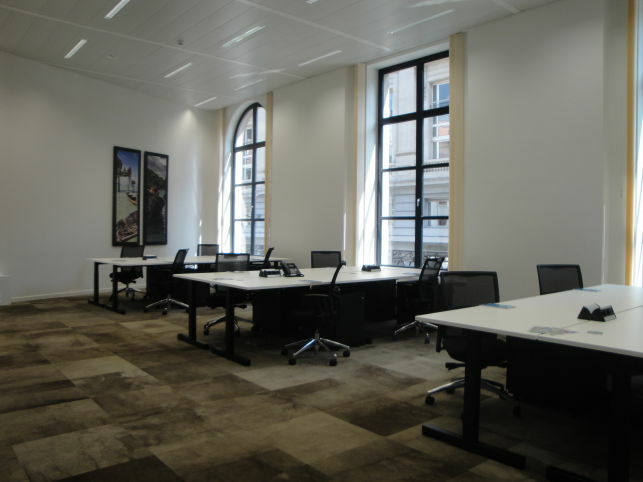 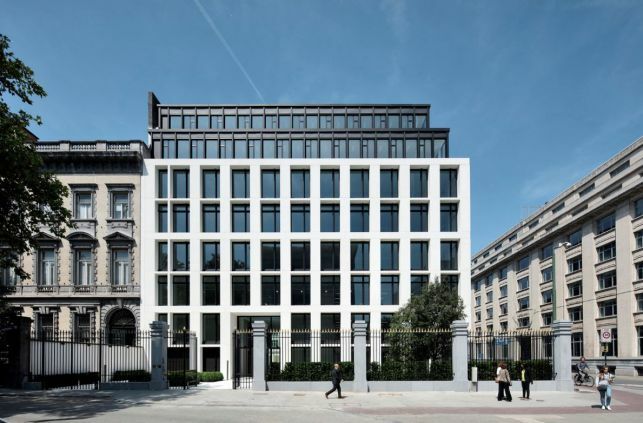 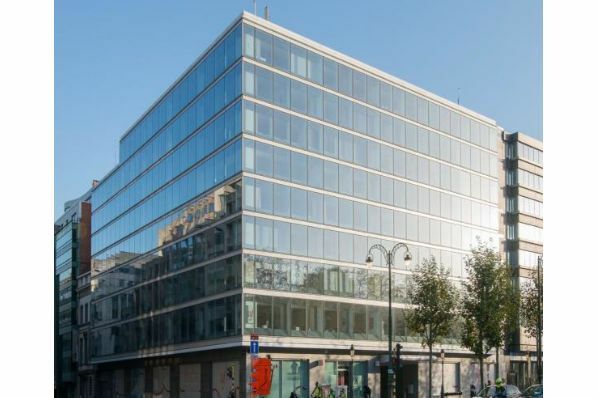 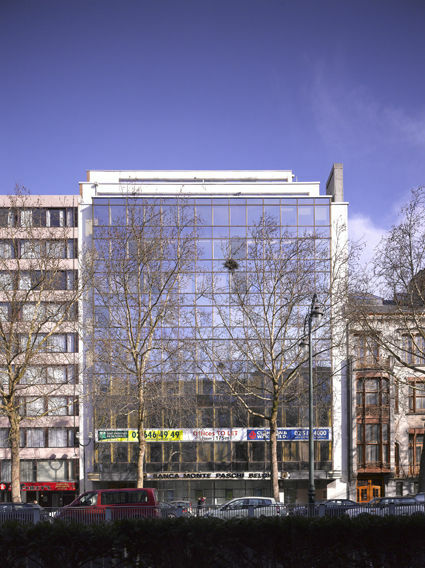 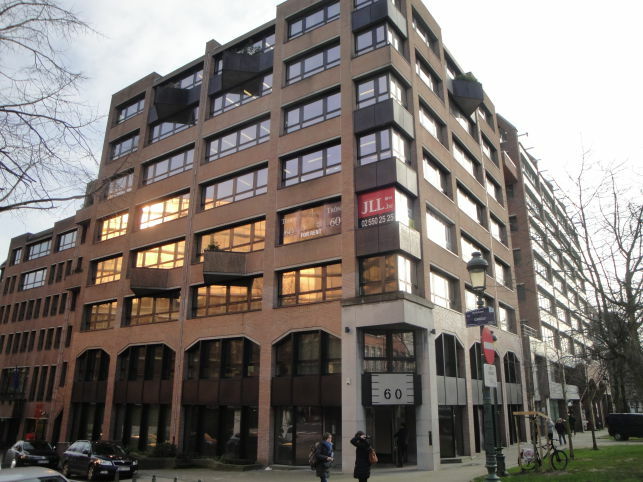 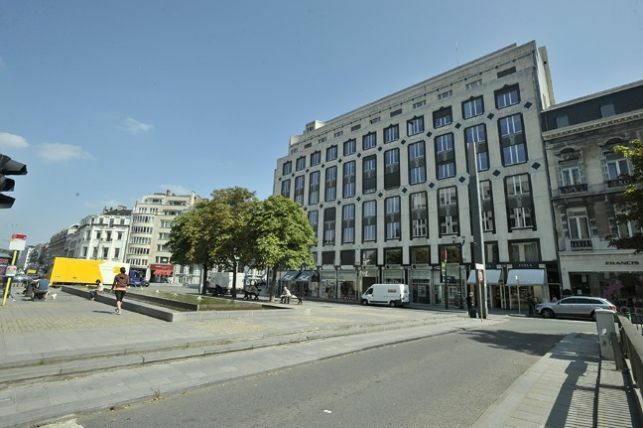 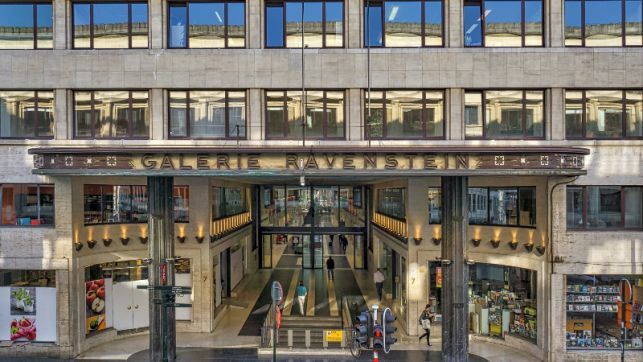 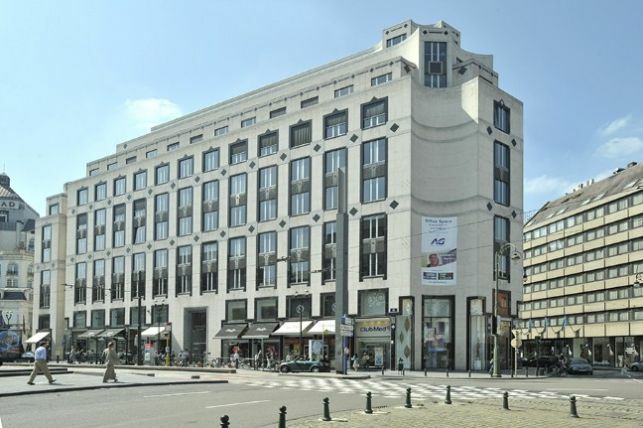 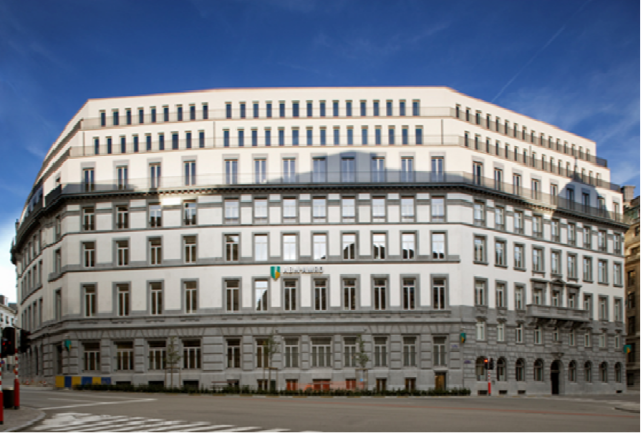 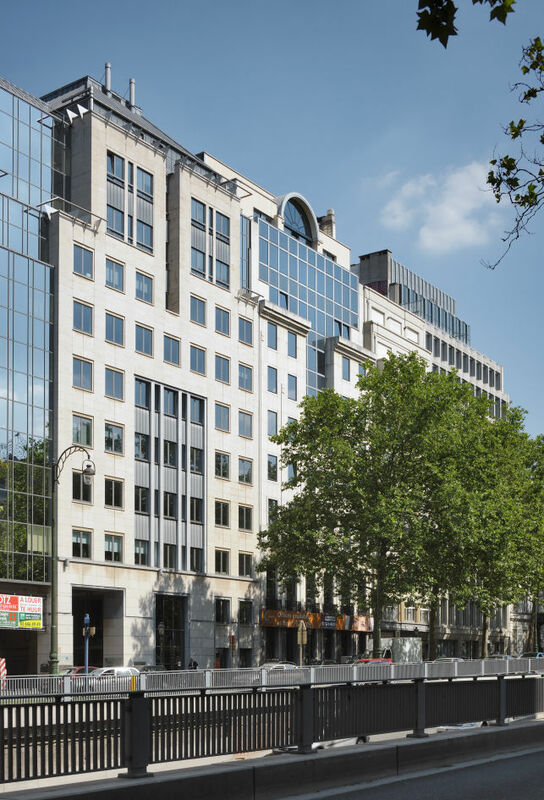 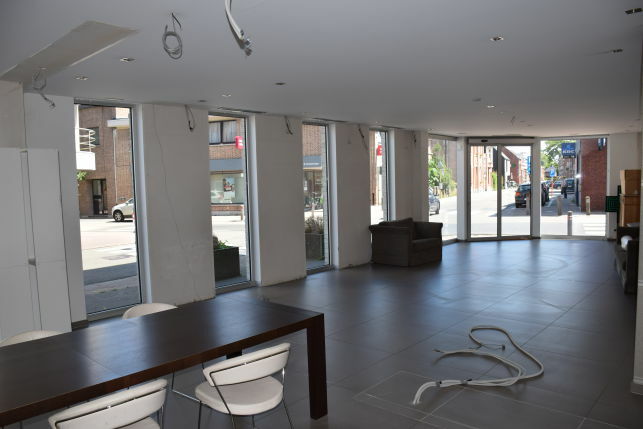 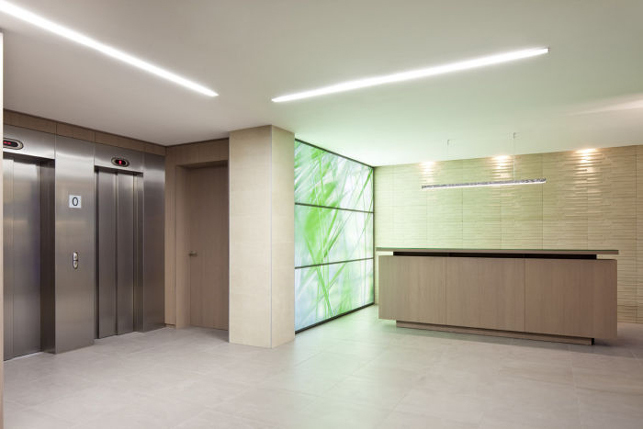 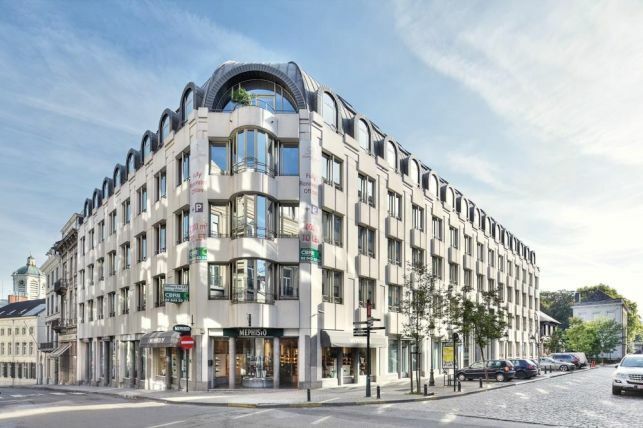 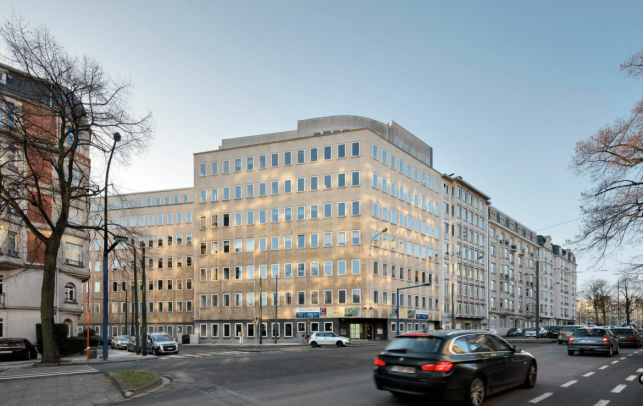 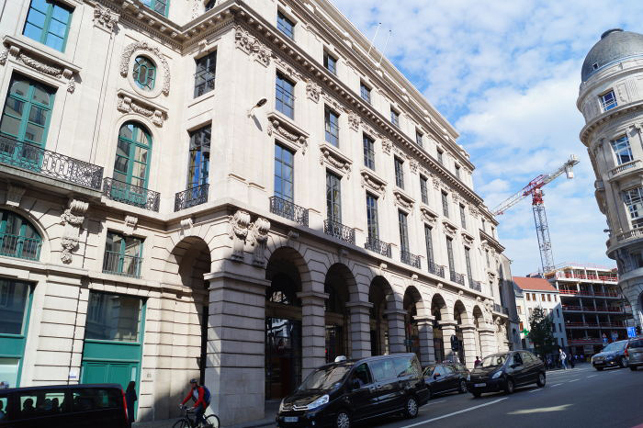 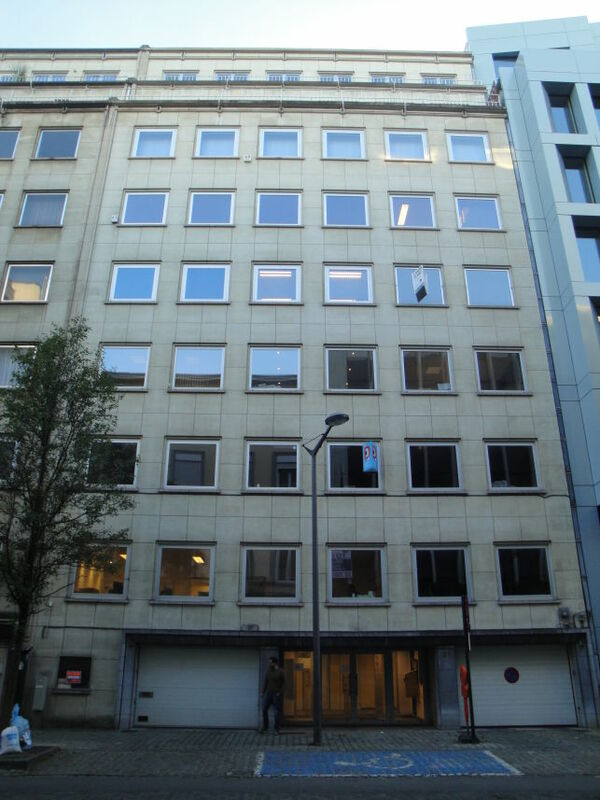 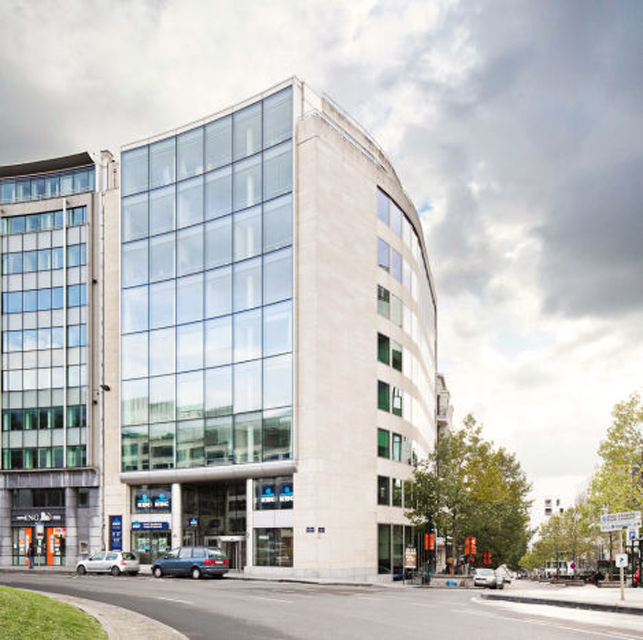 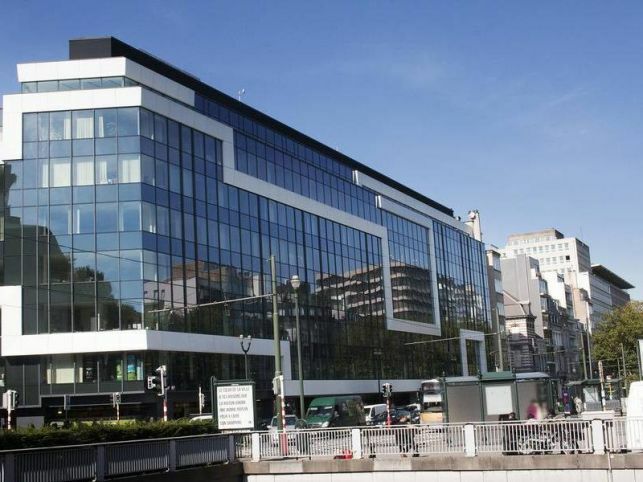 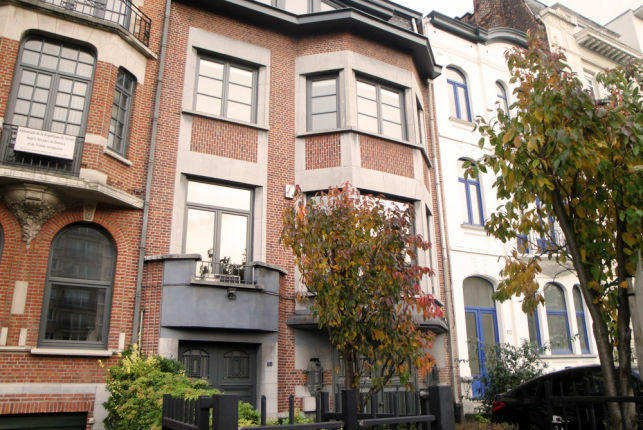 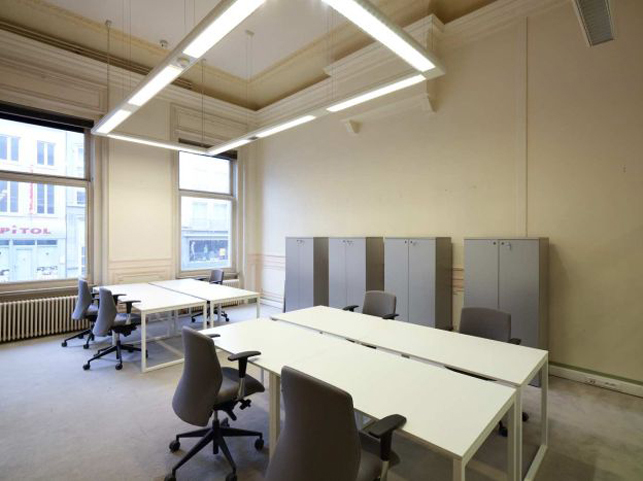 110 m² to 1028 m² fully renovated office space to lease in the Antwerp city-centre. 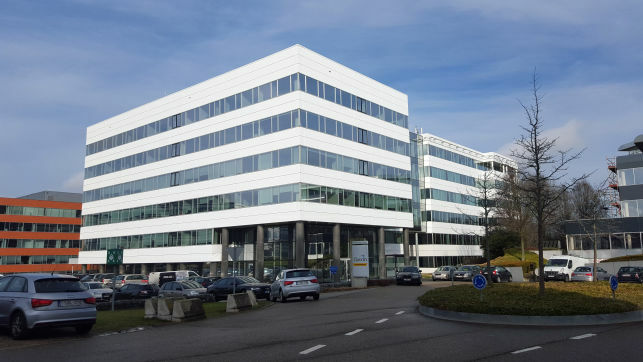 Offices with polyvalent storage or showrooms to lease near IKEA alongside the E40 near the Brussels airport in Nossegem Zaventem. 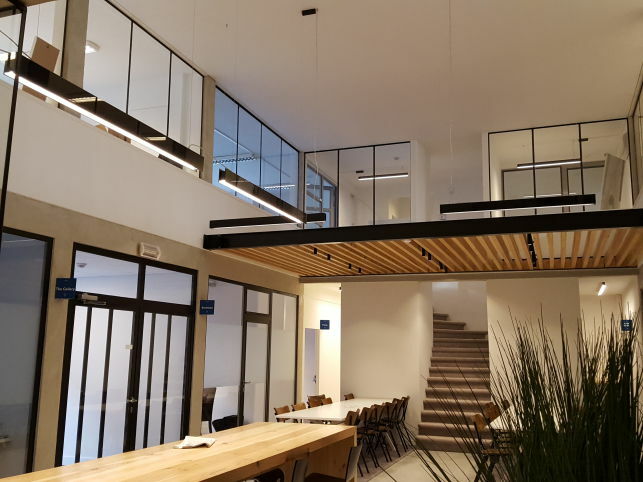 Spectacular 722 m² penthouse loft offices to let on Campus Remy in Wijgmaal near Leuven, possibility to combine with living. 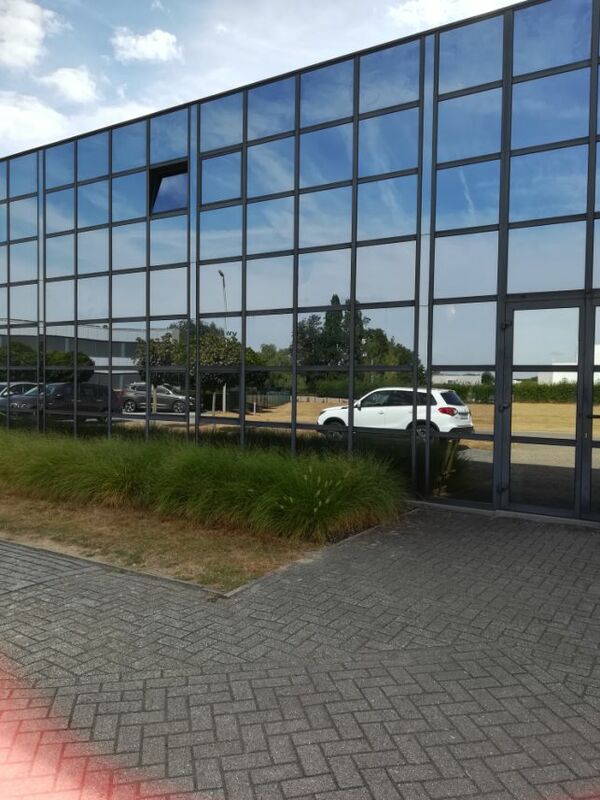 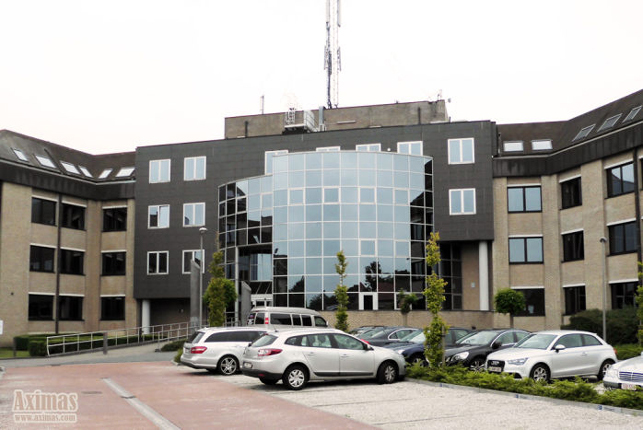 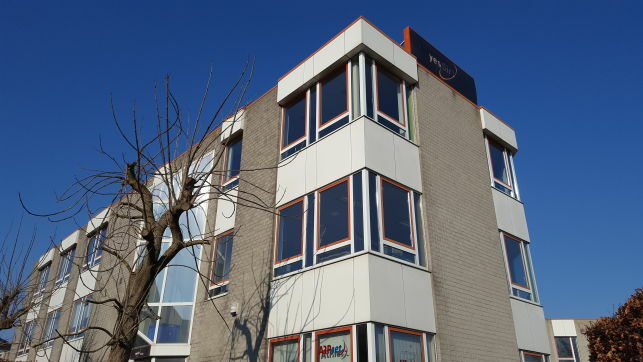 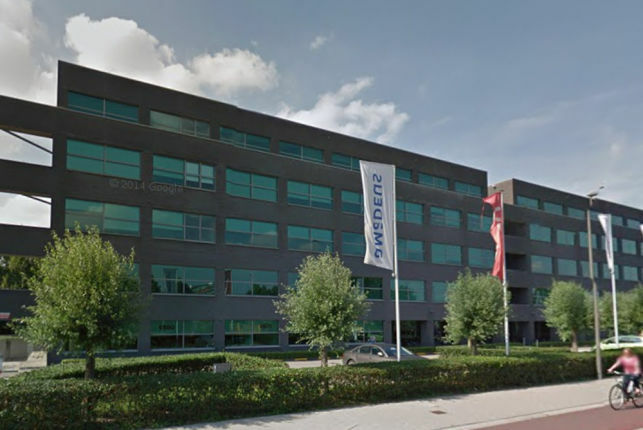 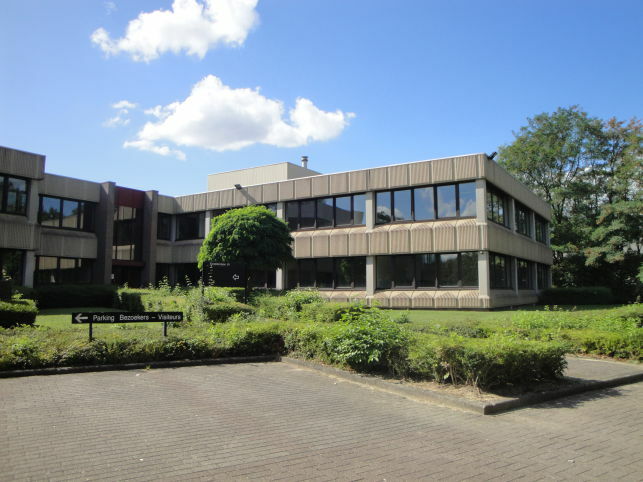 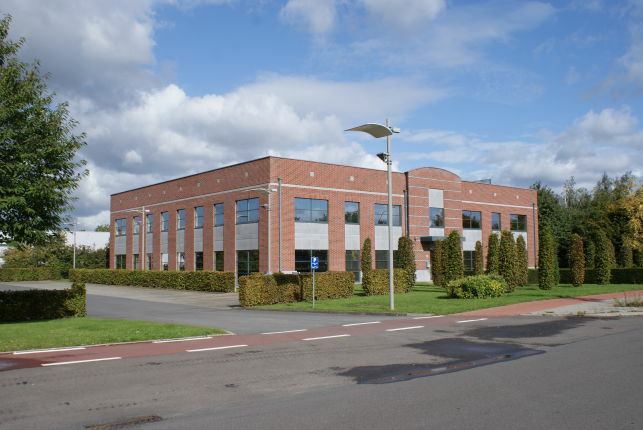 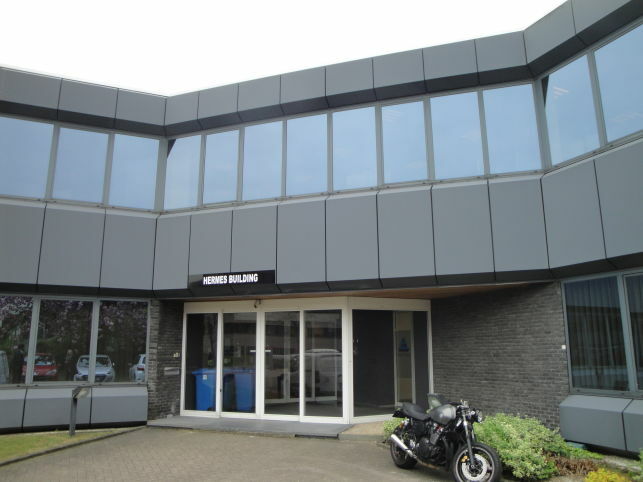 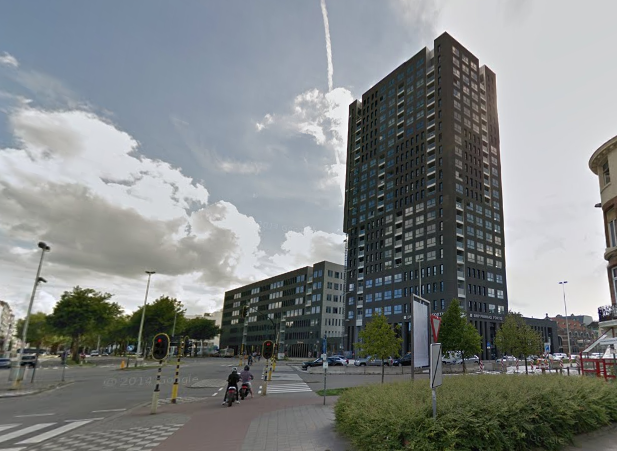 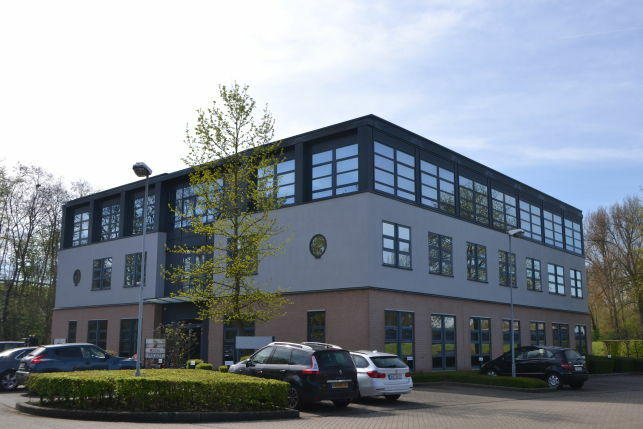 Office space for rent in Zwijndrecht near the Port of Antwerp. 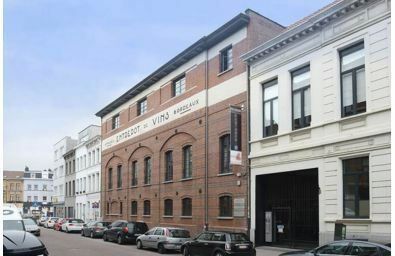 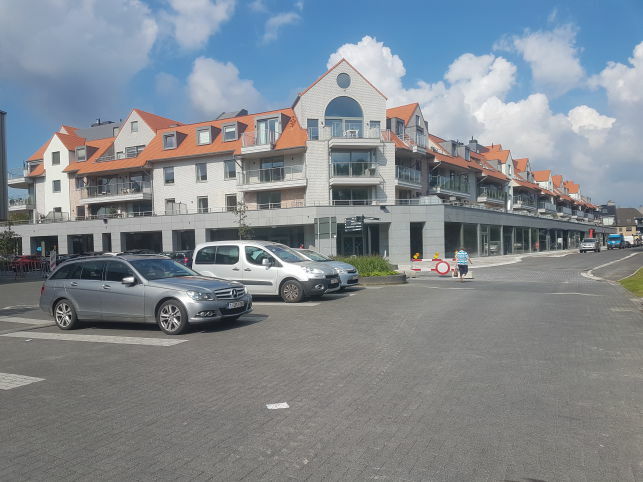 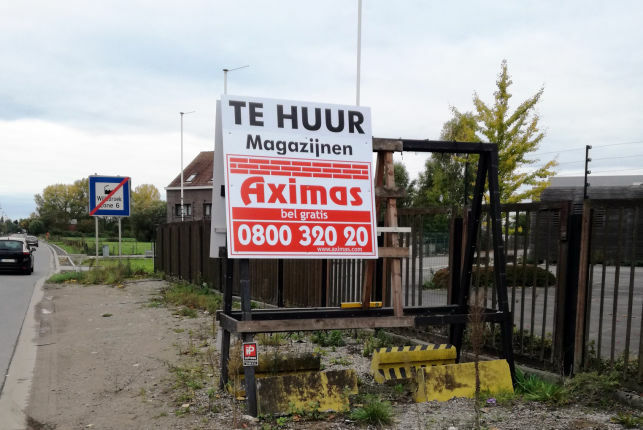 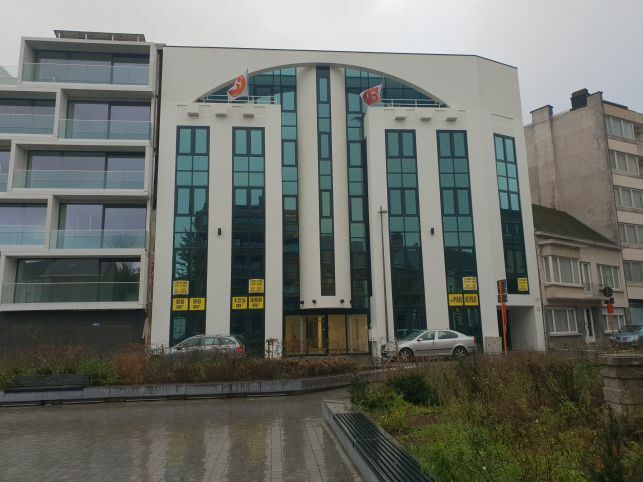 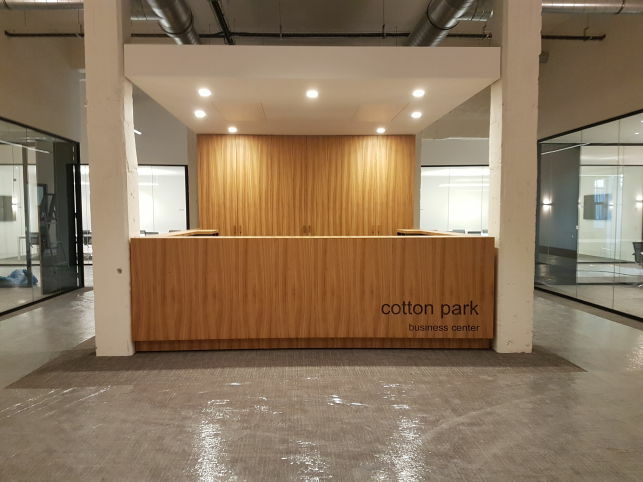 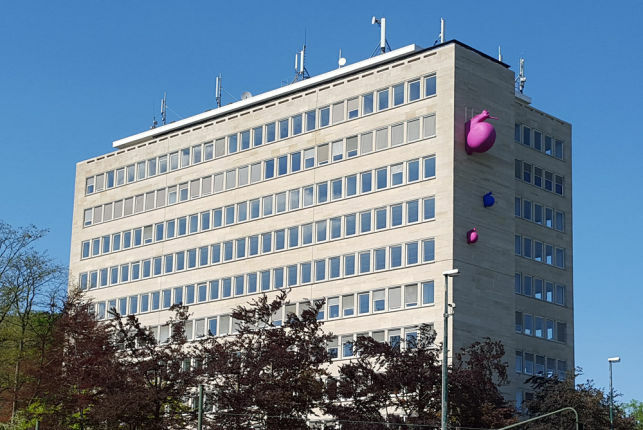 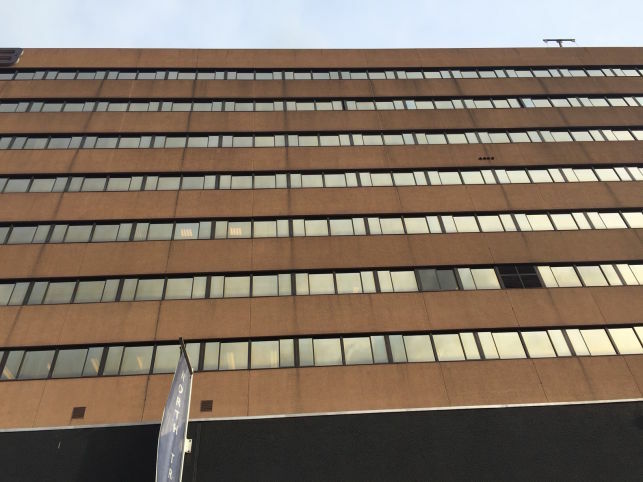 560 m² to 2.000 m² offices to let in an unique property on accessible & trendy prime location near Antwerp Courthouse, the South Quarter & the ring motorway. 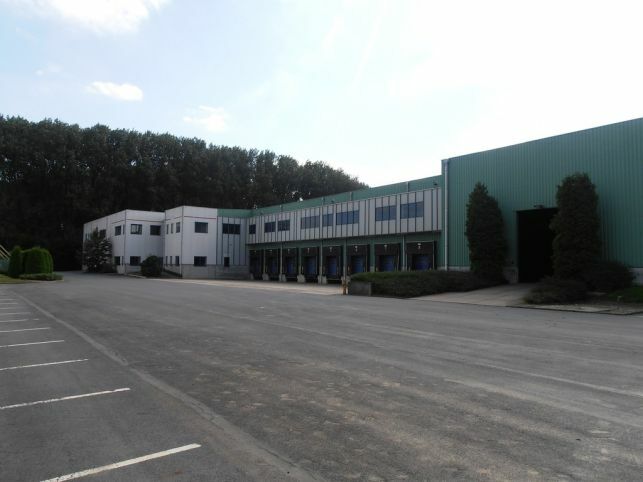 1200 m² divisible offices & 150 m² polyvalent warehouse to let in De Vunt Business Park in Holsbeek near Leuven. 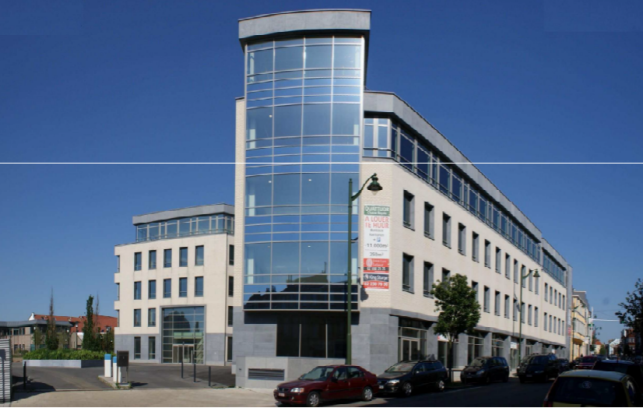 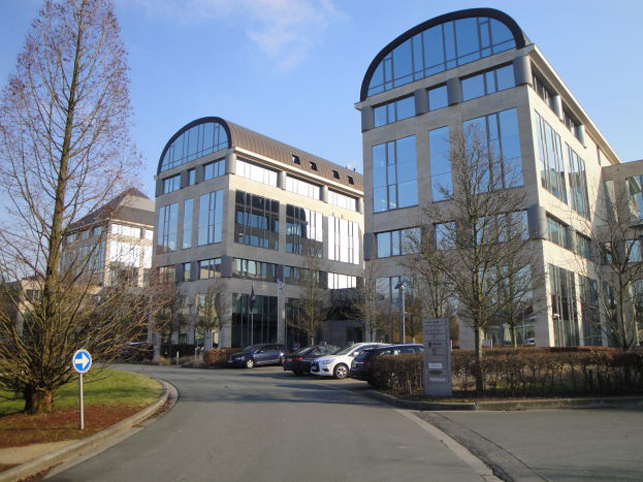 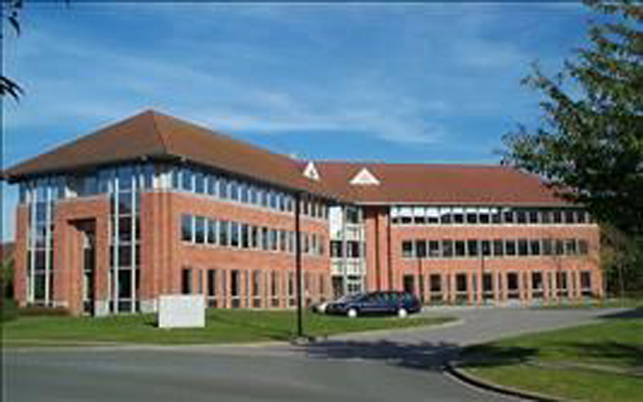 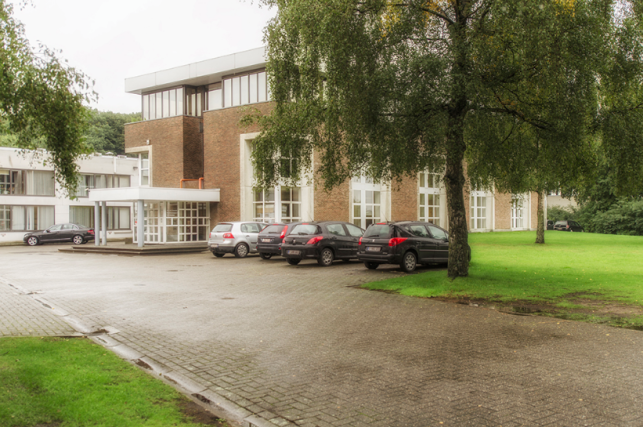 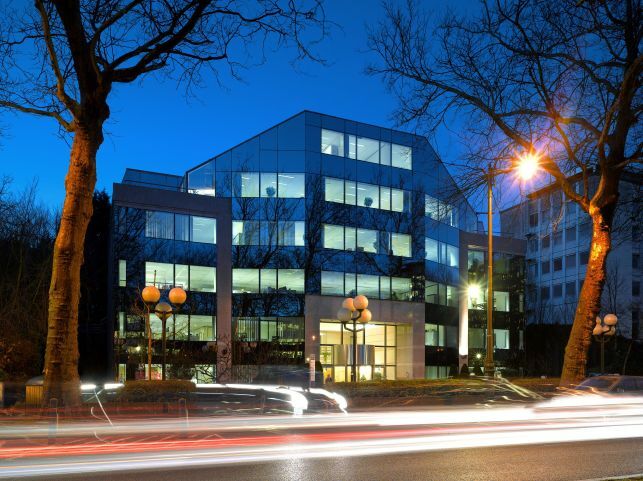 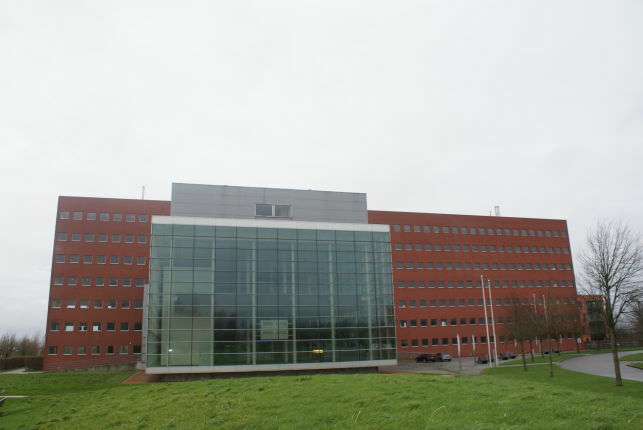 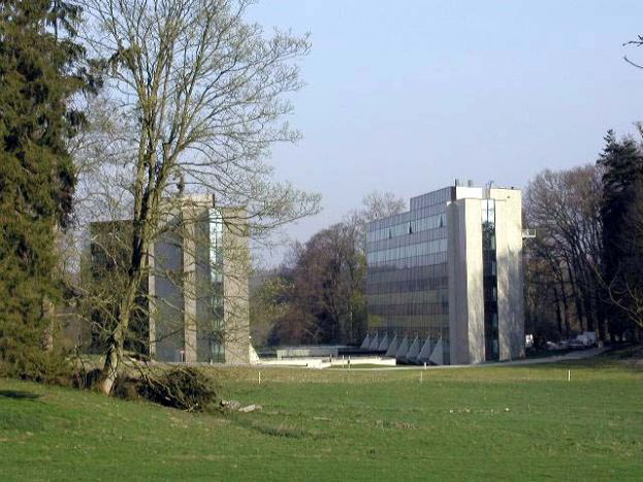 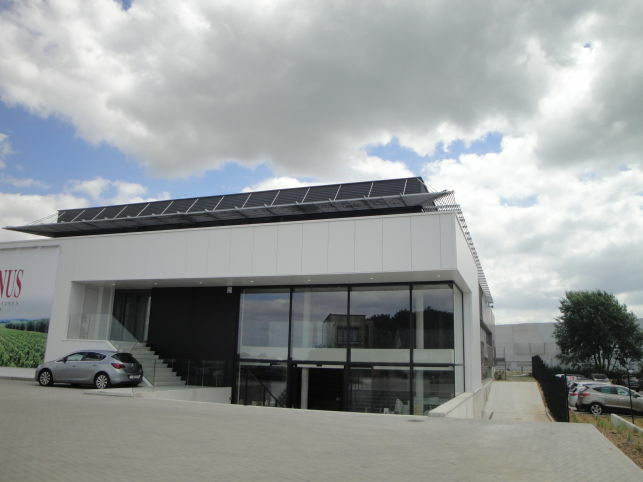 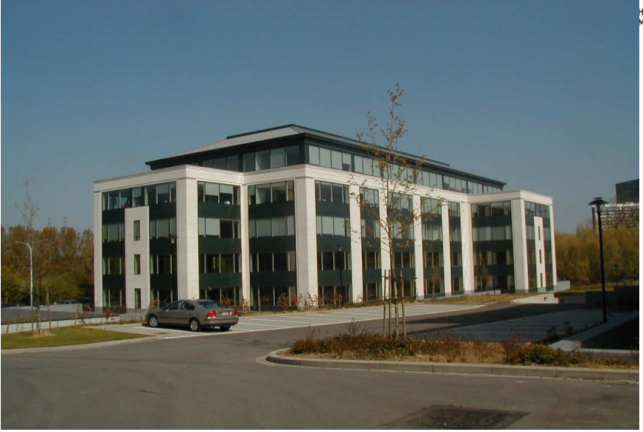 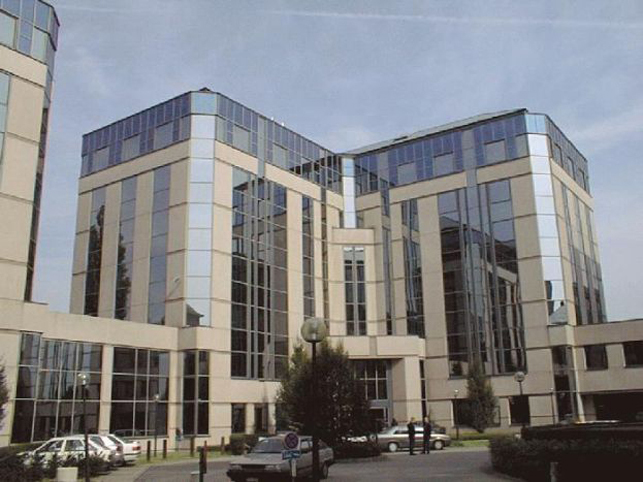 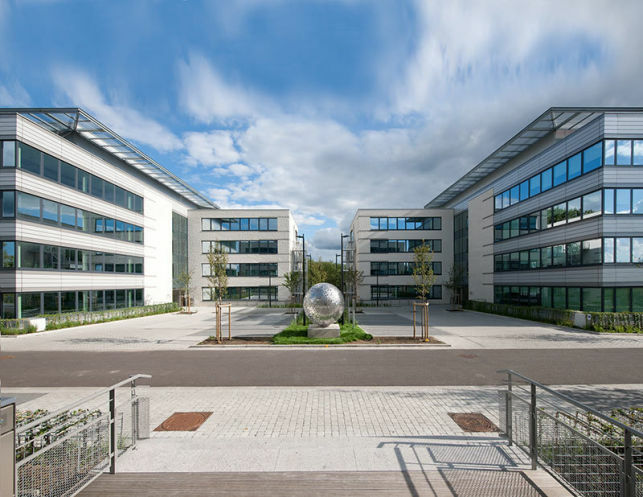 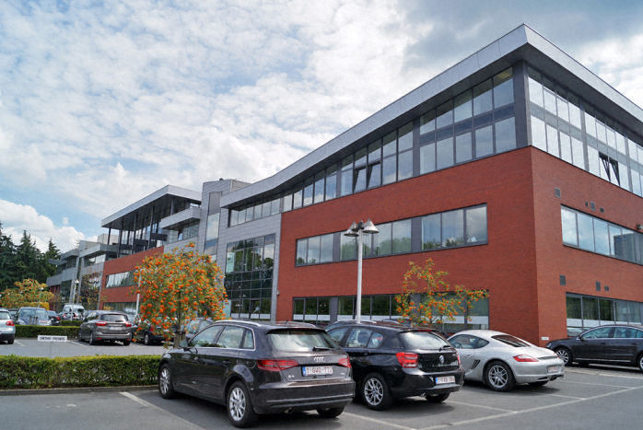 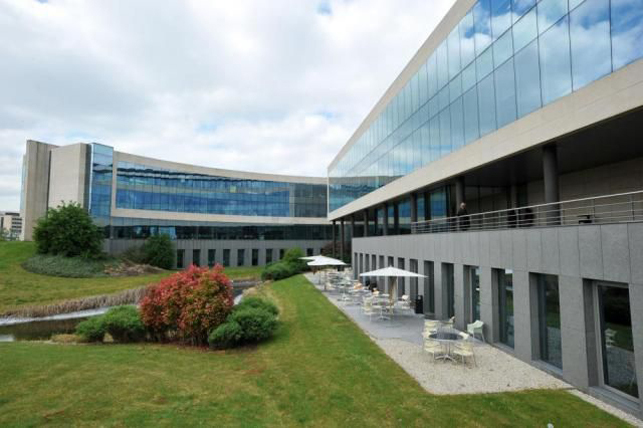 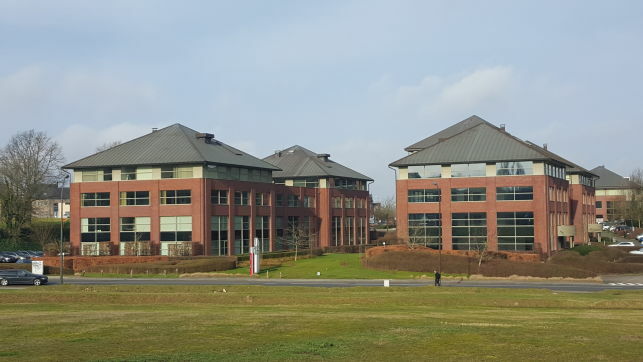 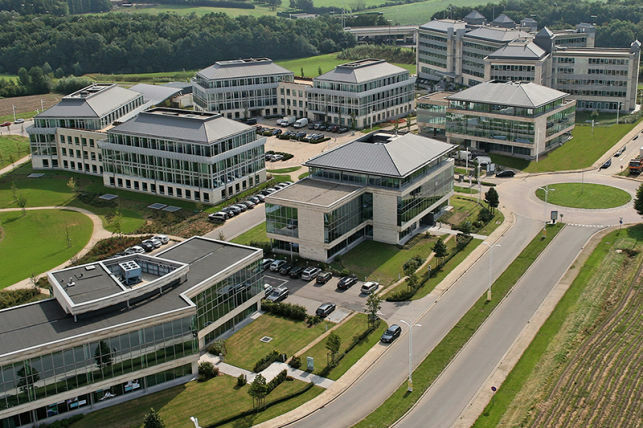 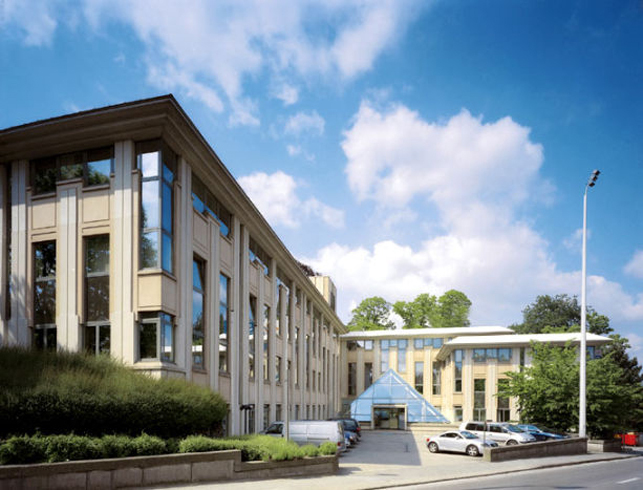 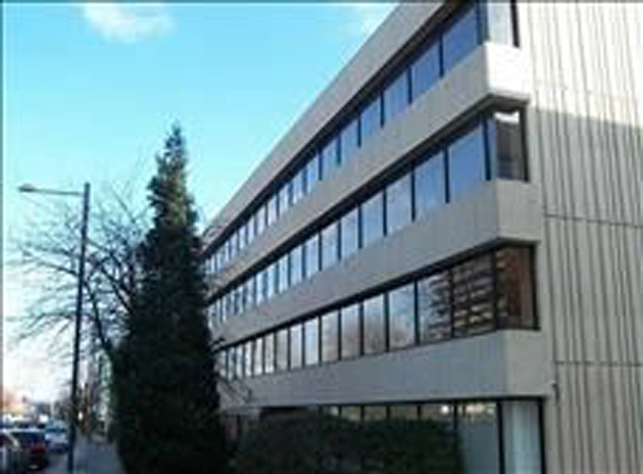 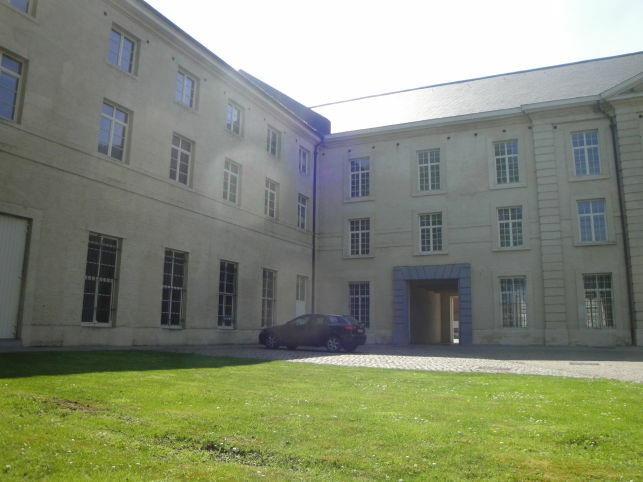 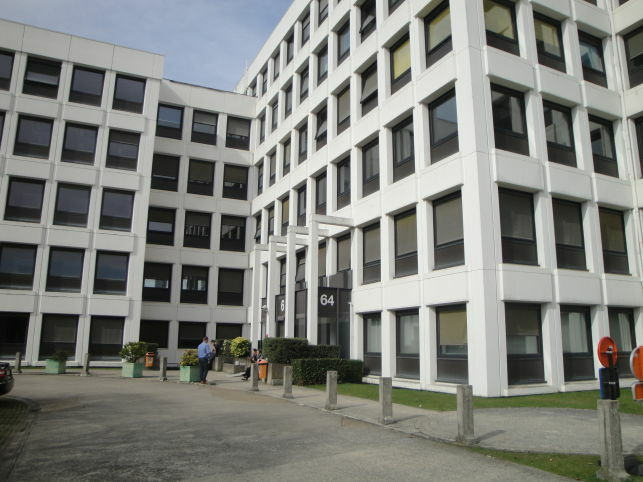 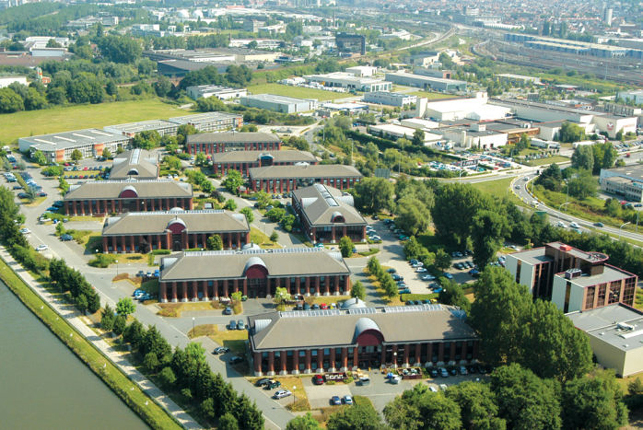 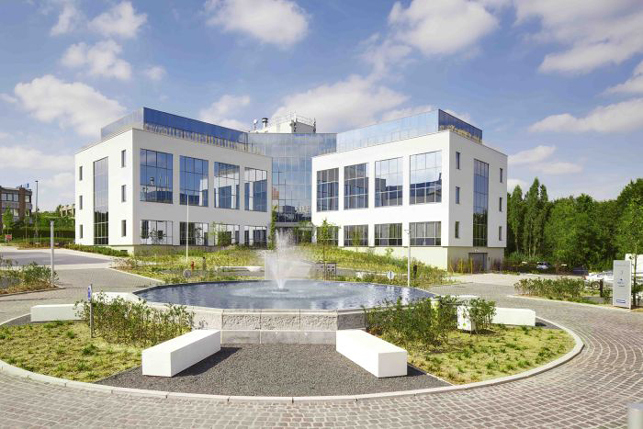 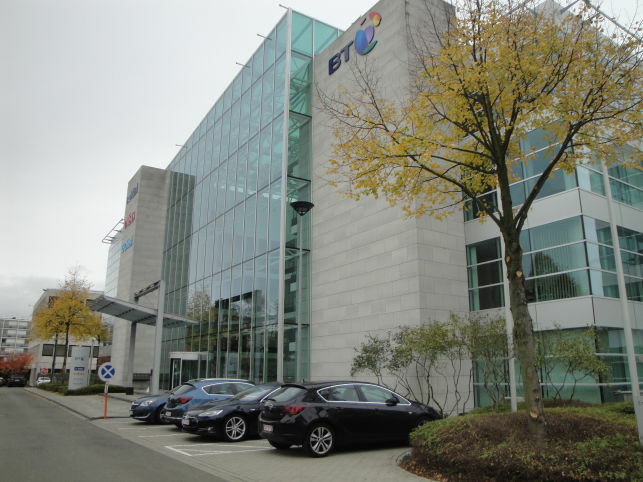 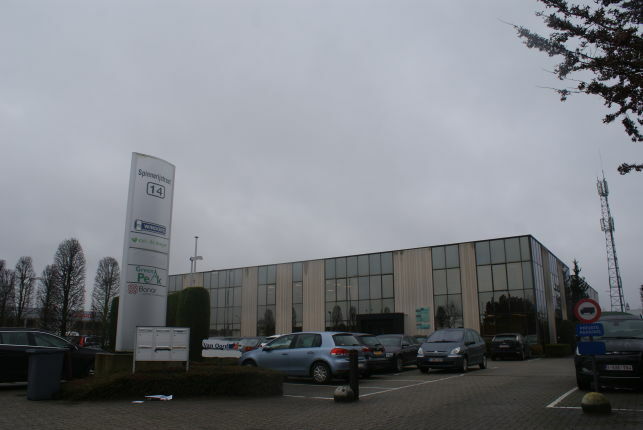 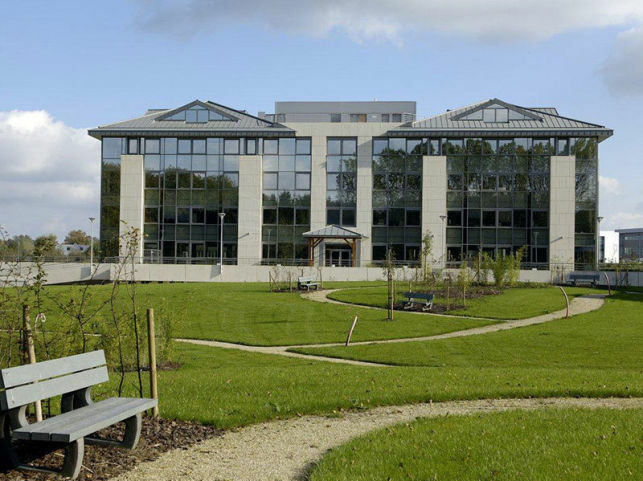 Offices to let in the Namur Office Park, only 30 minutes from the Brussels South Airport. 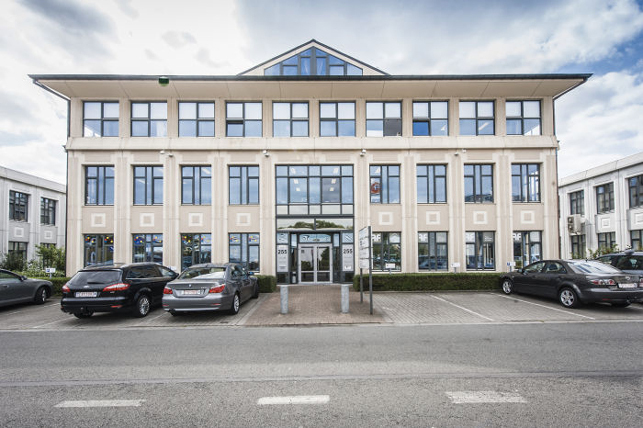 Office park offering up-to 11500 m² office space for rent & sale near the Vilvoorde railway station. 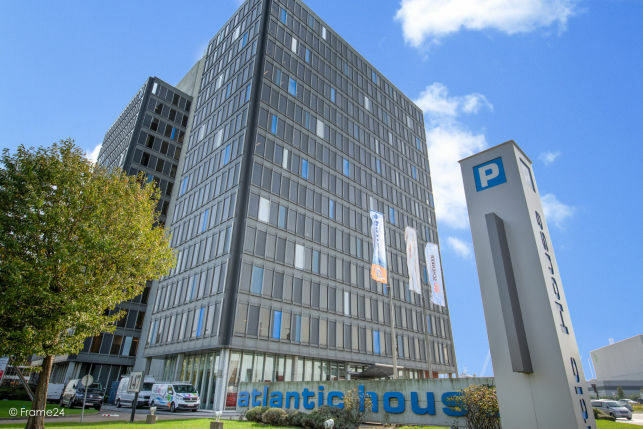 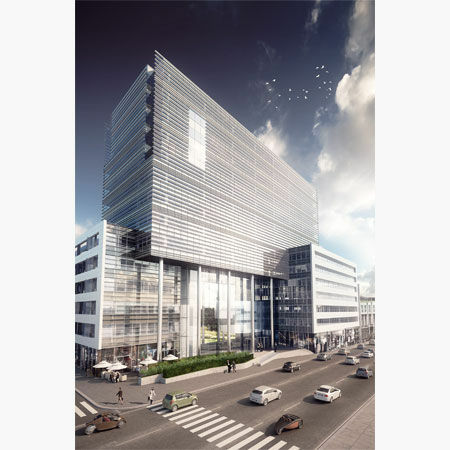 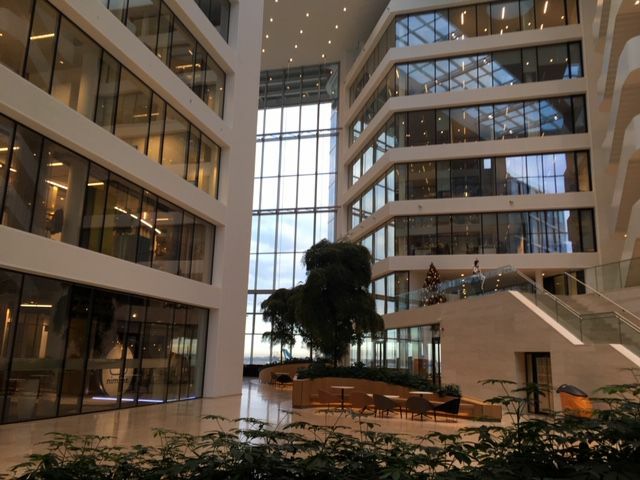 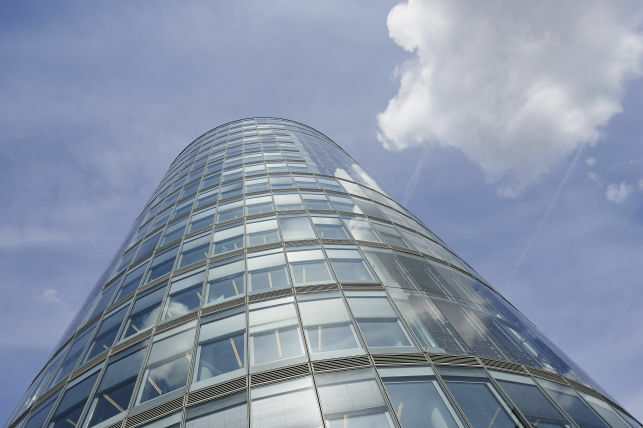 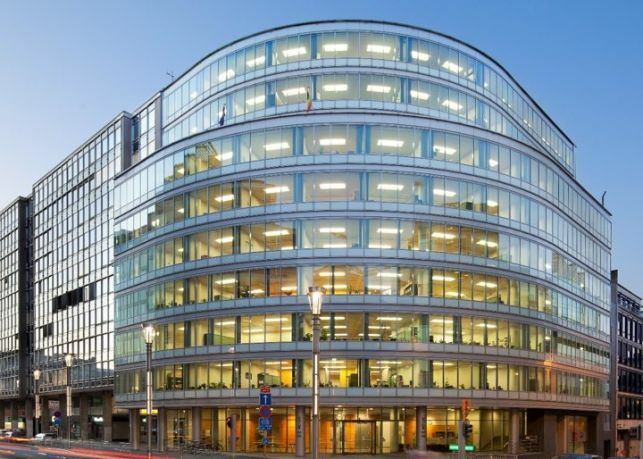 Office space for rent in the Antwerp seaport, Atlantic House is a well-known office tower & landmark alongside the port district. 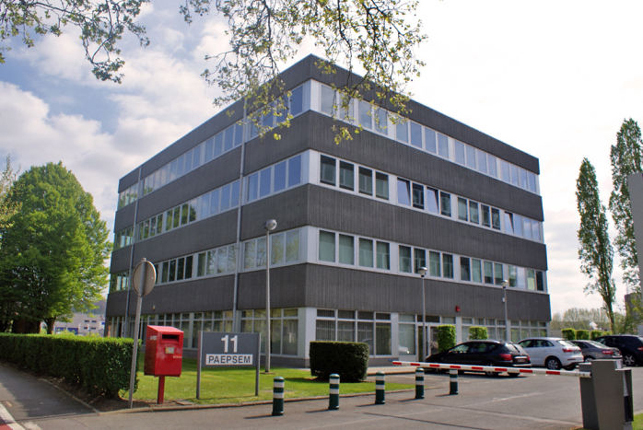 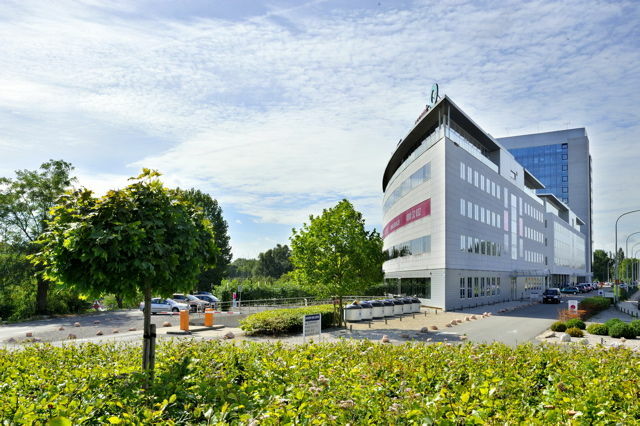 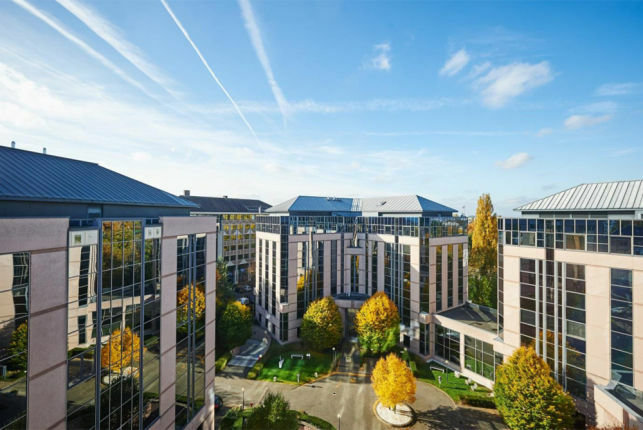 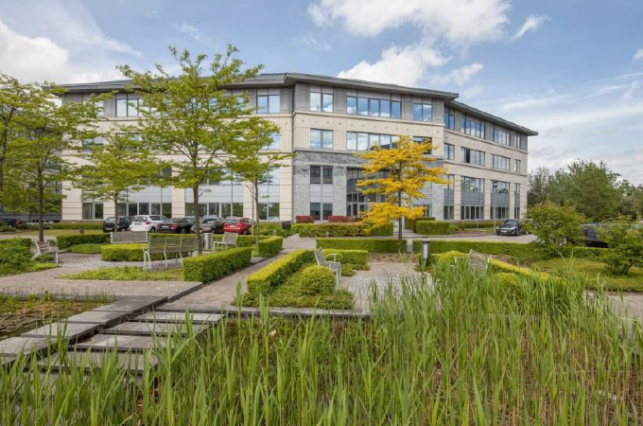 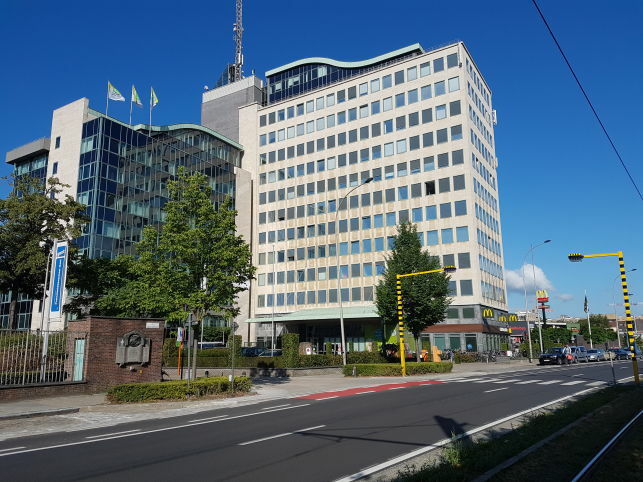 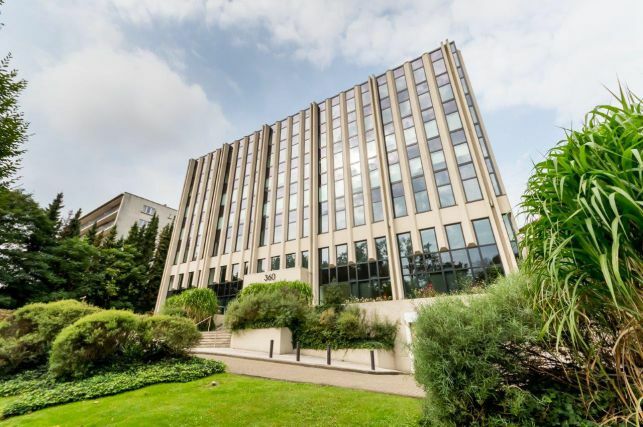 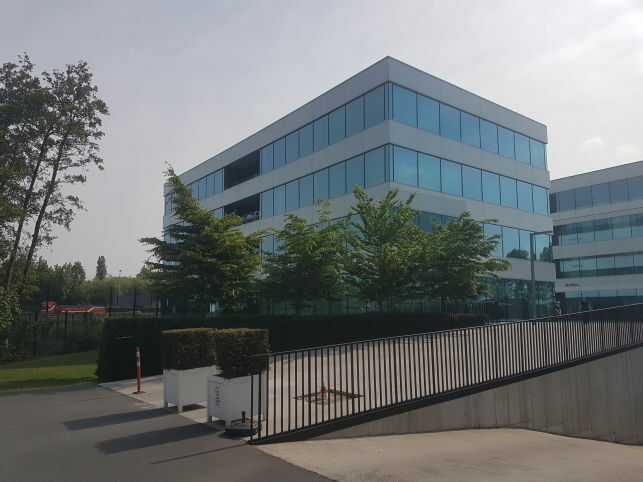 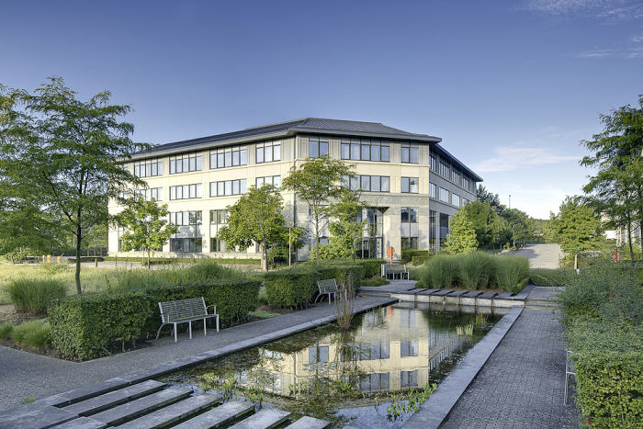 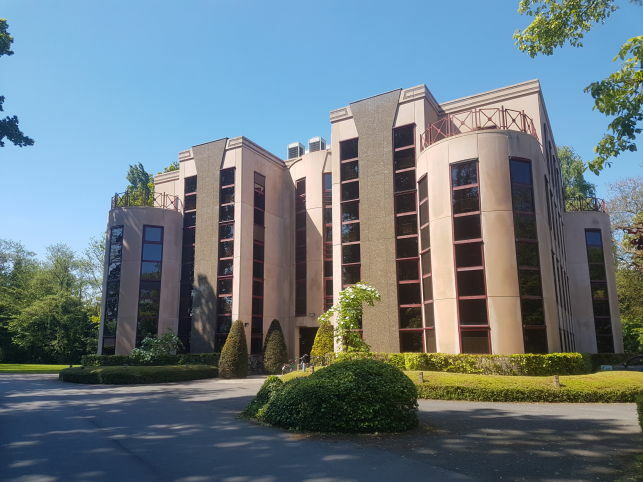 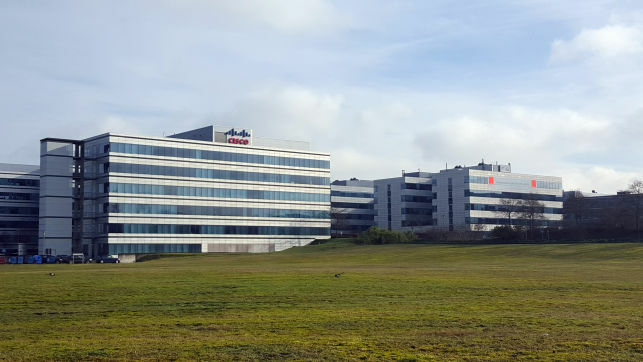 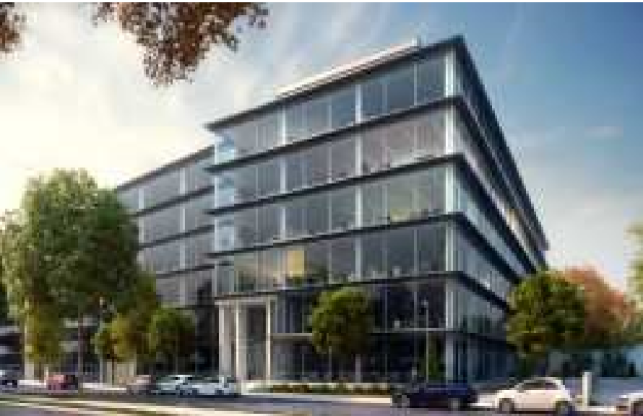 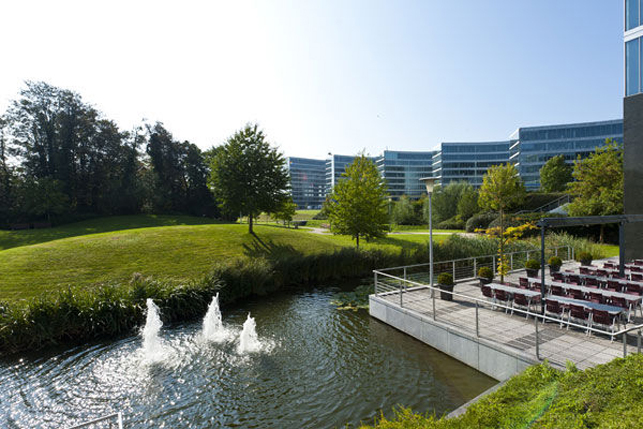 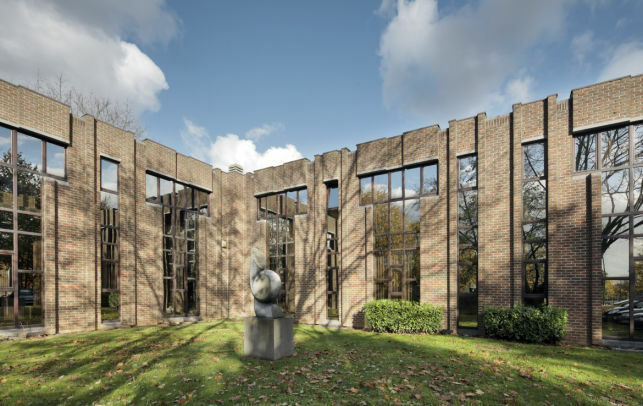 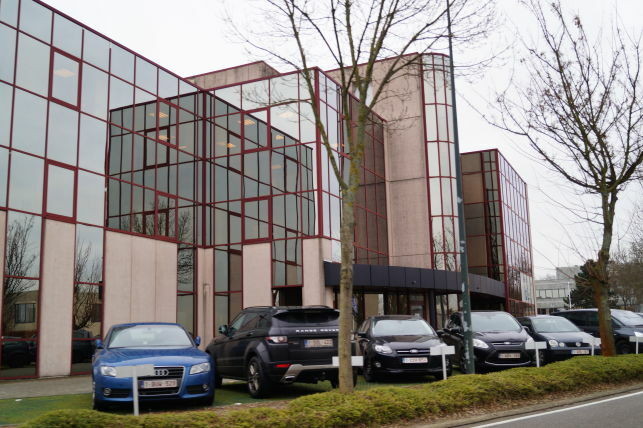 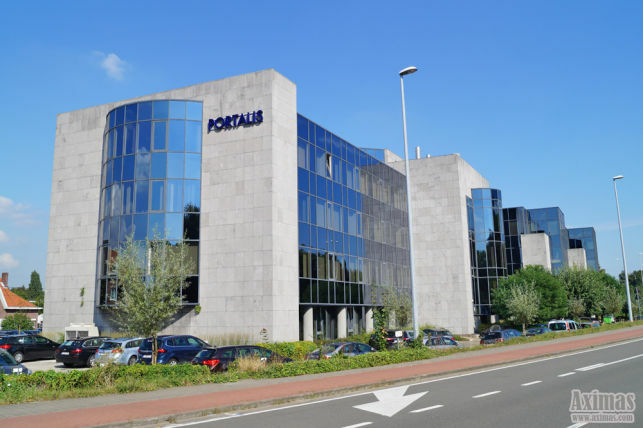 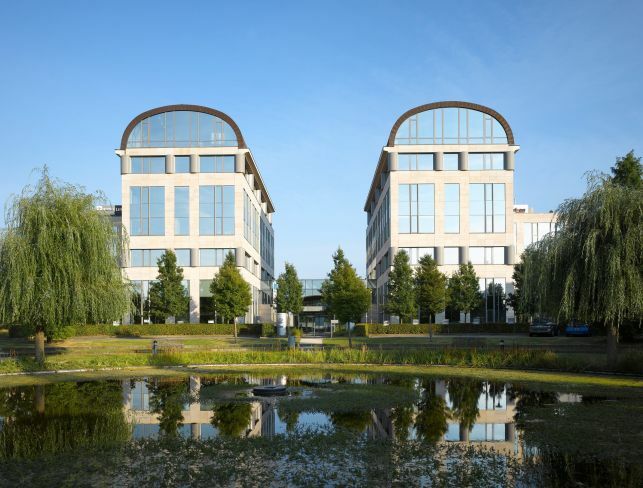 Prime office space rental in prestigious office park alongside the Brussels ring motorway & the international airport in Zaventem. 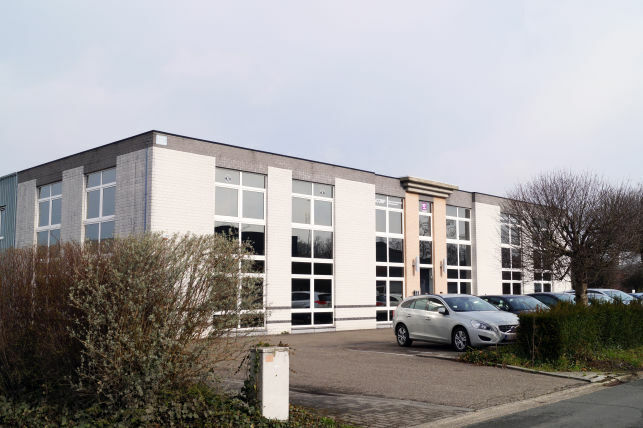 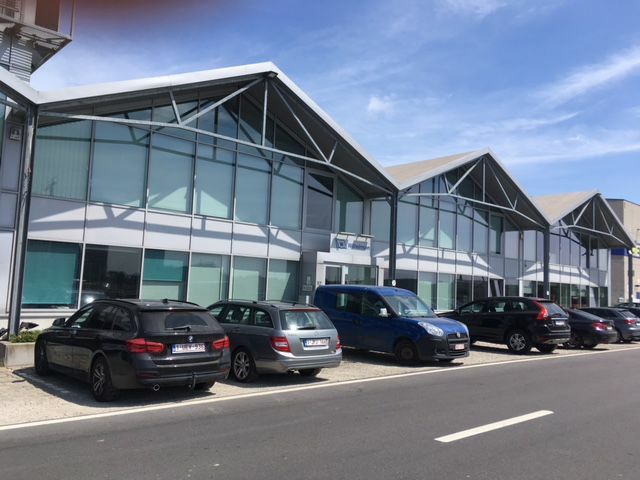 Office space to let & for sale in Vilvoorde, near the ring motorway & airport in the Brussels periphery. 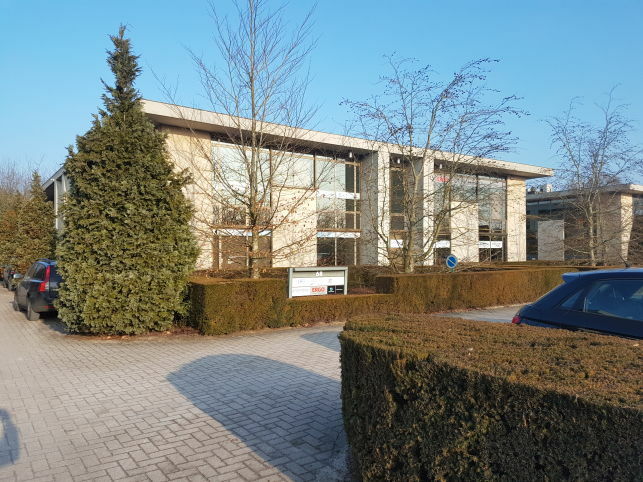 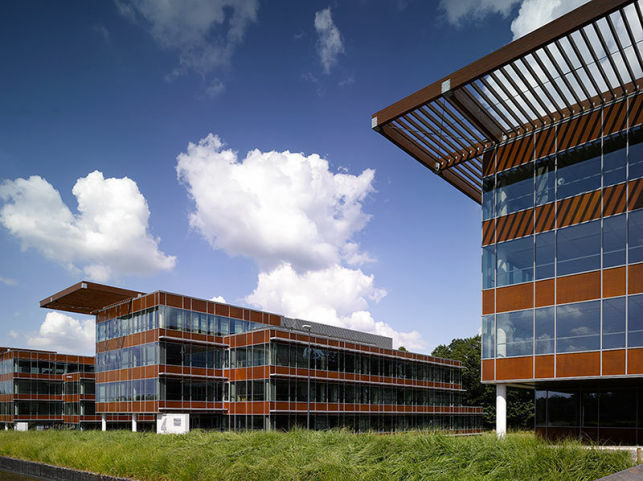 Prime office space for rent in the middle of a 550.000 m² nature reserve in Walloon brabant near the Brussels southern ring motorway.